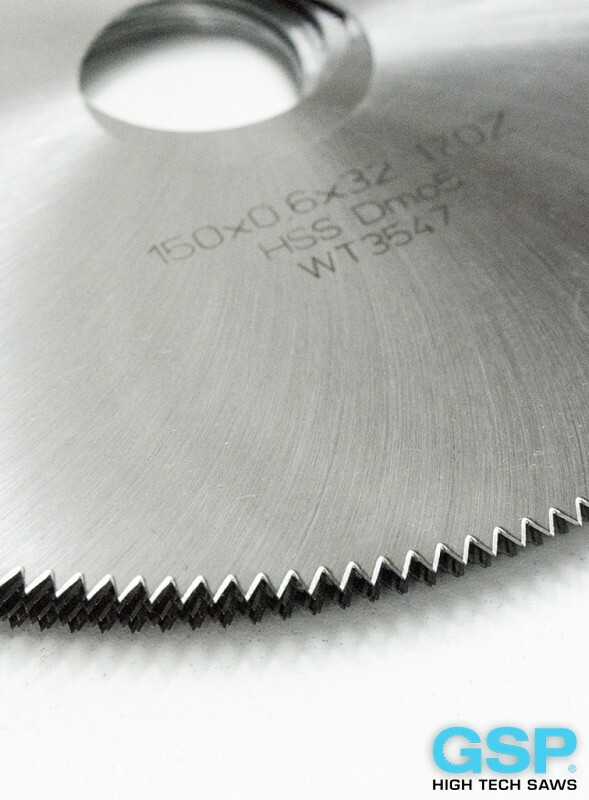 The cutting edge industrial knife is not interrupted in the standard modification. 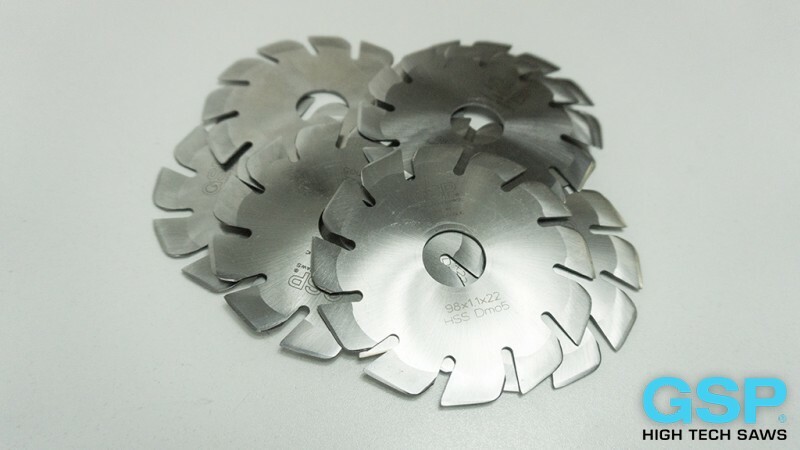 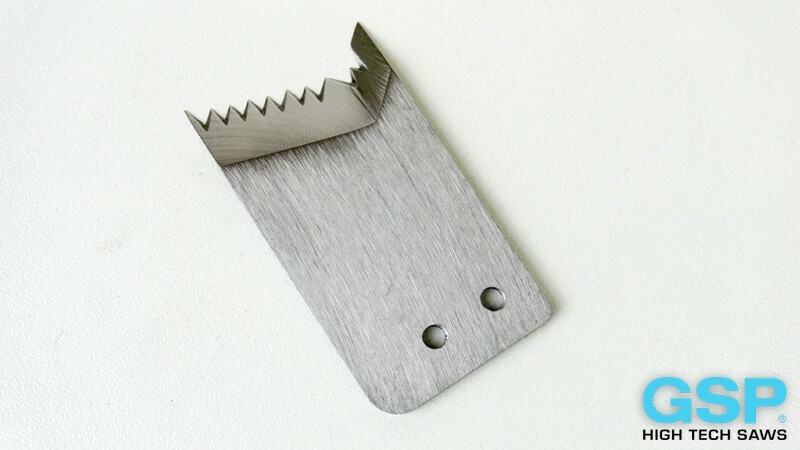 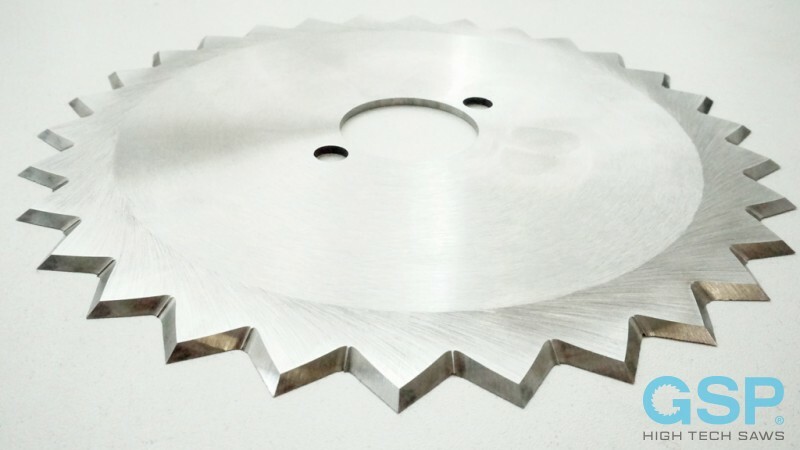 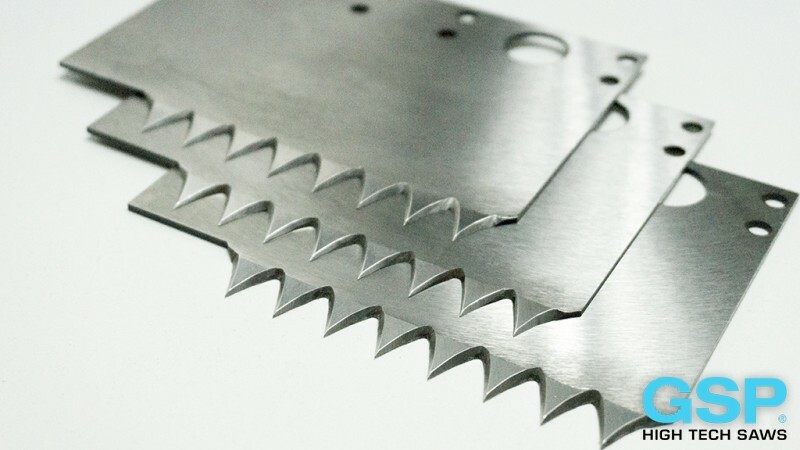 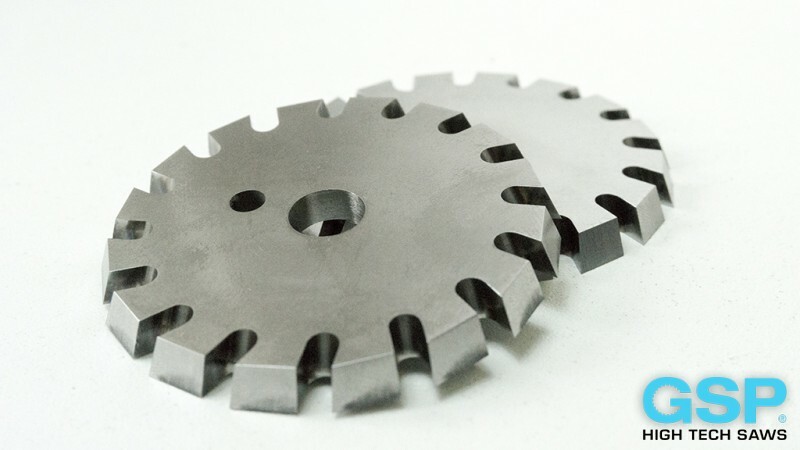 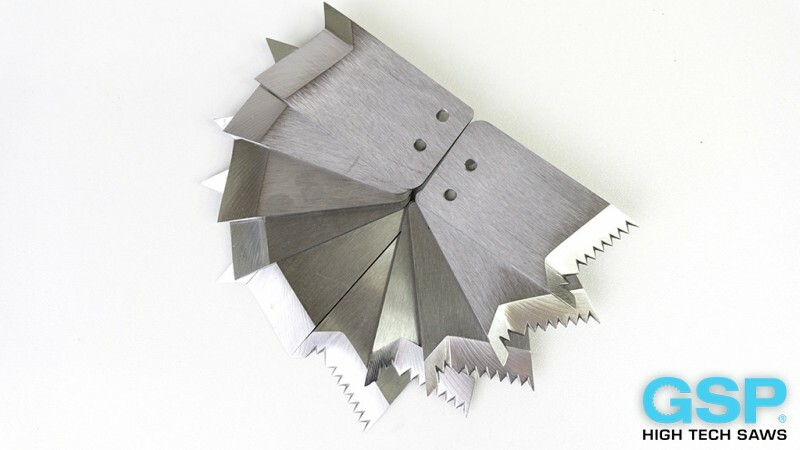 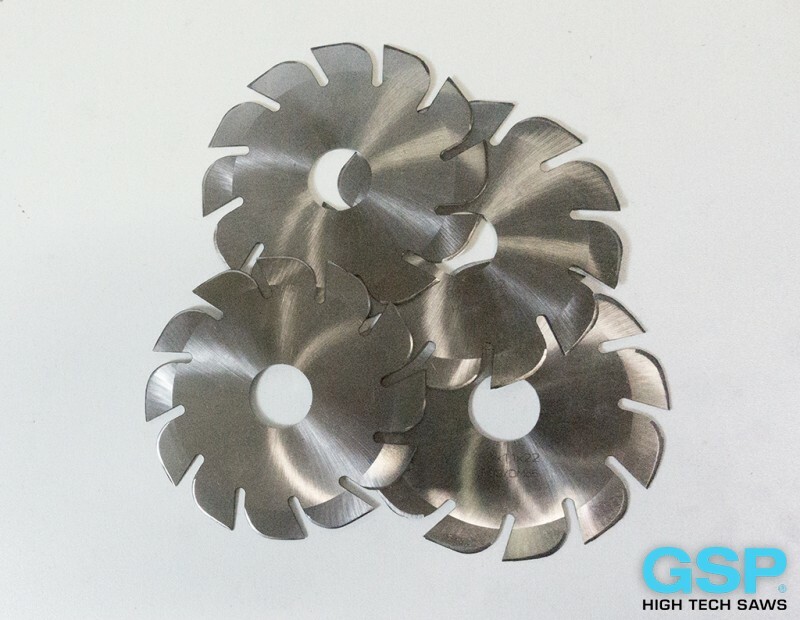 It can be equipped with teeth similar to the teeth used on HSS circular saw blades for metal cutting or with quite specific tooth forms. 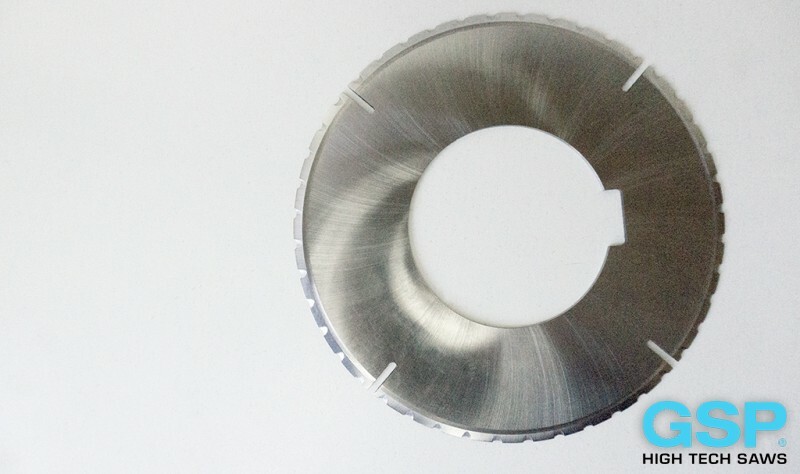 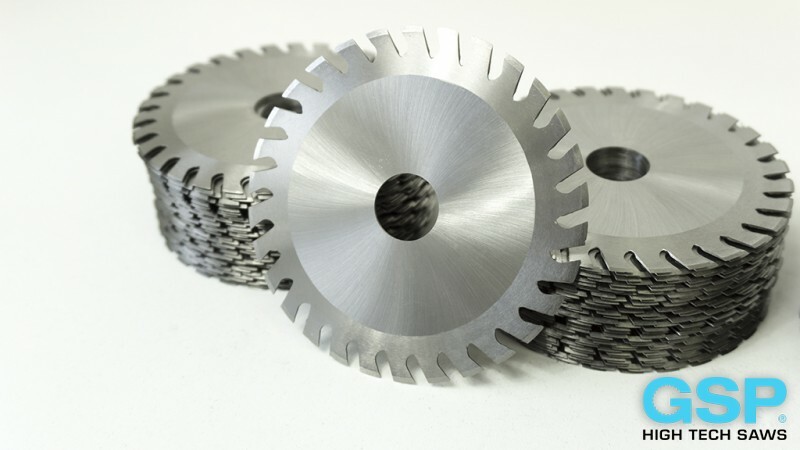 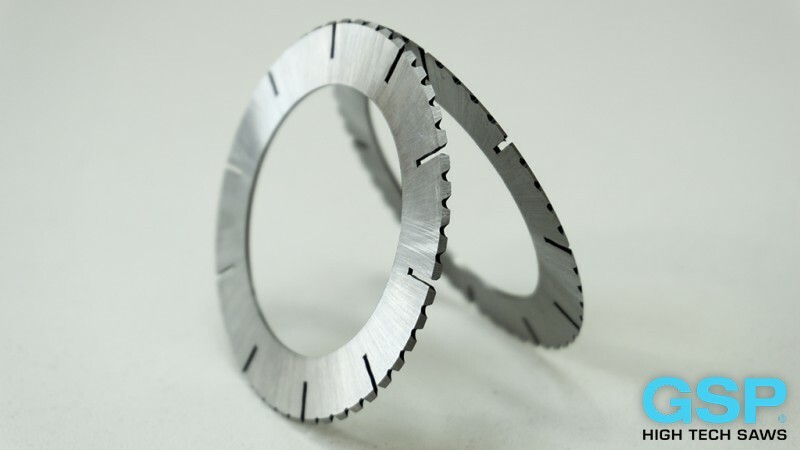 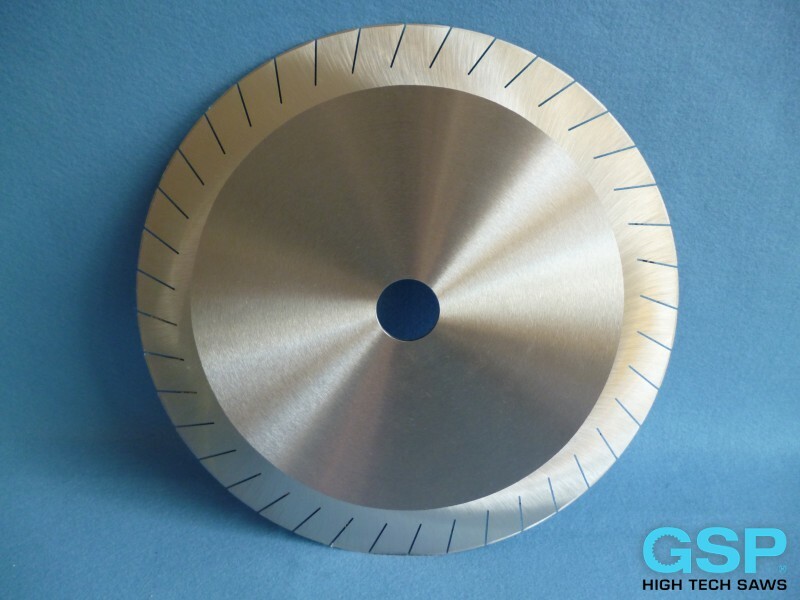 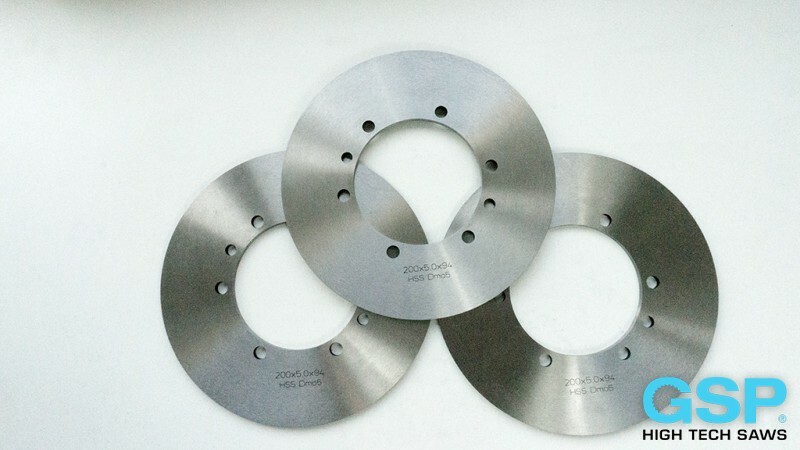 Circular knives without teeth but circular knives with grooves, or circular knives with ripples on the cutting edge can be manufactured too. 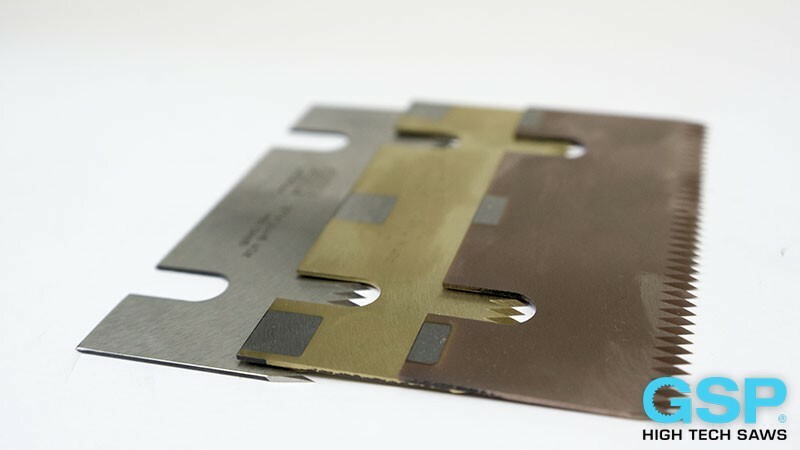 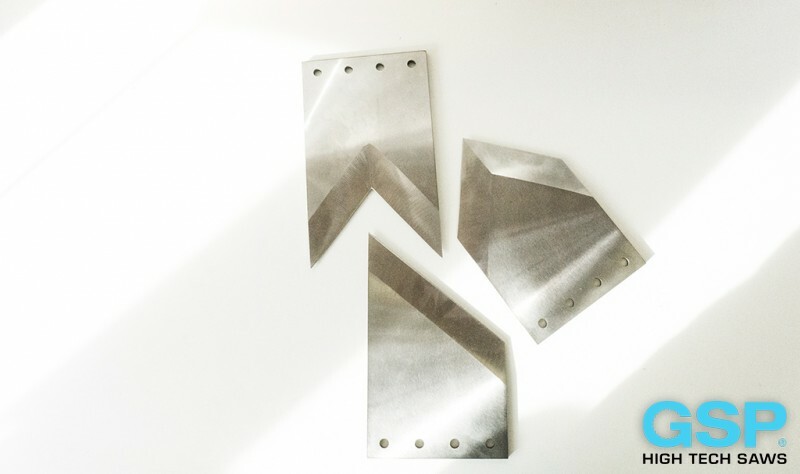 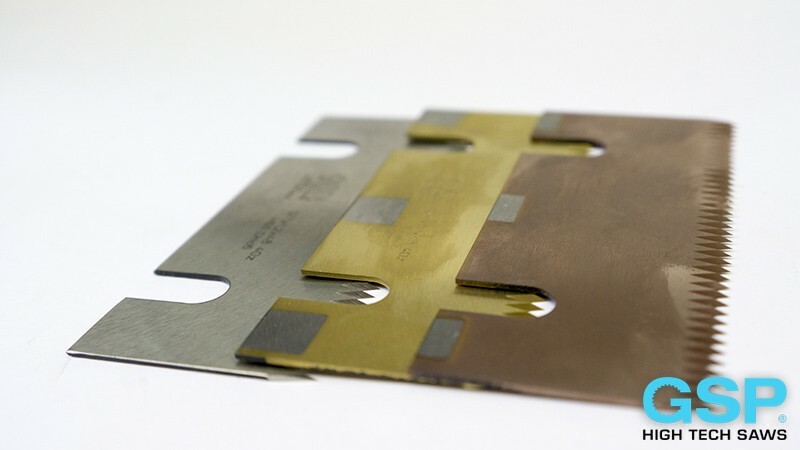 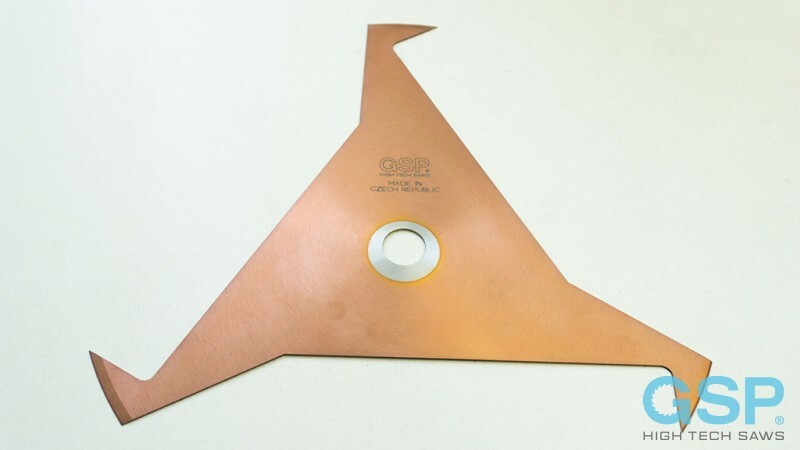 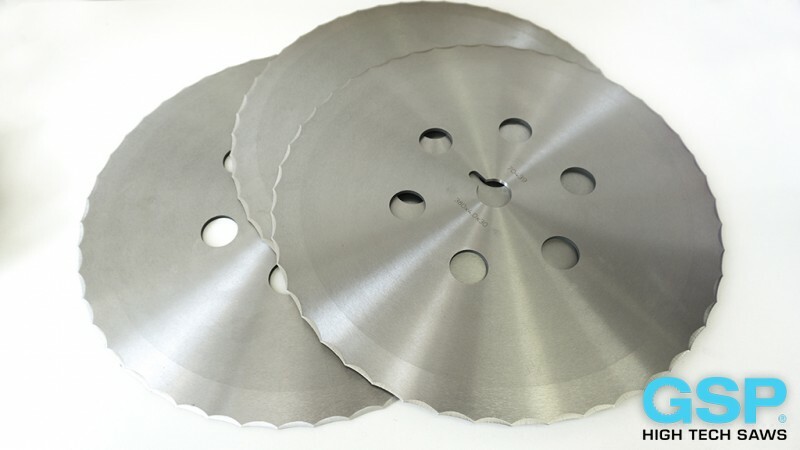 Cutting edges of these industrial knives vary depending on the kind of material cut by the industrial knife. 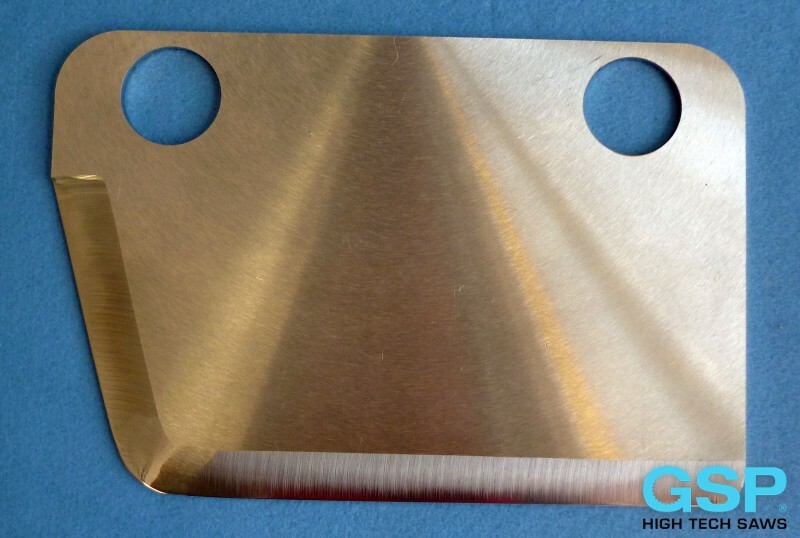 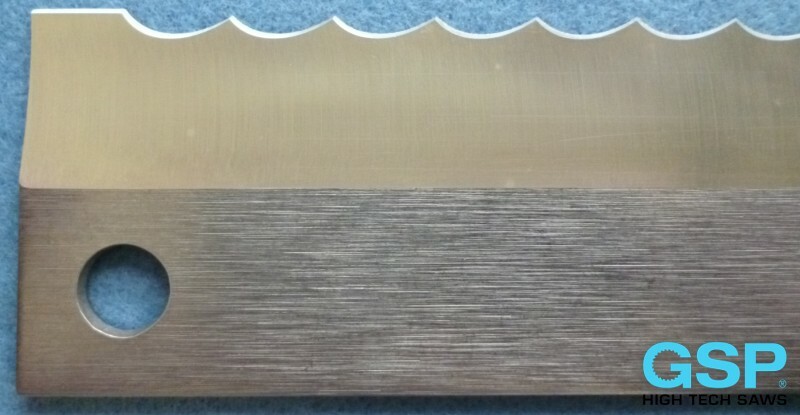 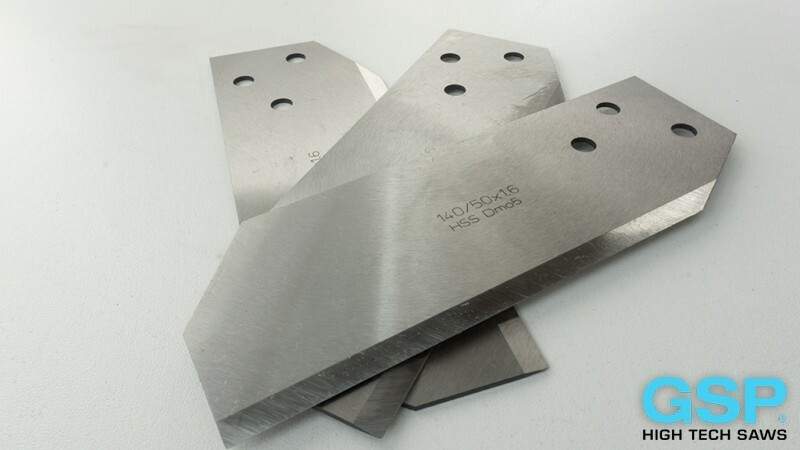 The following tabele shows the particular variants of edges we produce on our industrial knives. 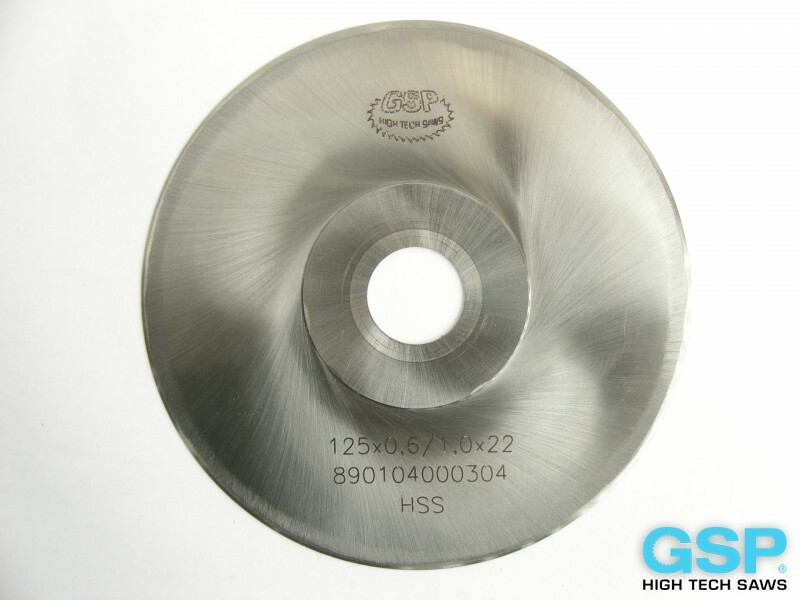 The video showing HSS circular knives you find on the channel YouTube, or in our video gallery. 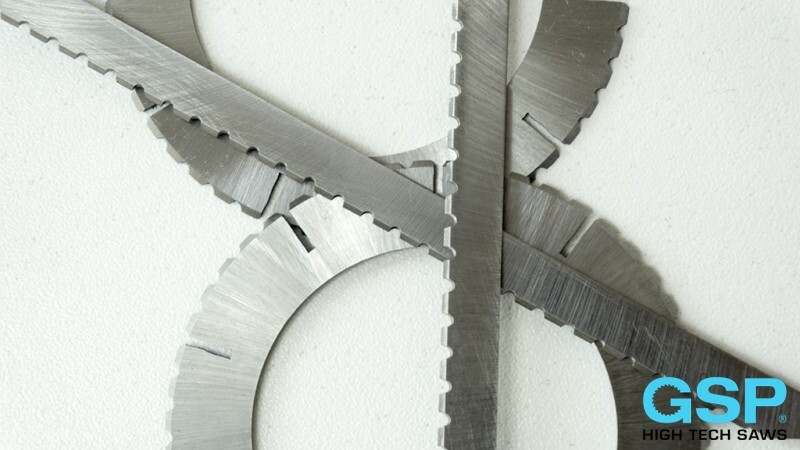 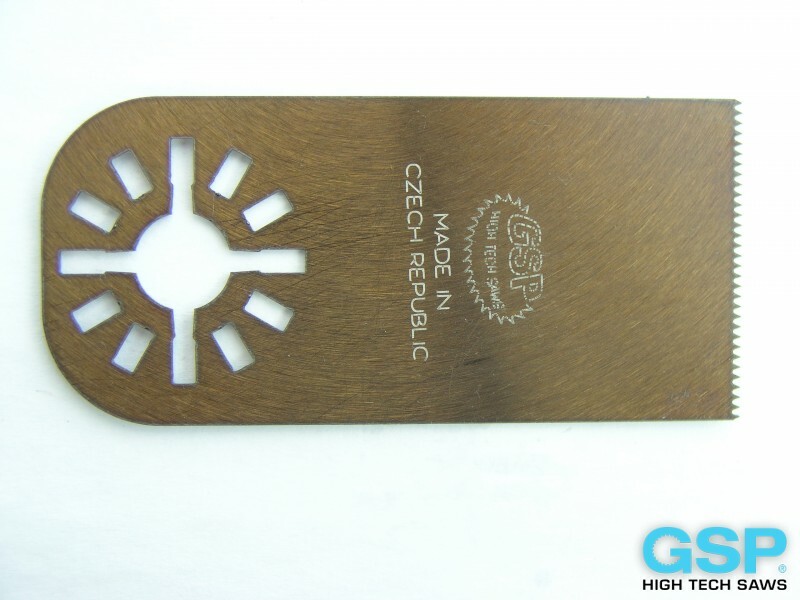 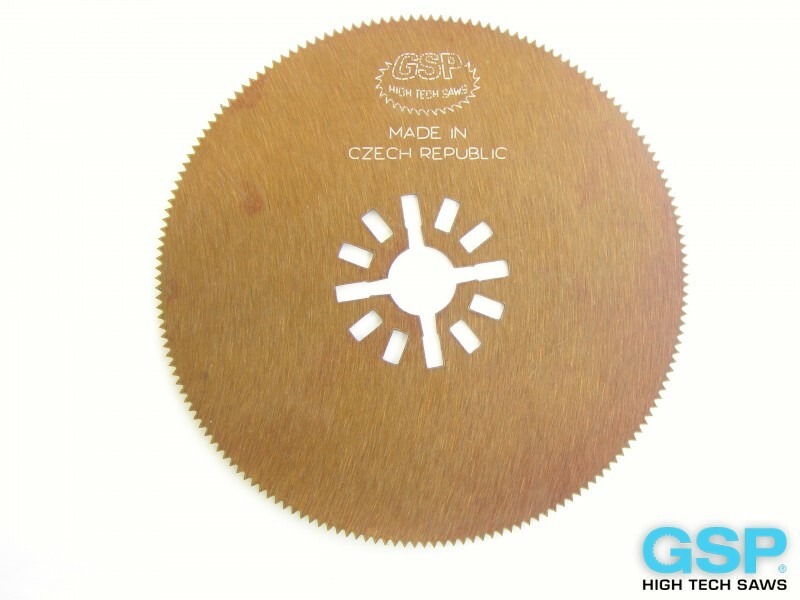 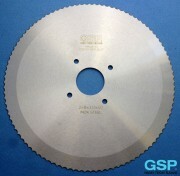 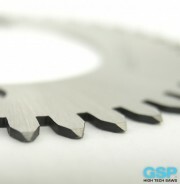 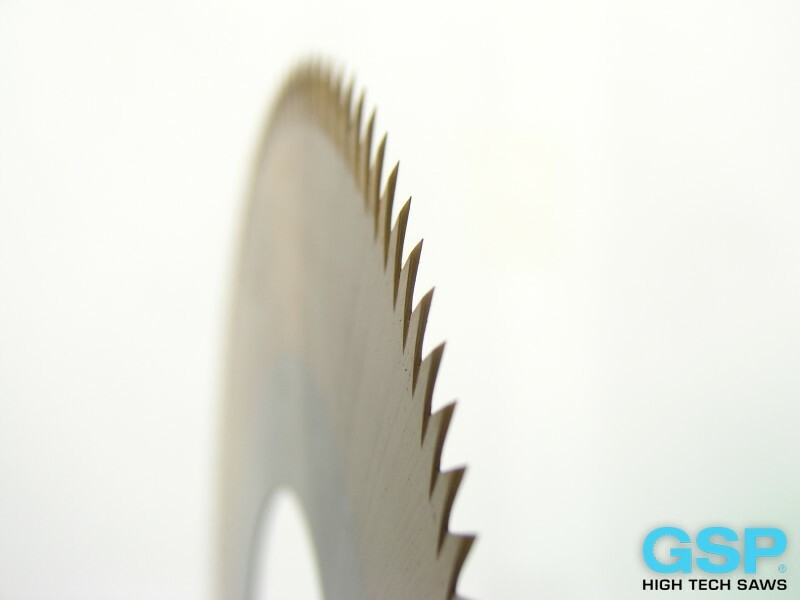 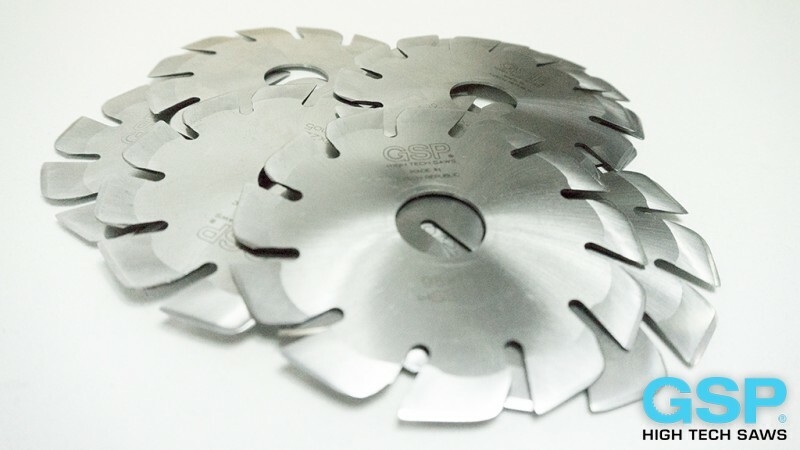 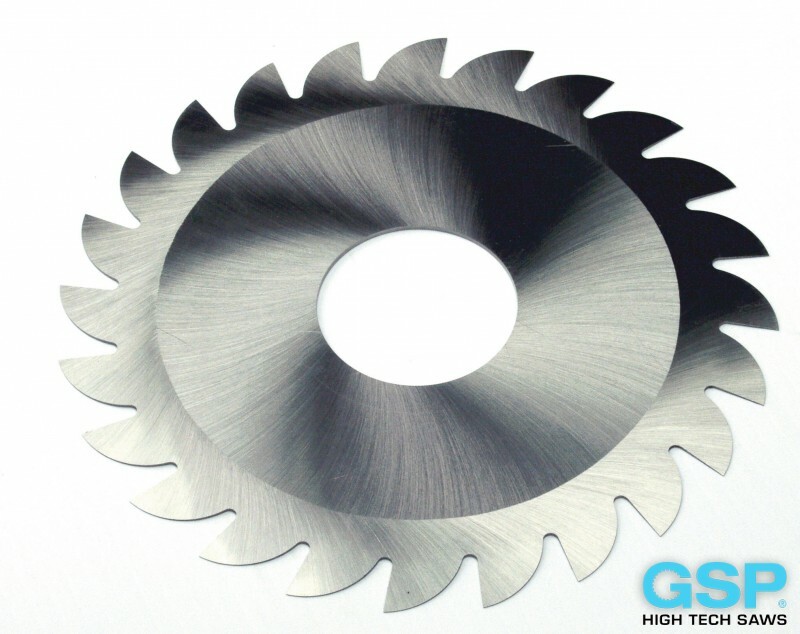 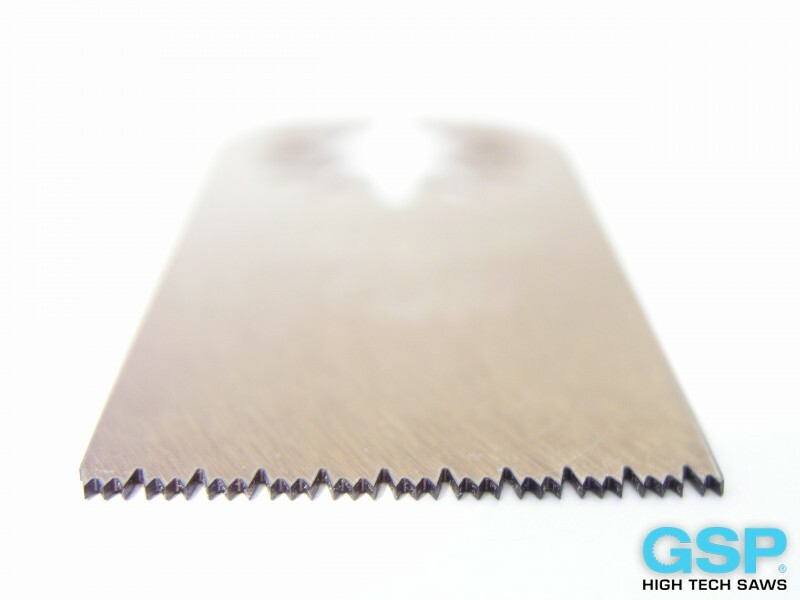 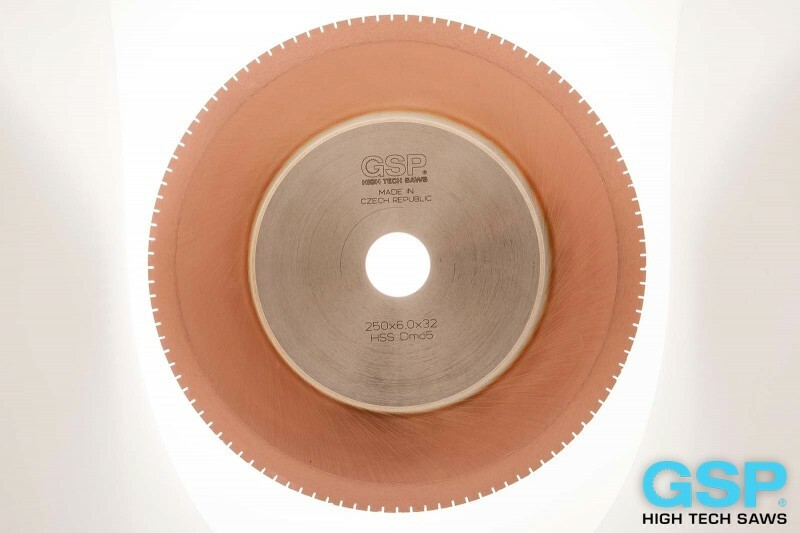 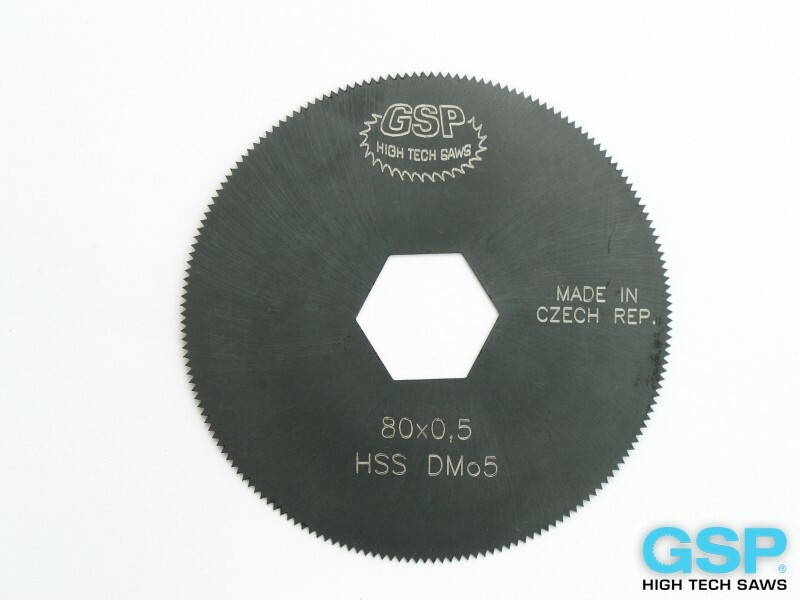 In the product range of GSP - High Tech Saws, s.r.o. 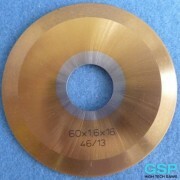 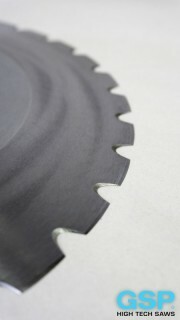 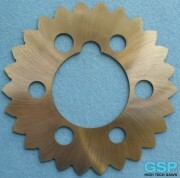 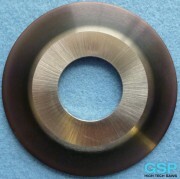 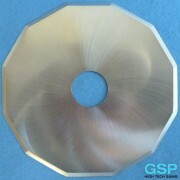 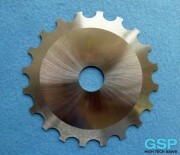 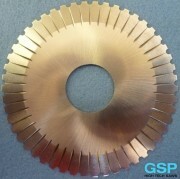 are also high-efficient cutting industrial knives manufactured on request which are generally known as circular knives. 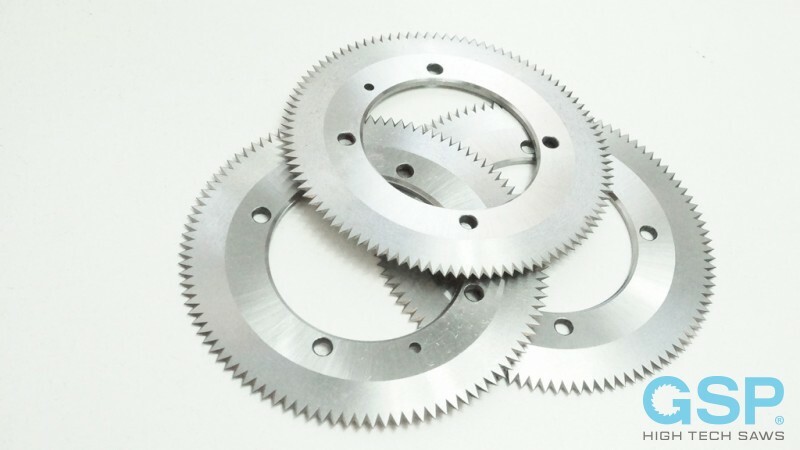 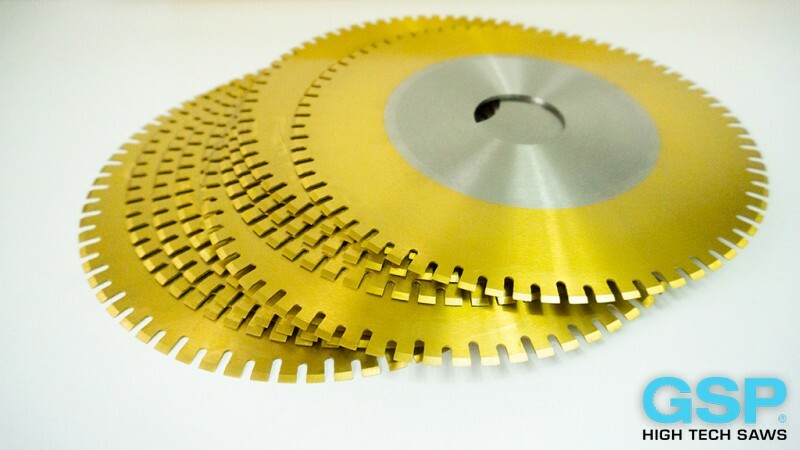 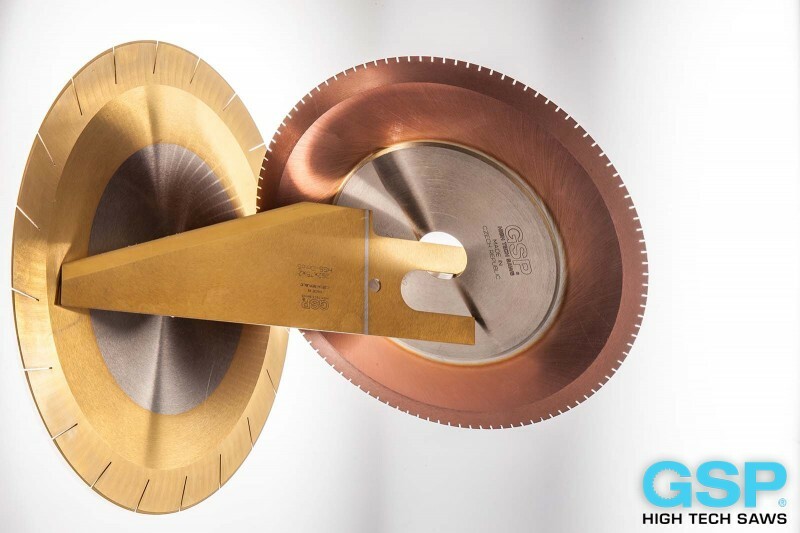 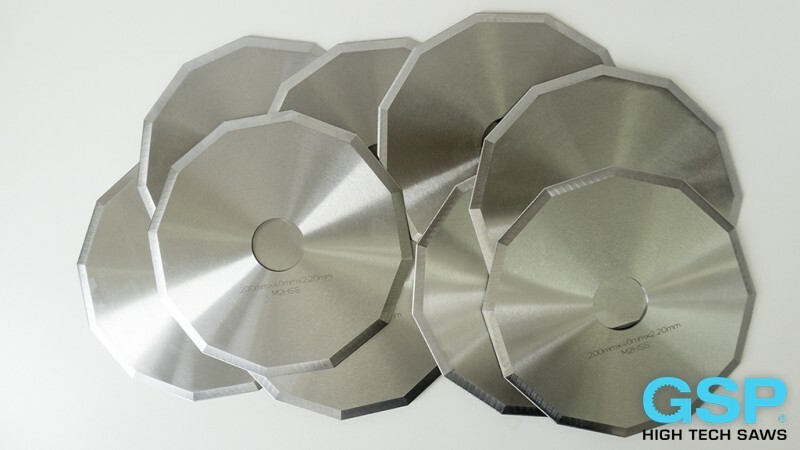 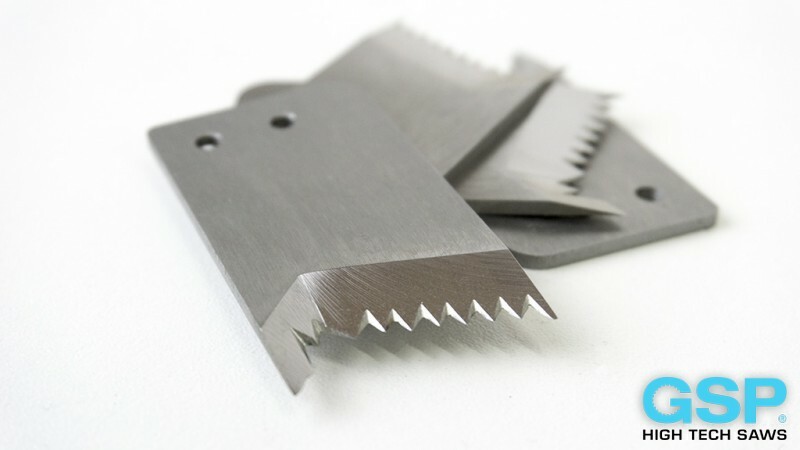 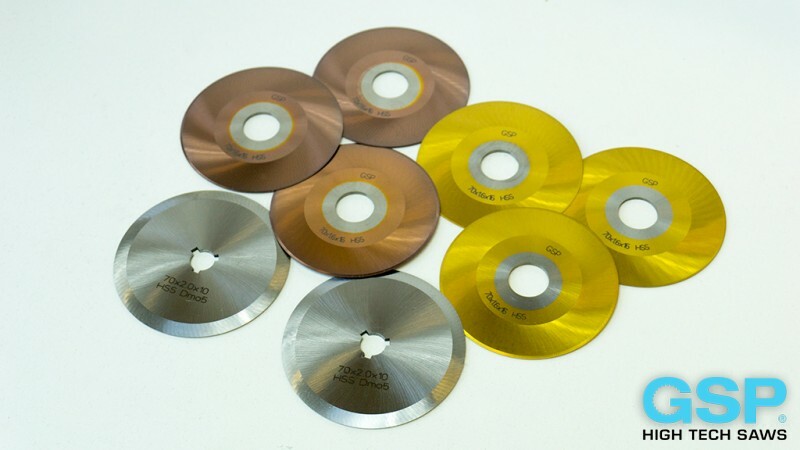 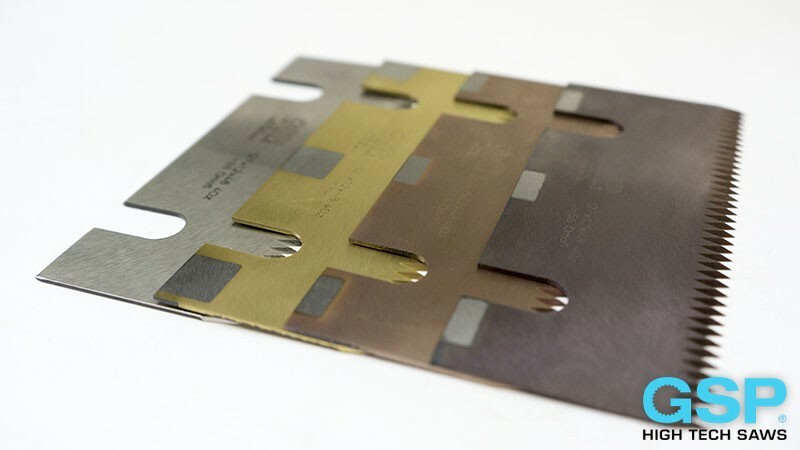 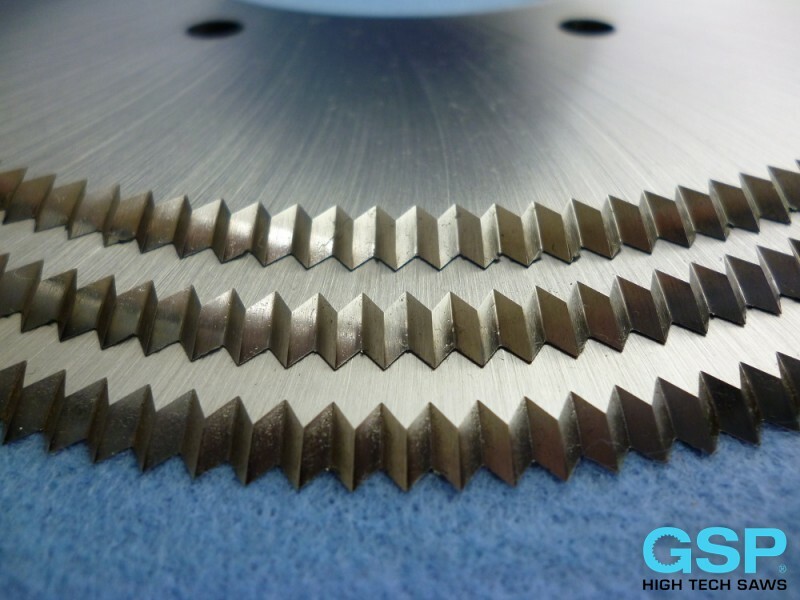 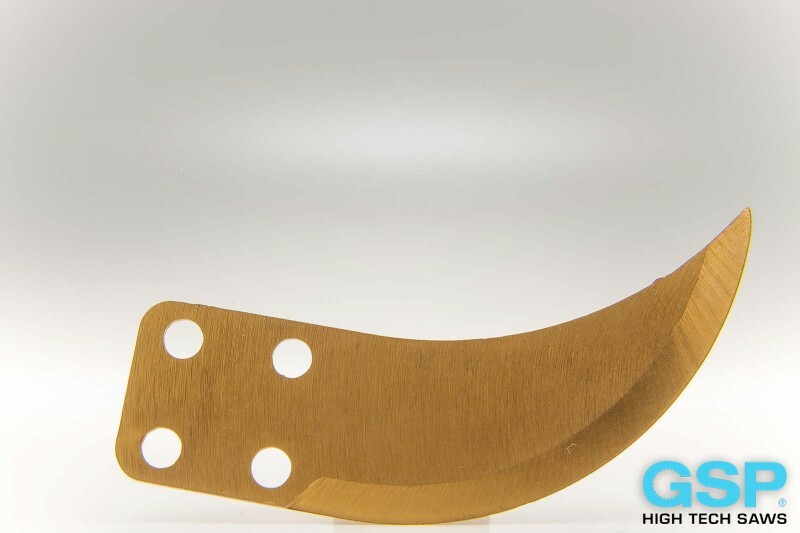 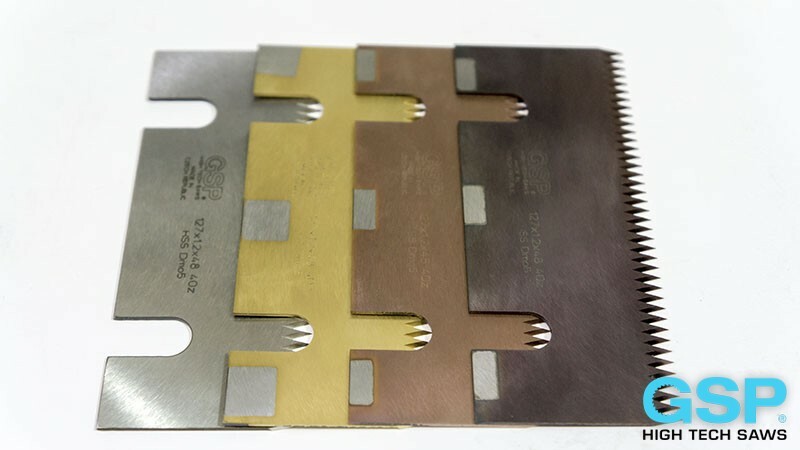 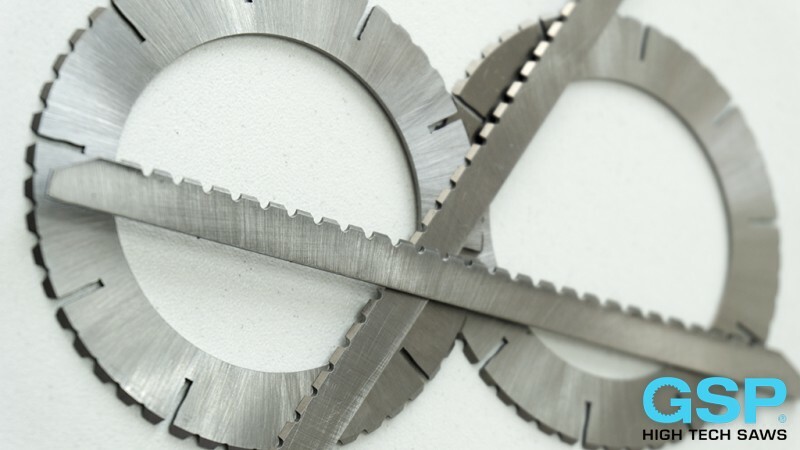 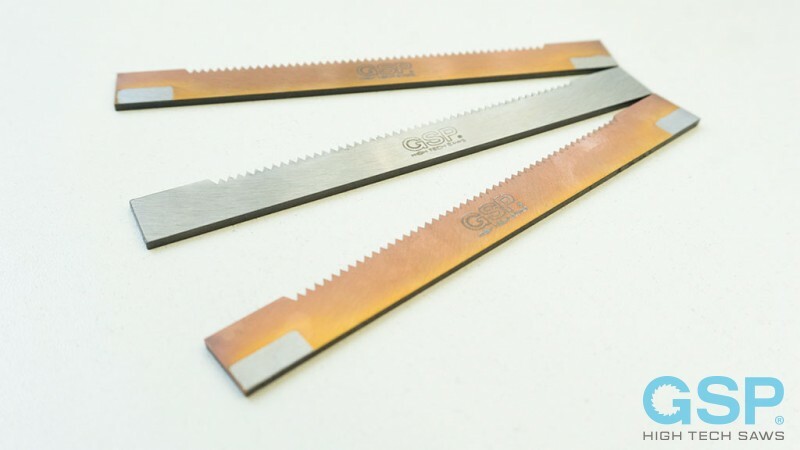 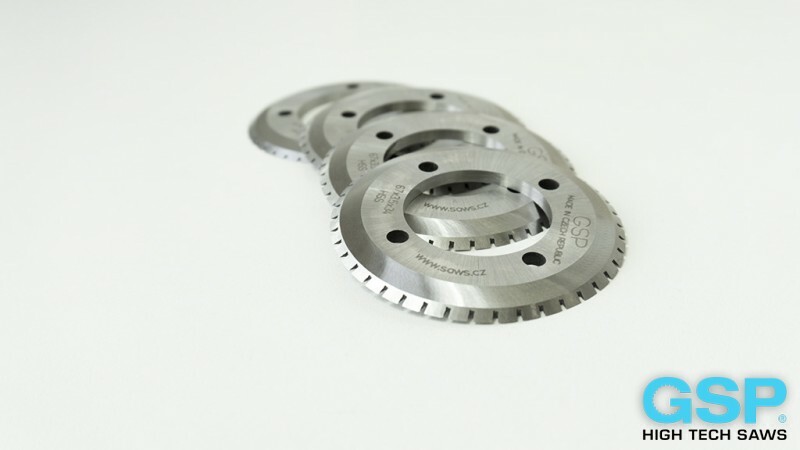 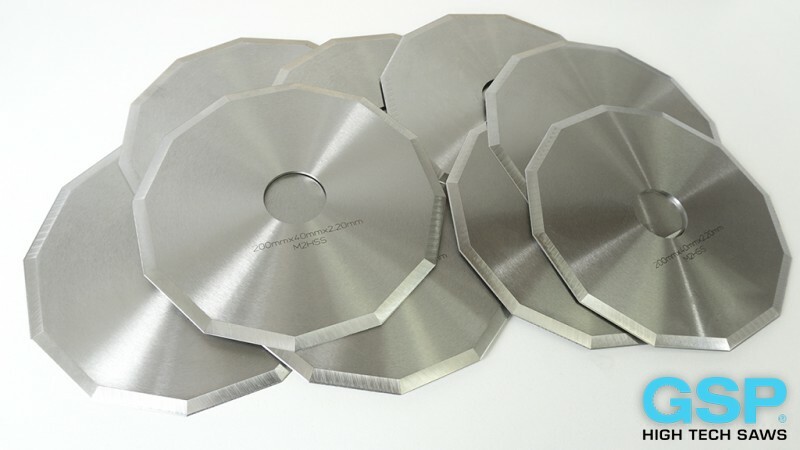 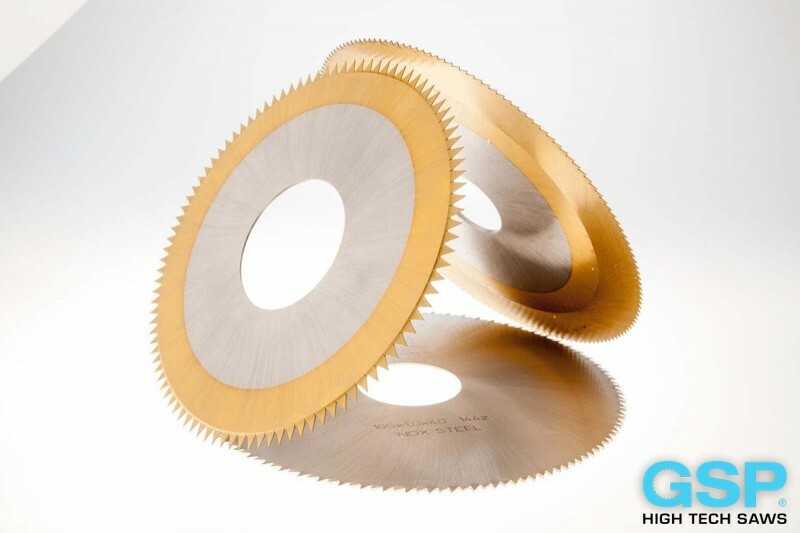 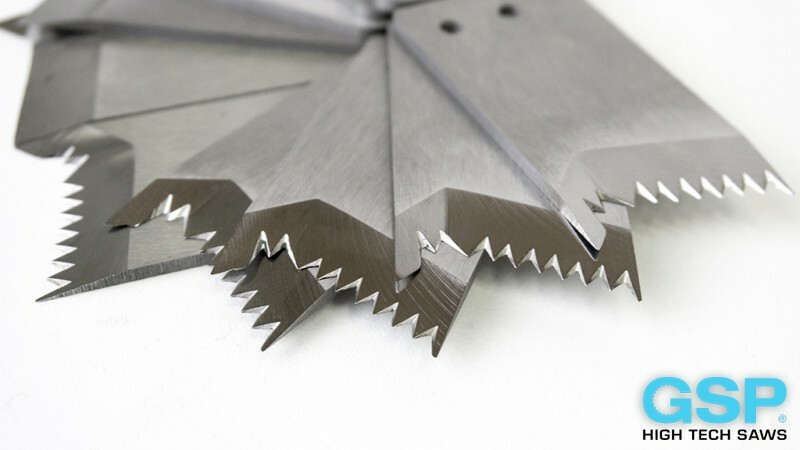 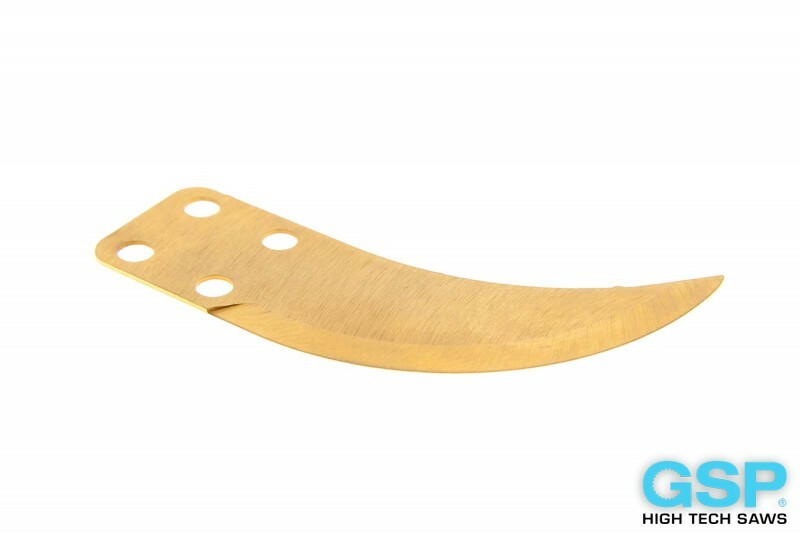 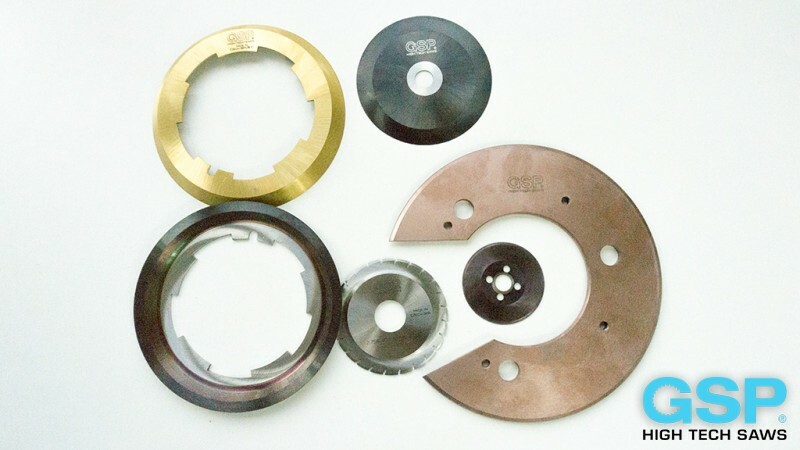 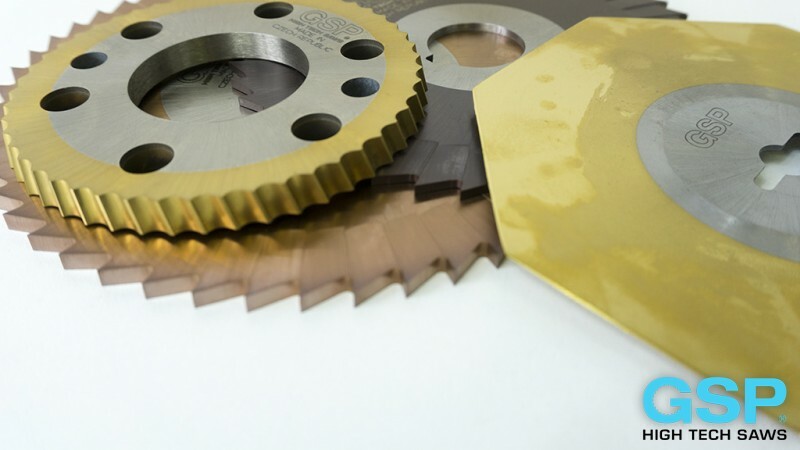 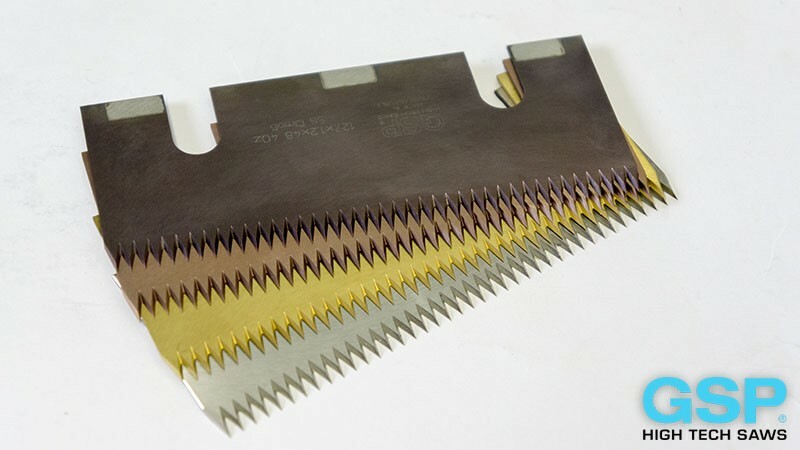 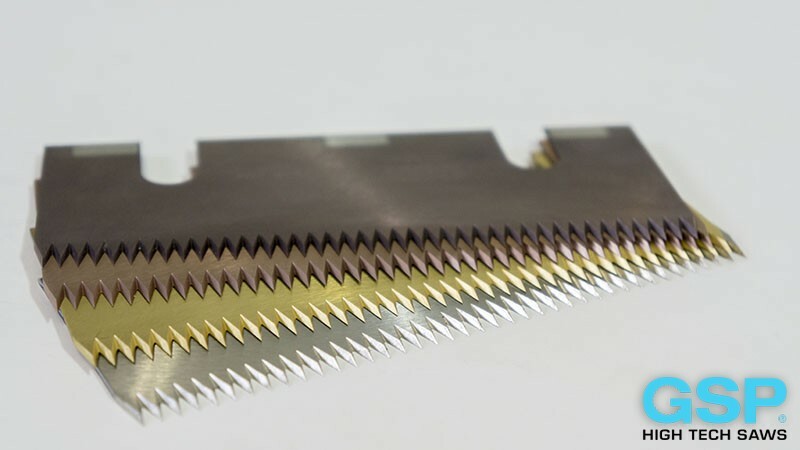 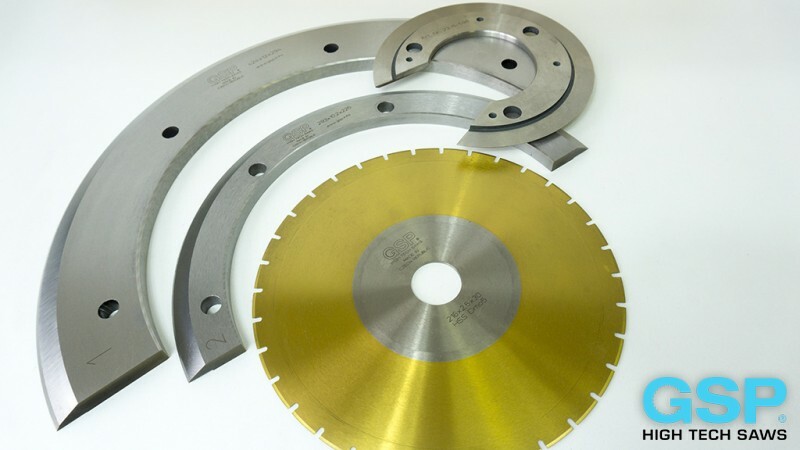 These rotary knives are used not only for cutting rubber, leather, paper, isolation materials and plastics, but also non-ferrous metals and steel. 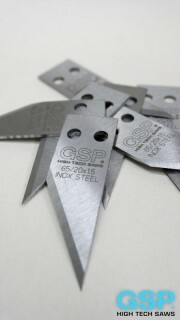 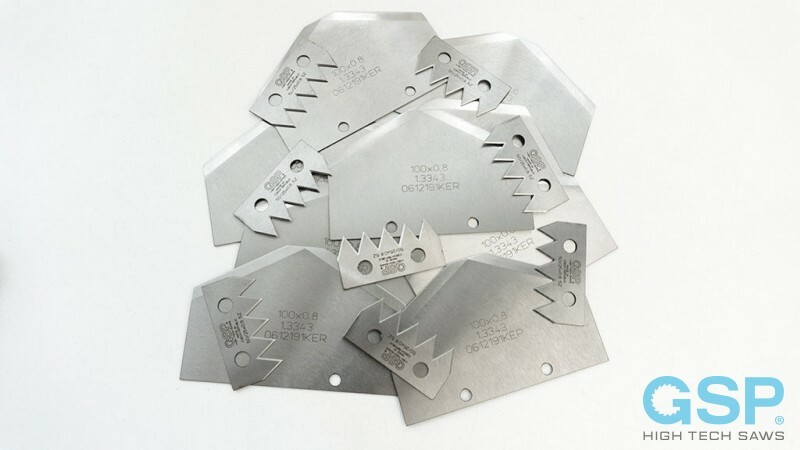 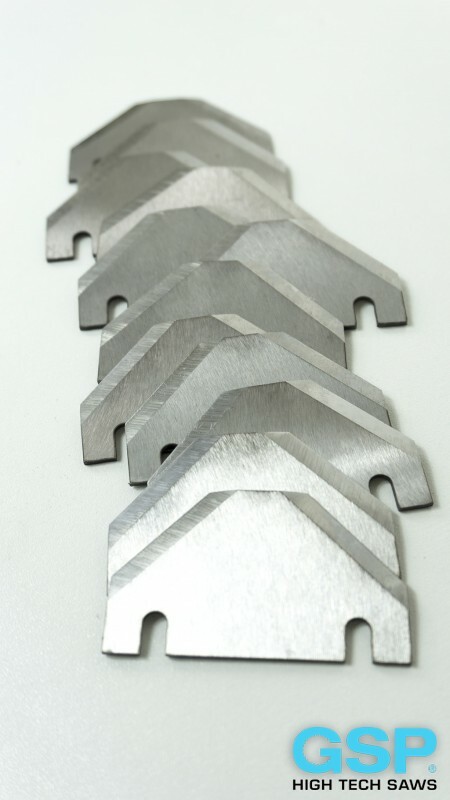 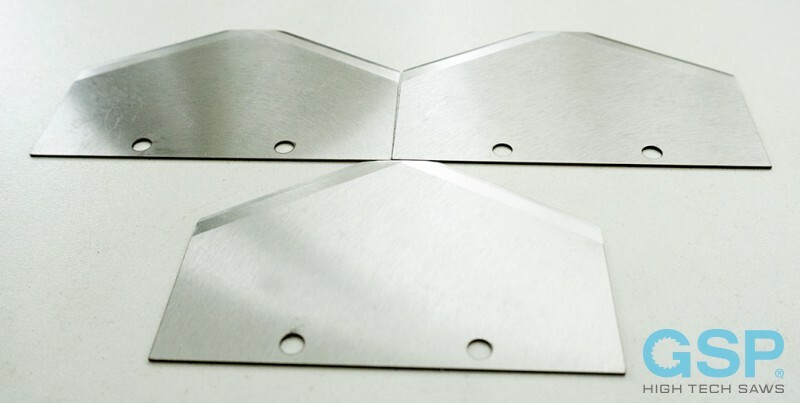 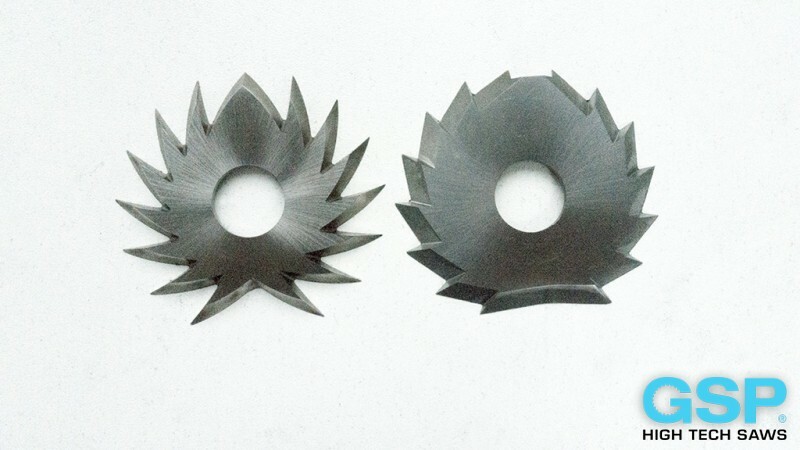 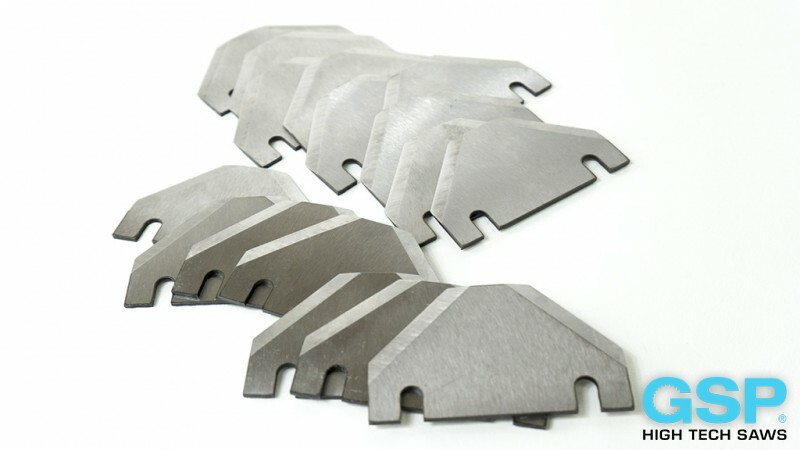 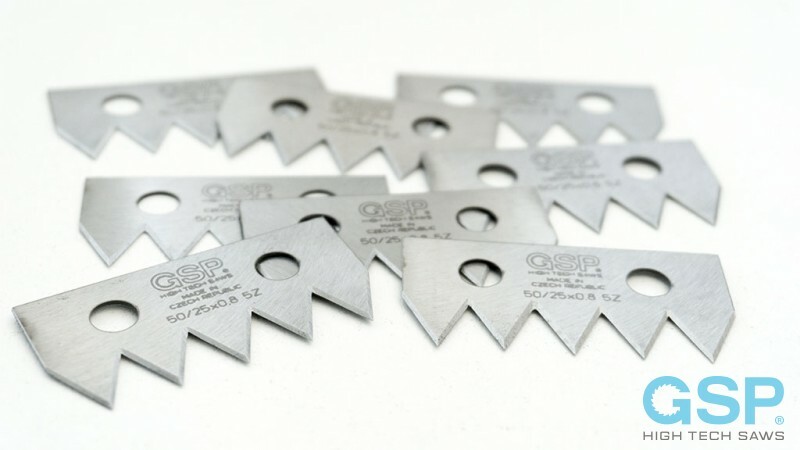 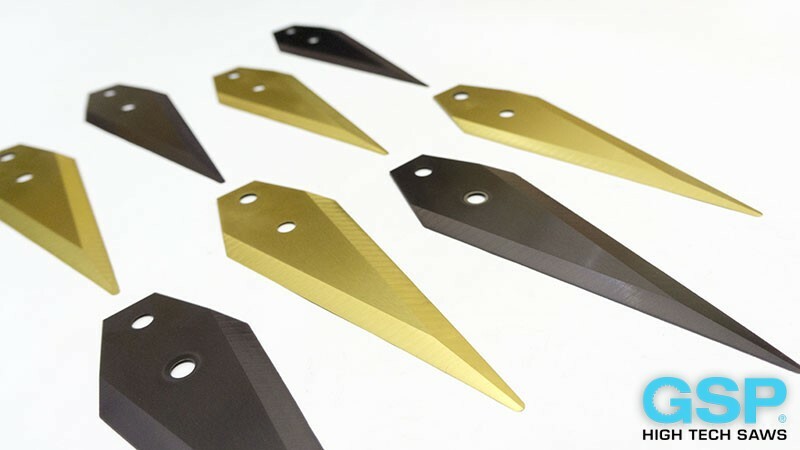 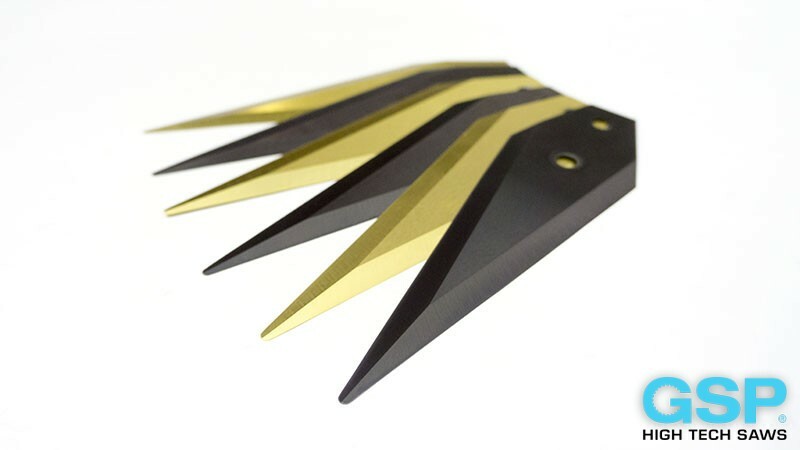 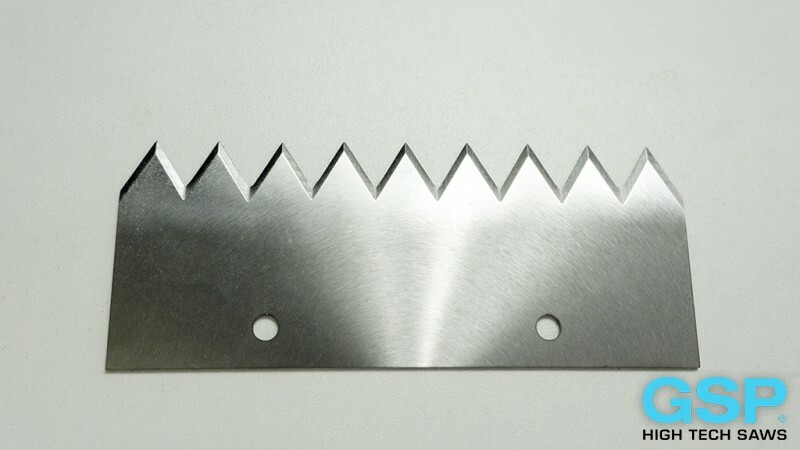 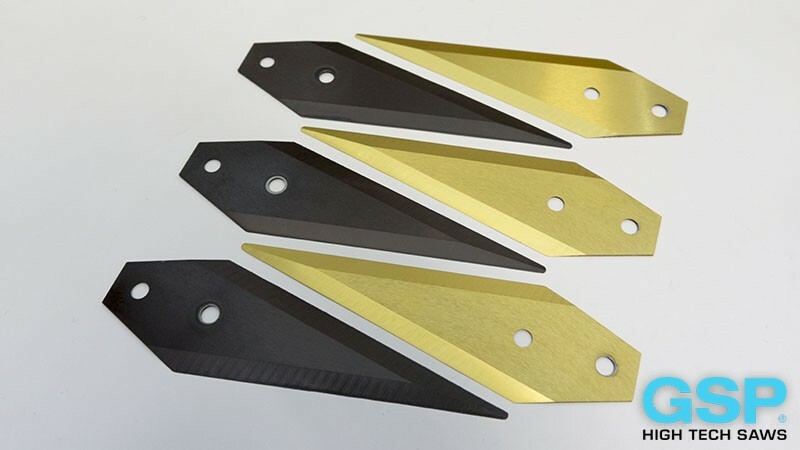 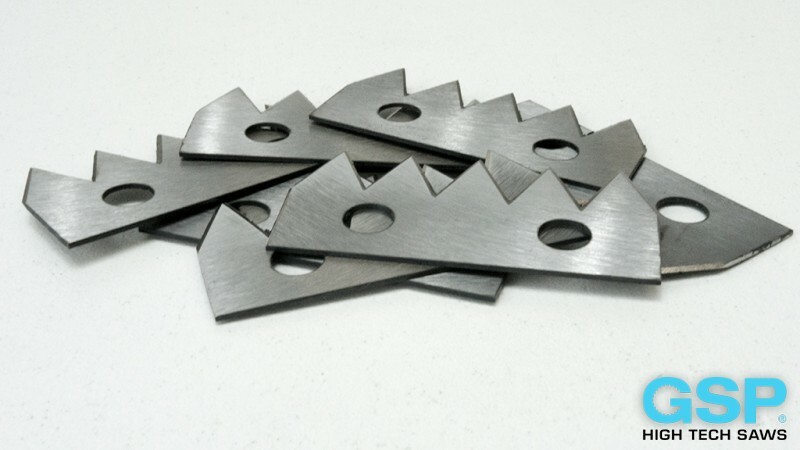 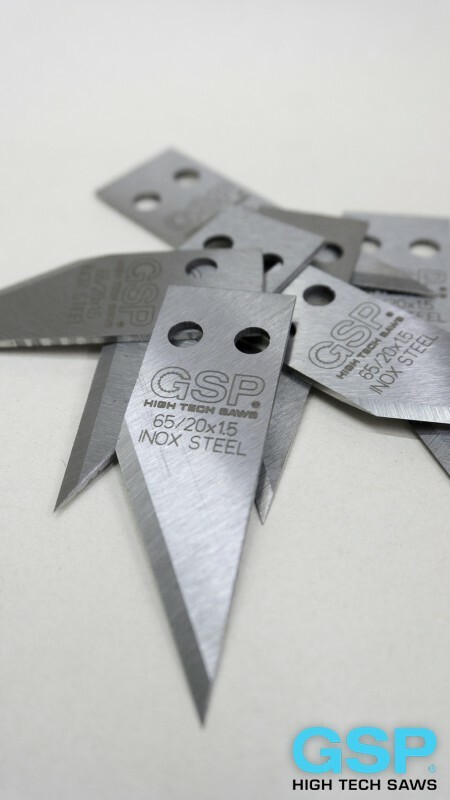 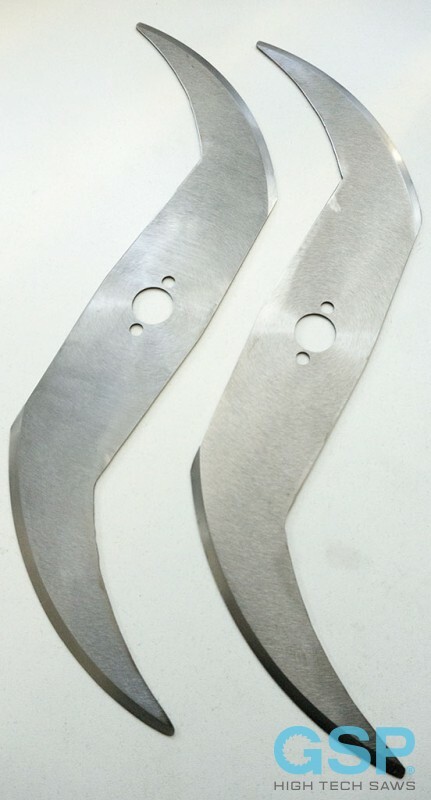 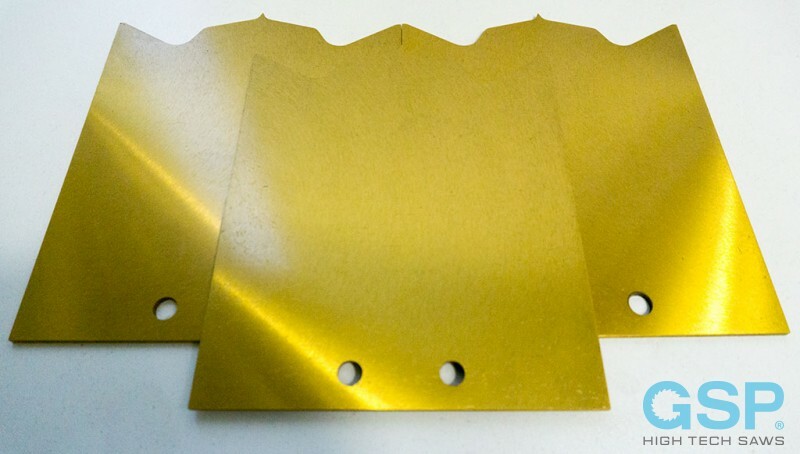 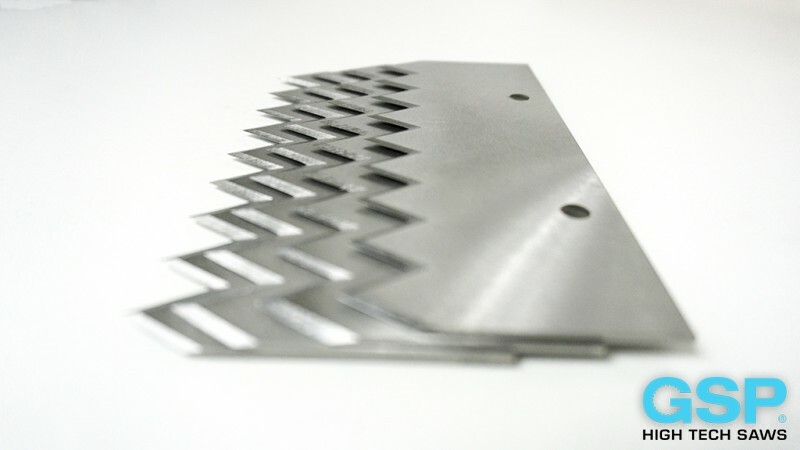 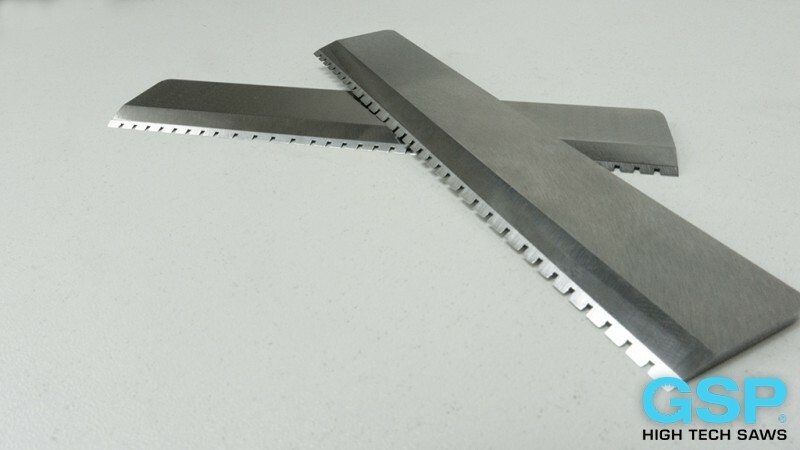 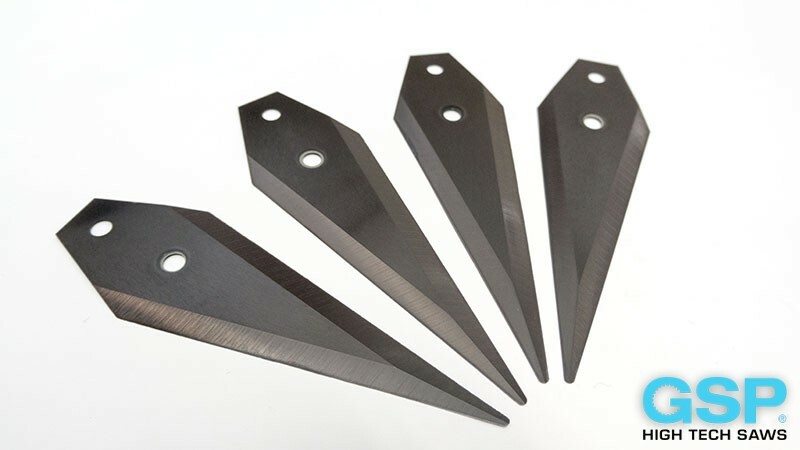 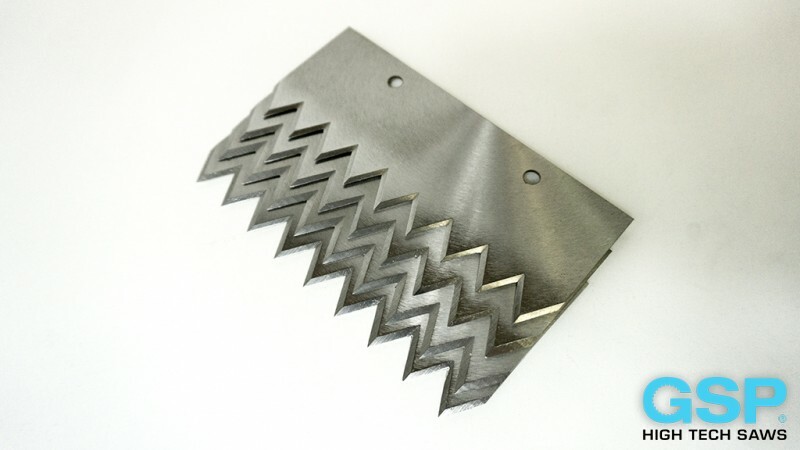 Cutting edges of these industrial knives are various according to the kind of cut material. 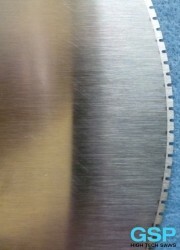 Following survey shows particular variants. 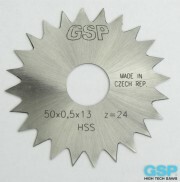 In the product range of GSP - High Tech Saws, s.r.o. 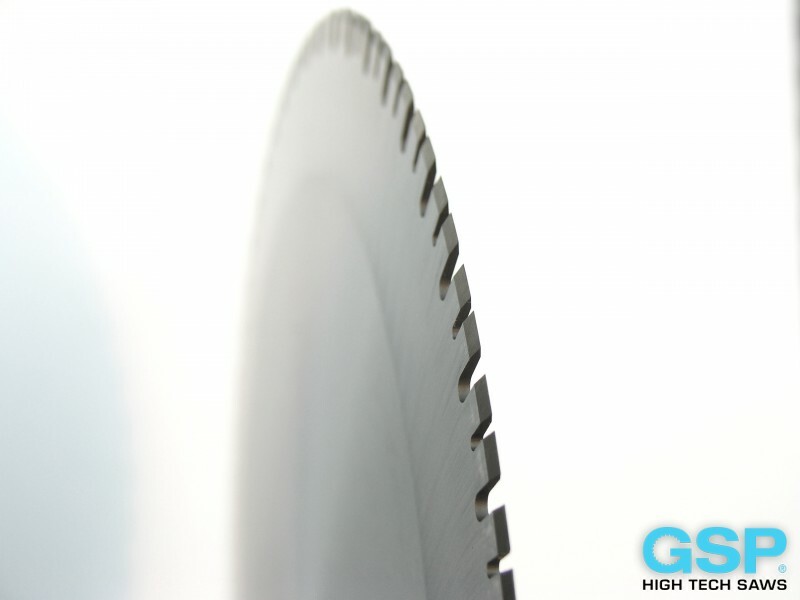 are also high-efficient cutting industrial knives manufactured on request which are generally known as circular knives. 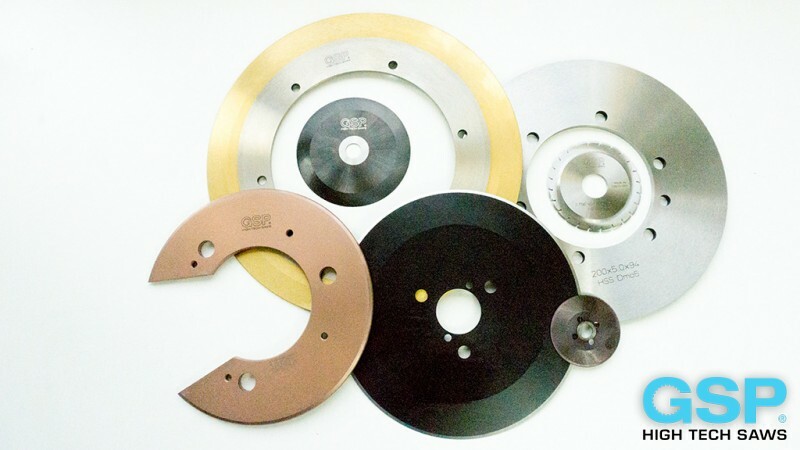 These rotary knives are used not only for cutting rubber, leather, paper, isolation materials and plastics, but also non-ferrous metals and steel. 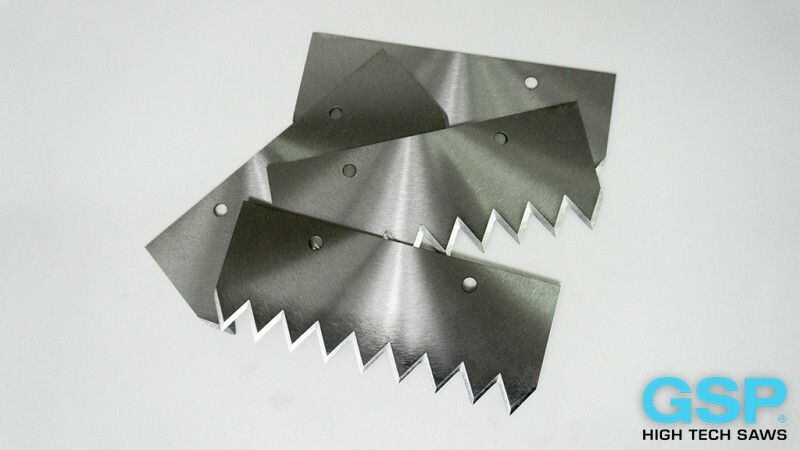 Cutting edges of these industrial knives are various according to the kind of cut material. 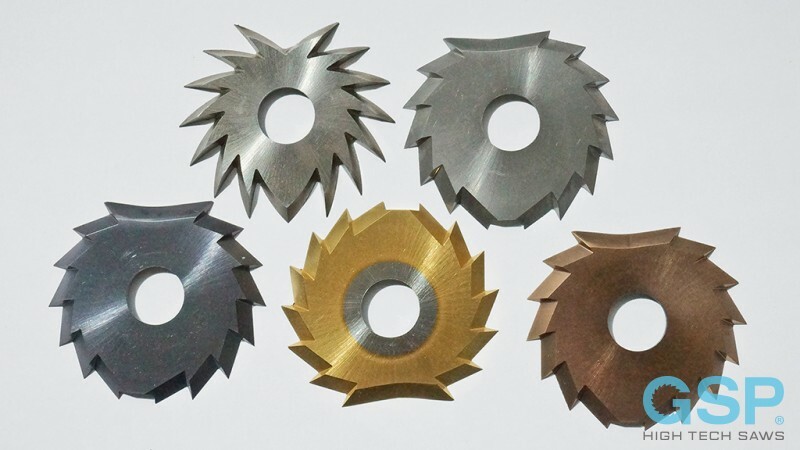 Following survey shows particular variants. 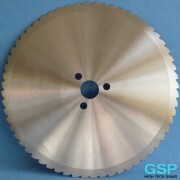 In the product range of GSP - High Tech Saws, s.r.o. 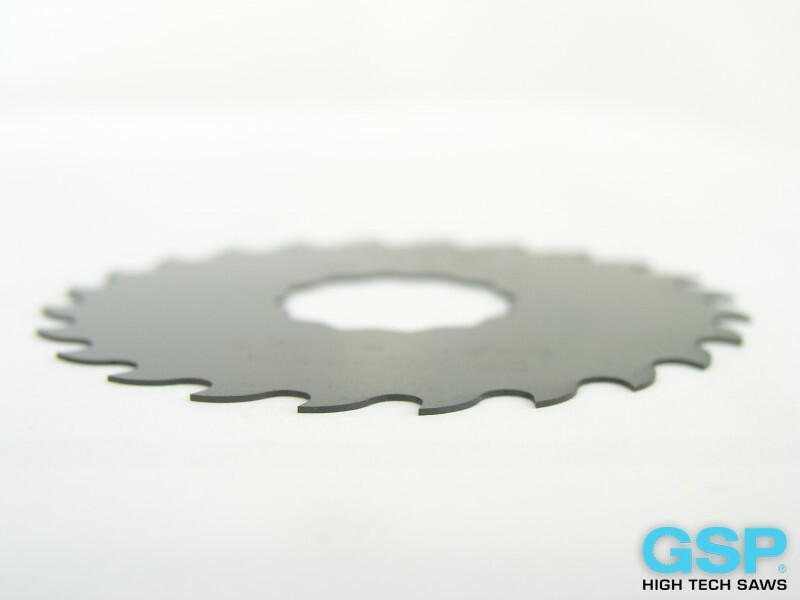 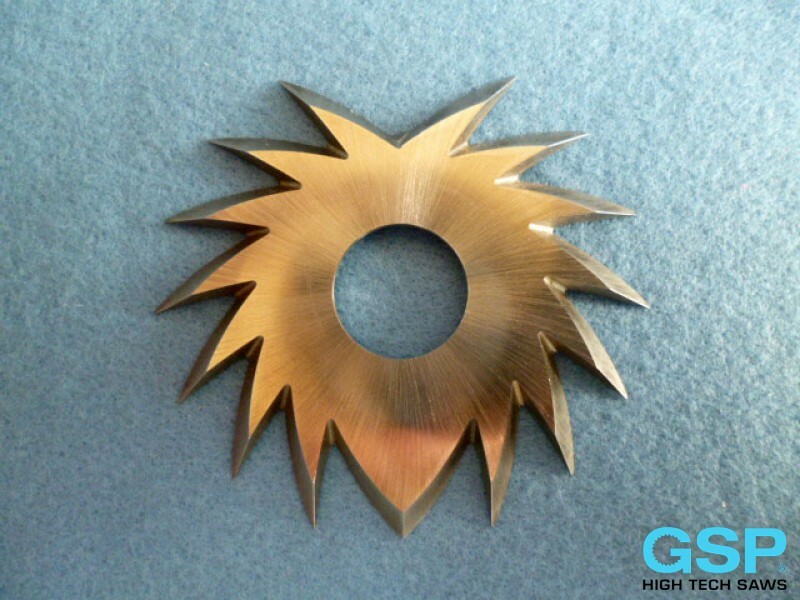 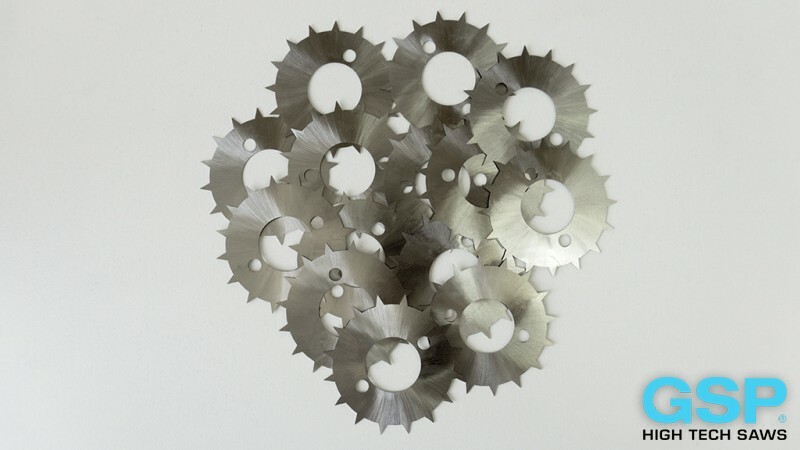 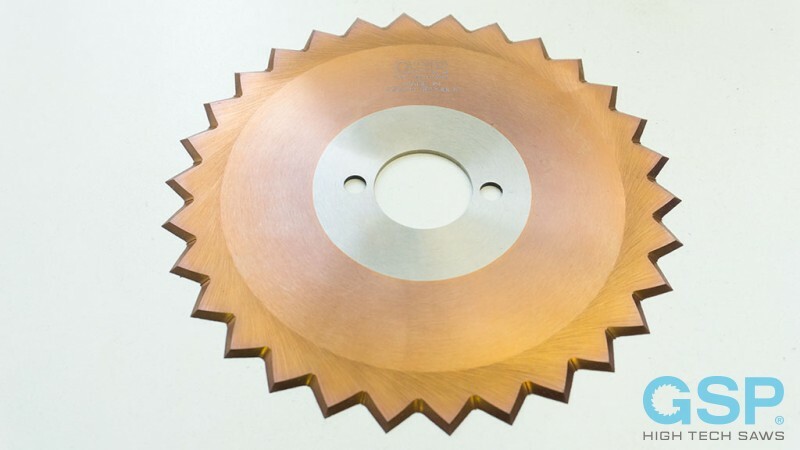 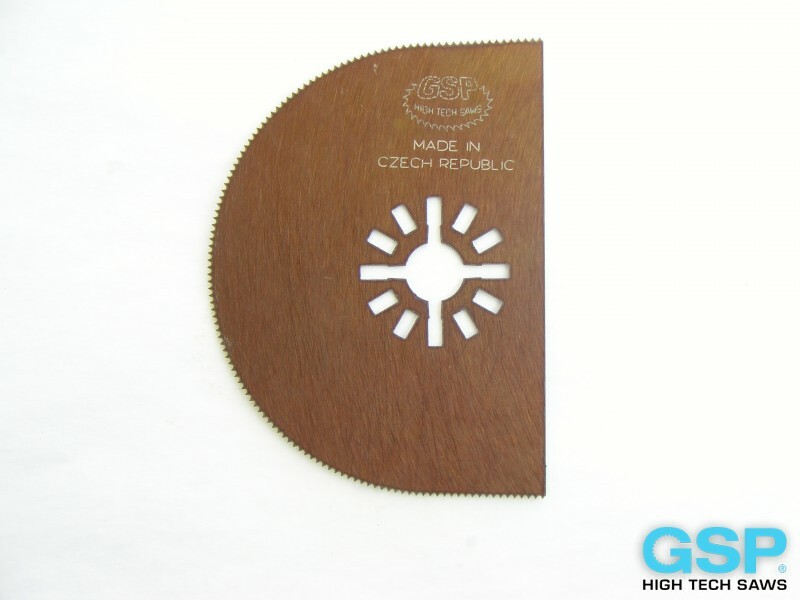 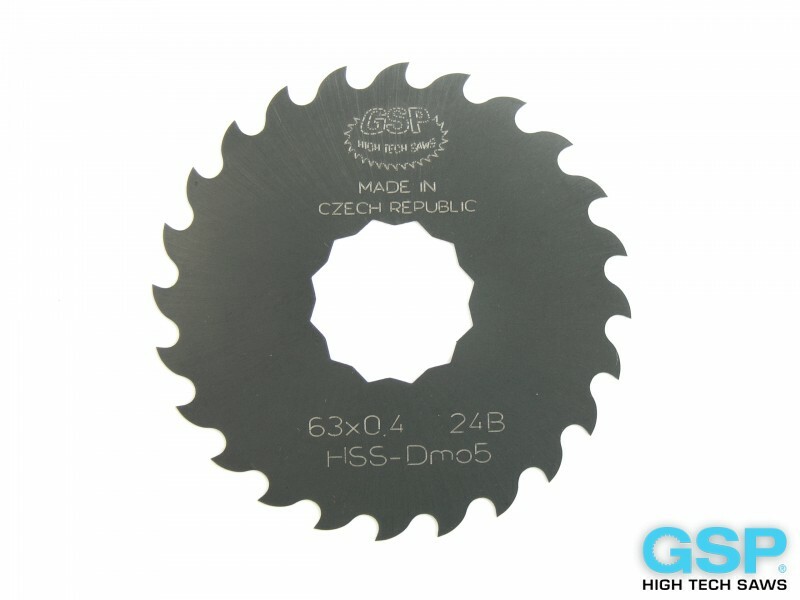 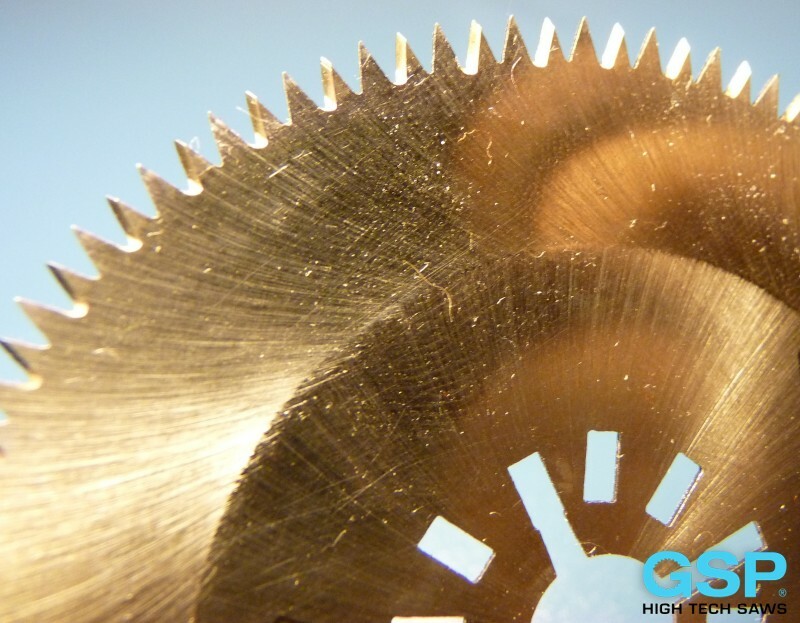 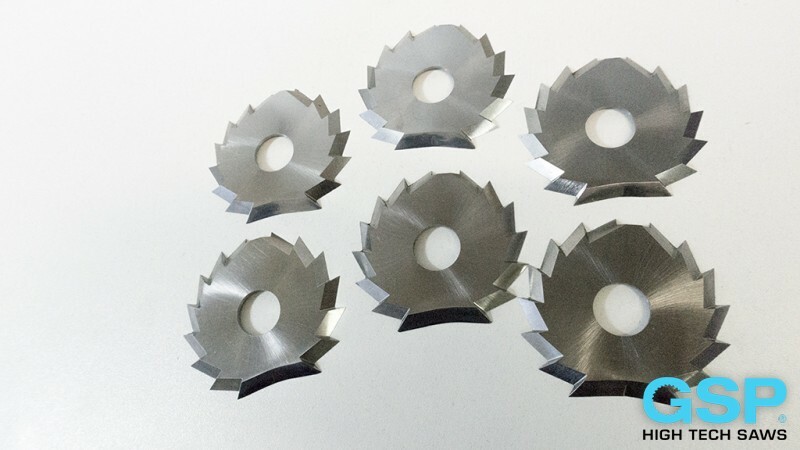 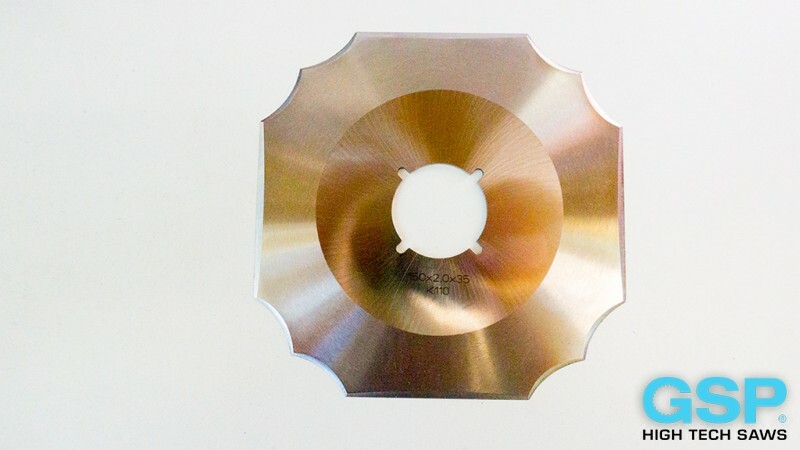 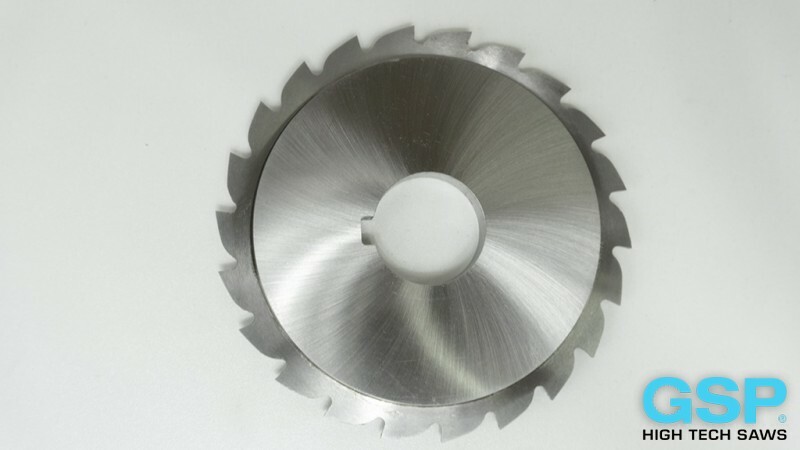 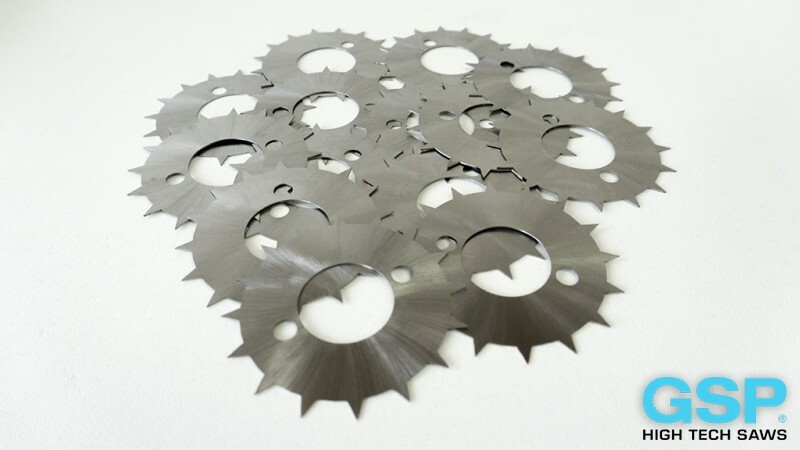 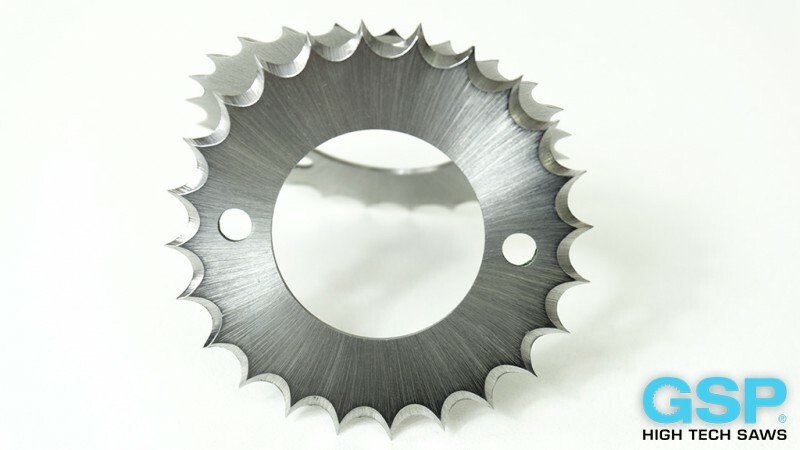 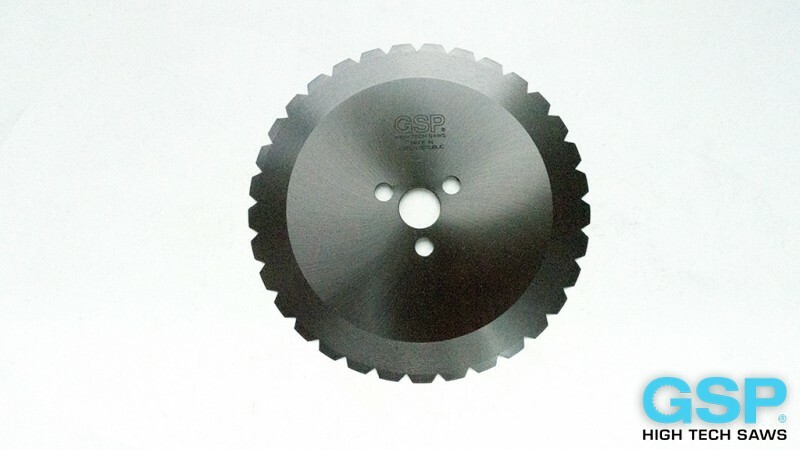 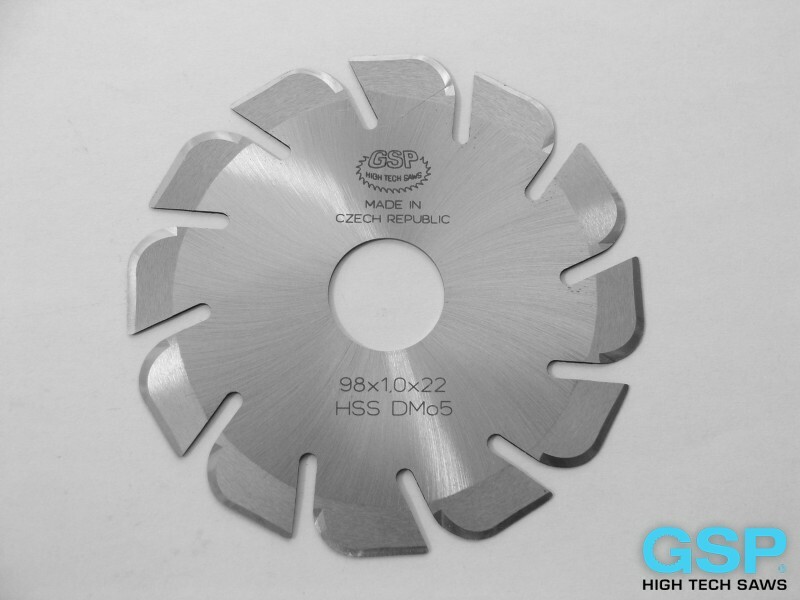 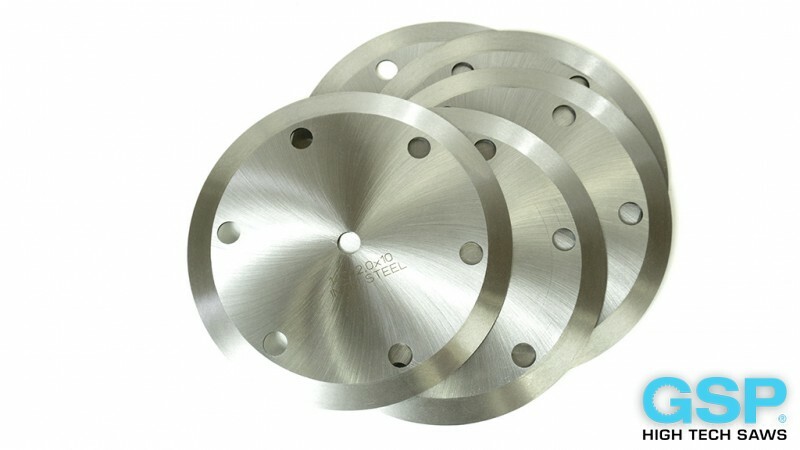 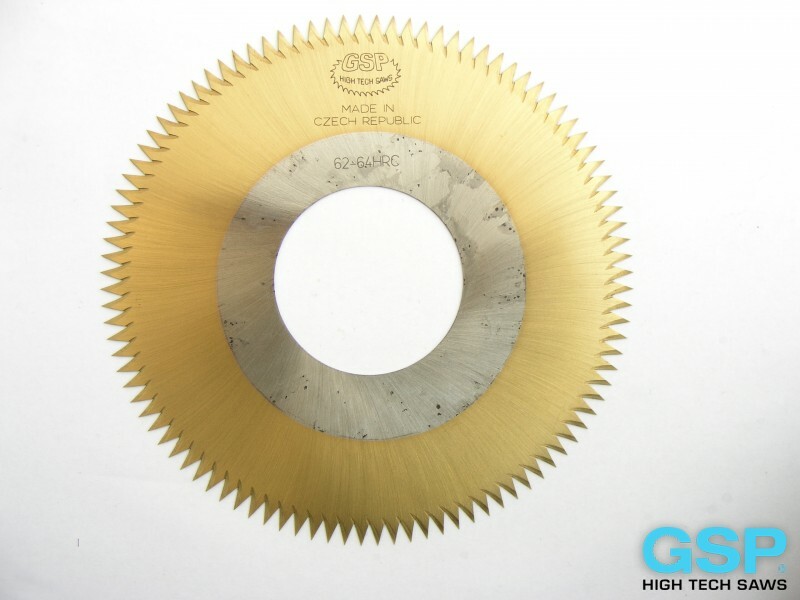 are also high-efficient cutting tools manufactured on request which are generally known as circular knives. 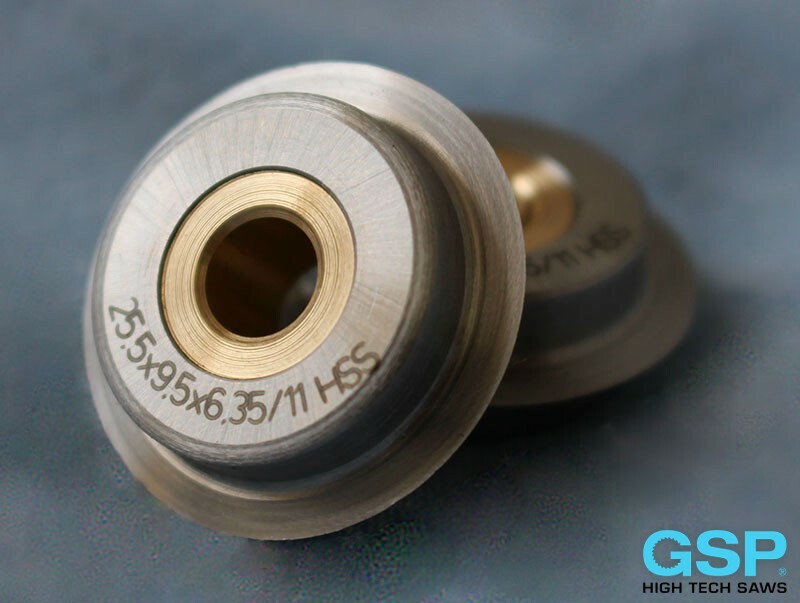 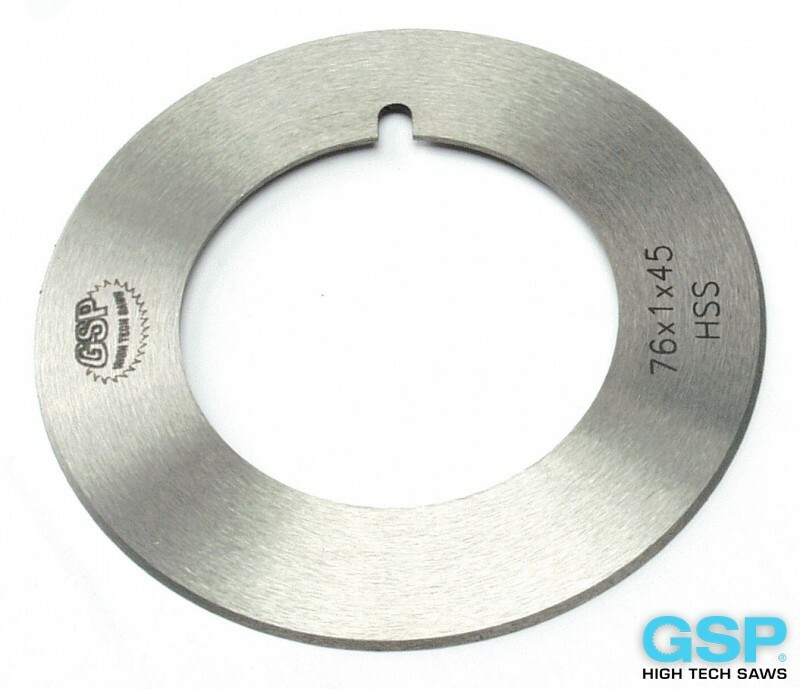 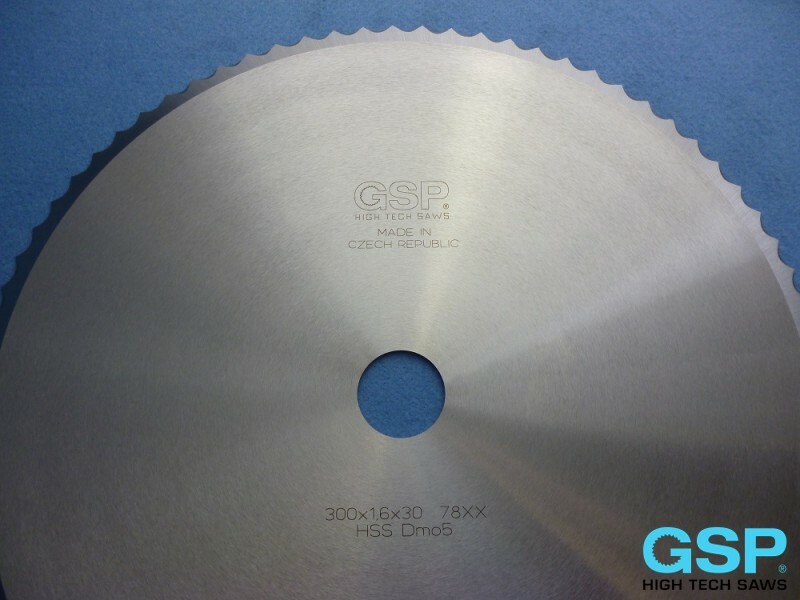 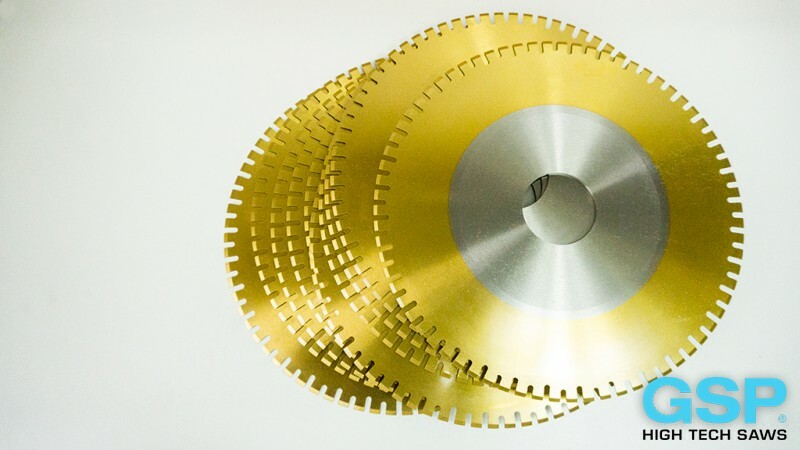 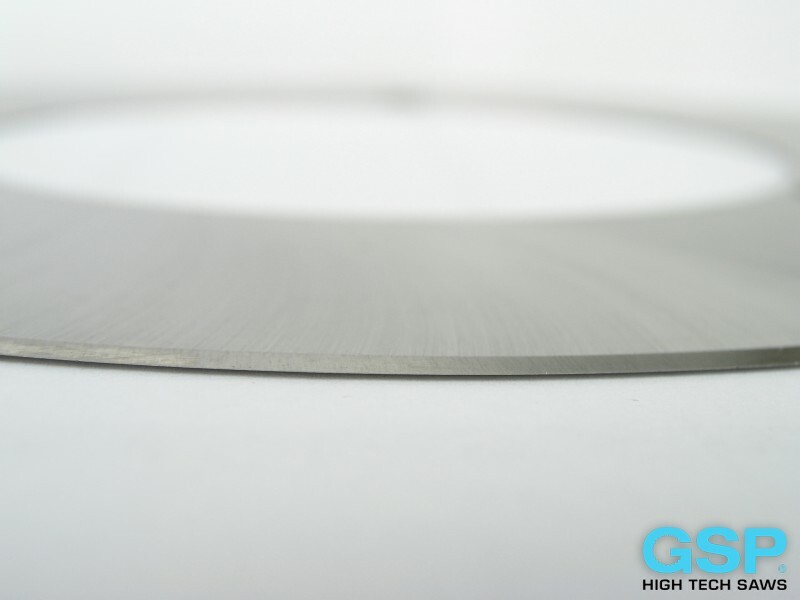 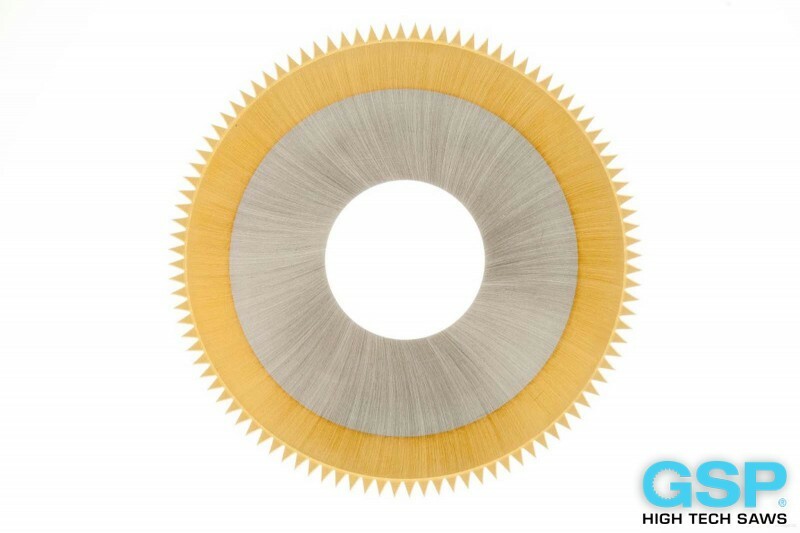 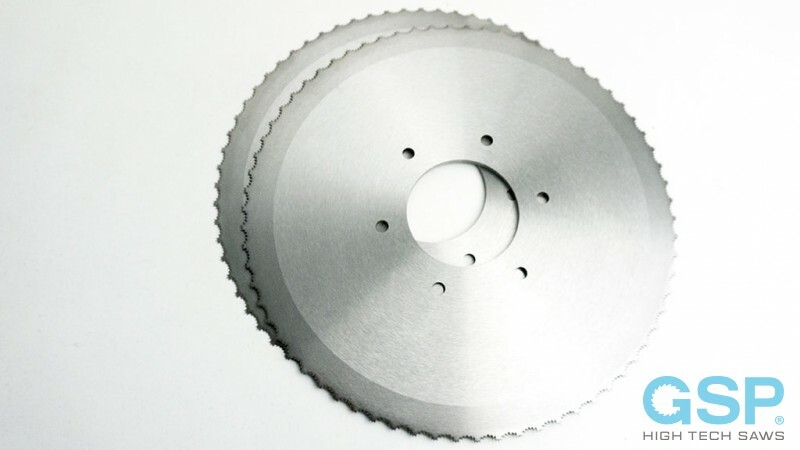 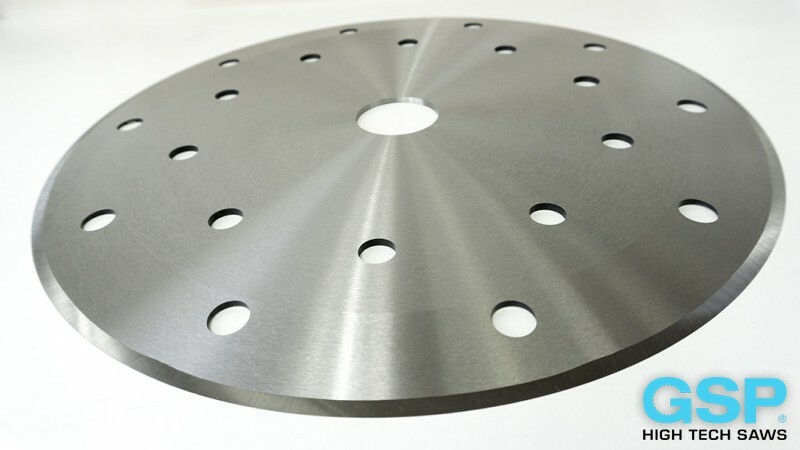 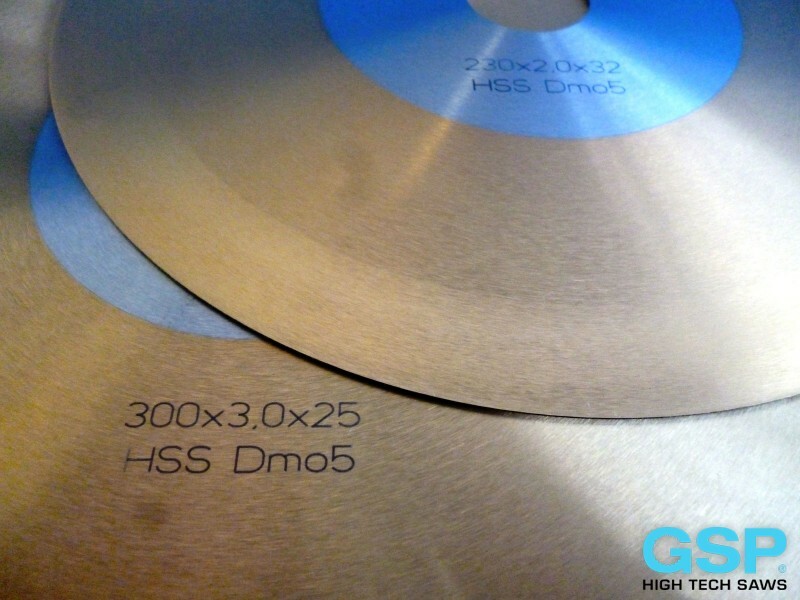 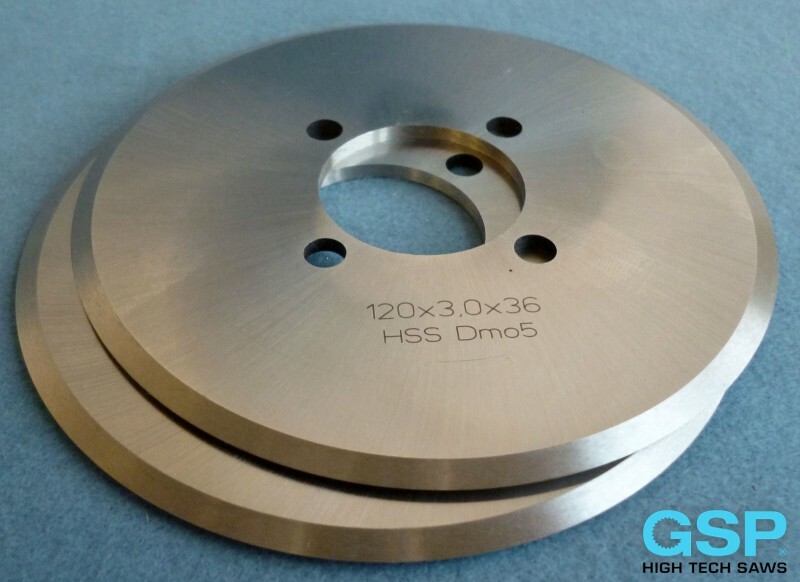 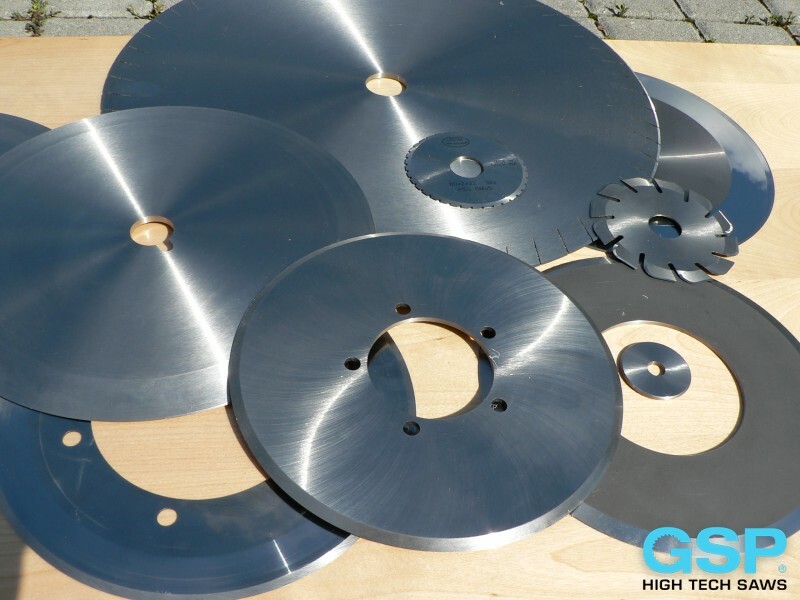 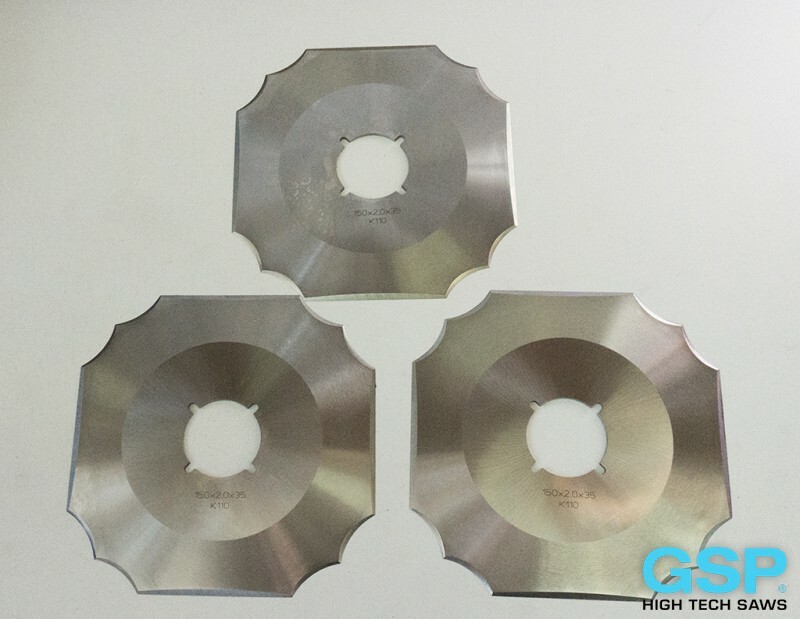 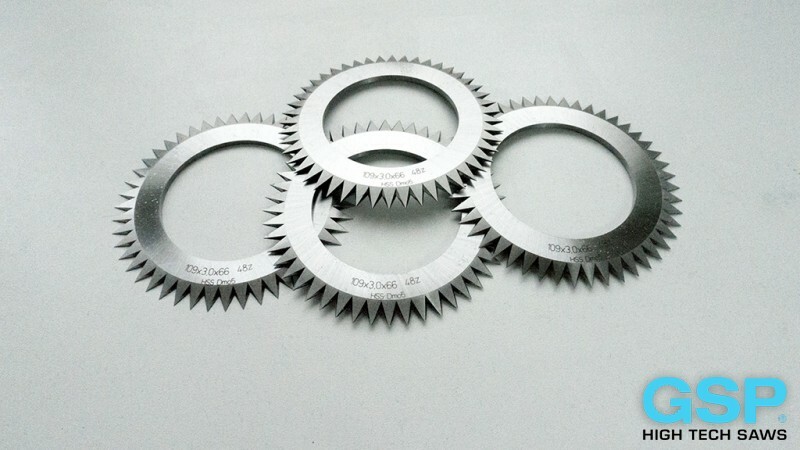 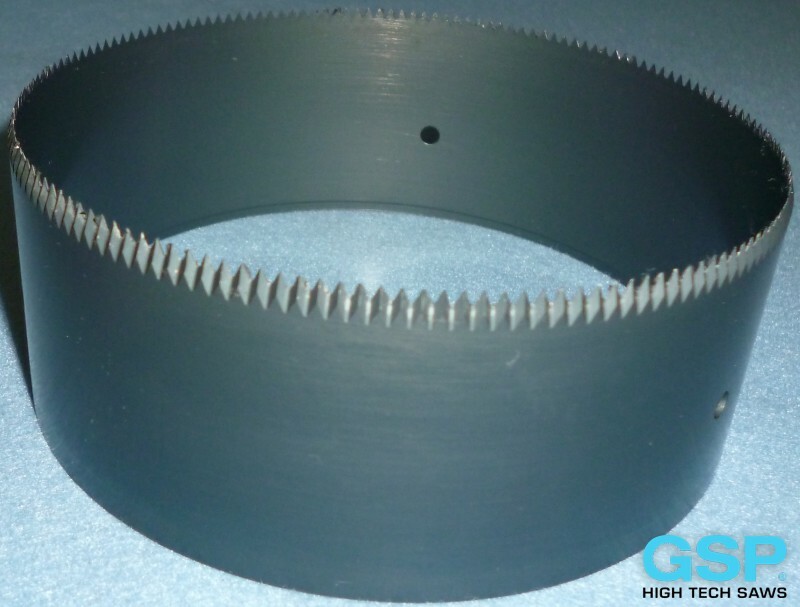 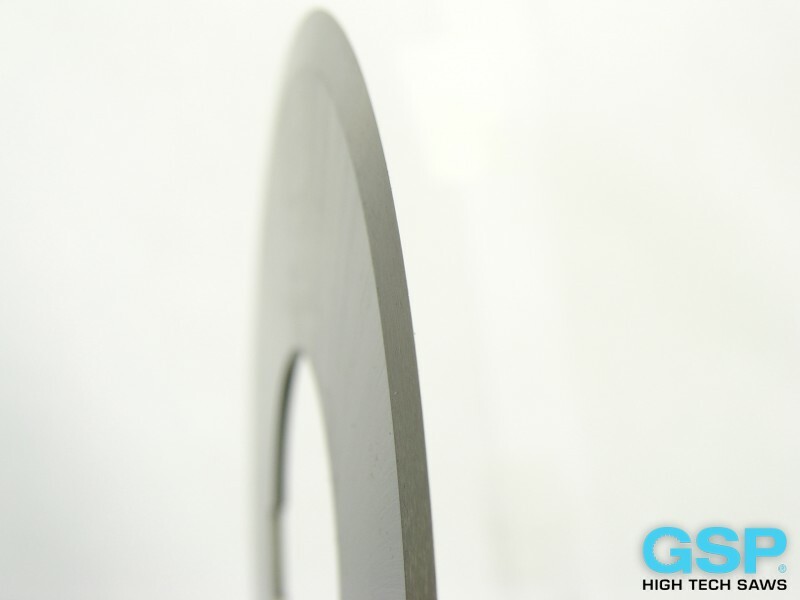 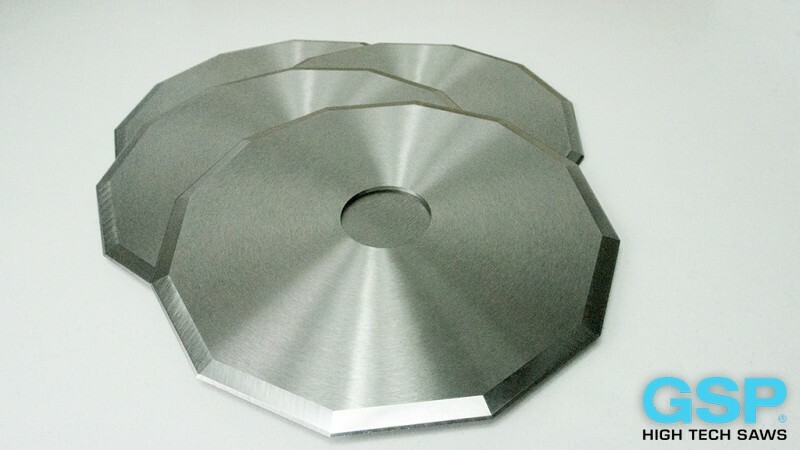 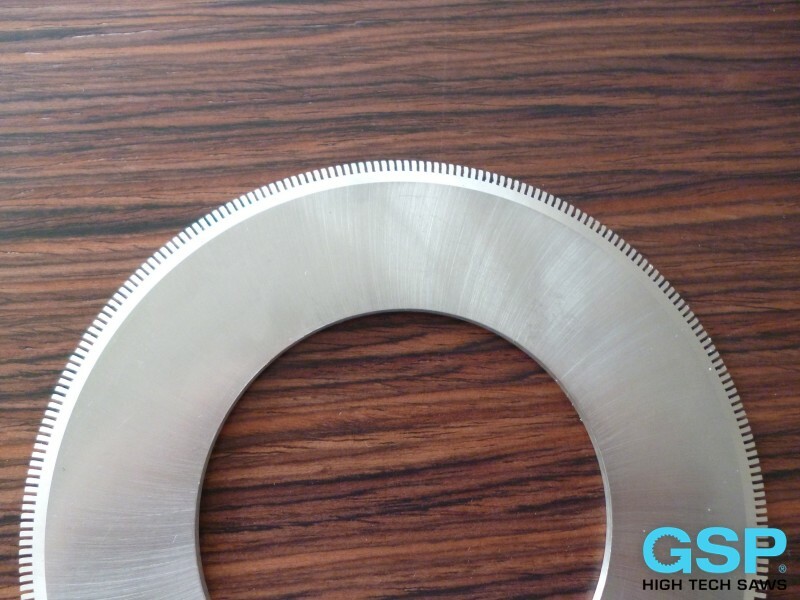 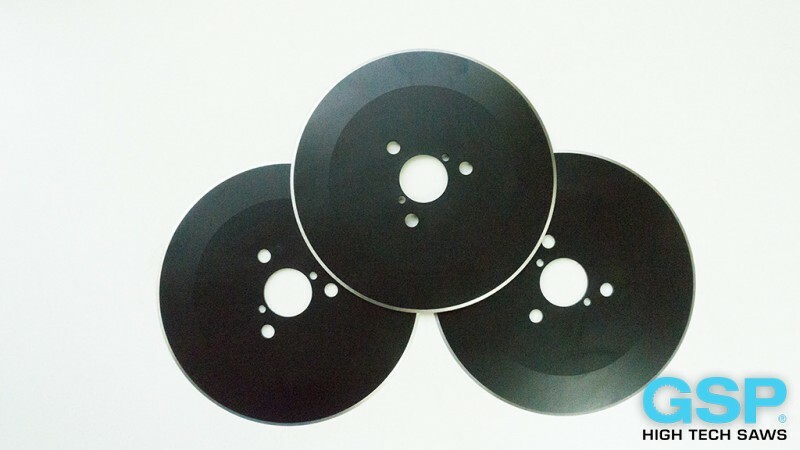 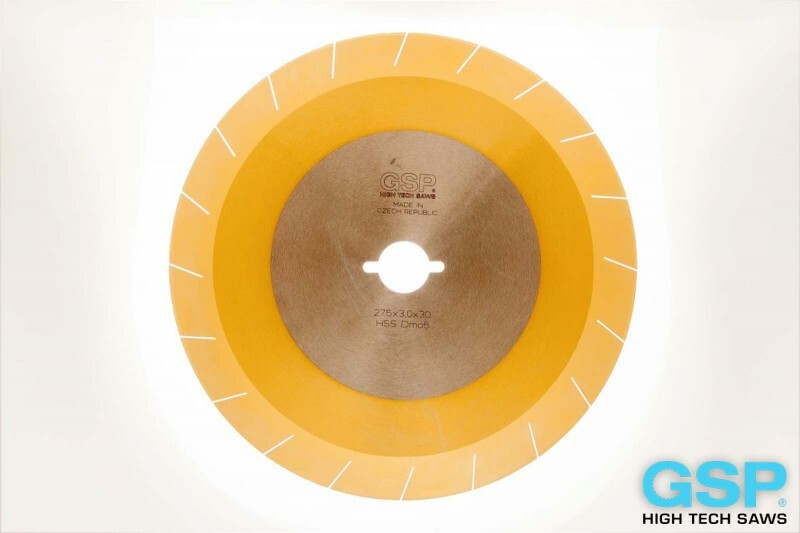 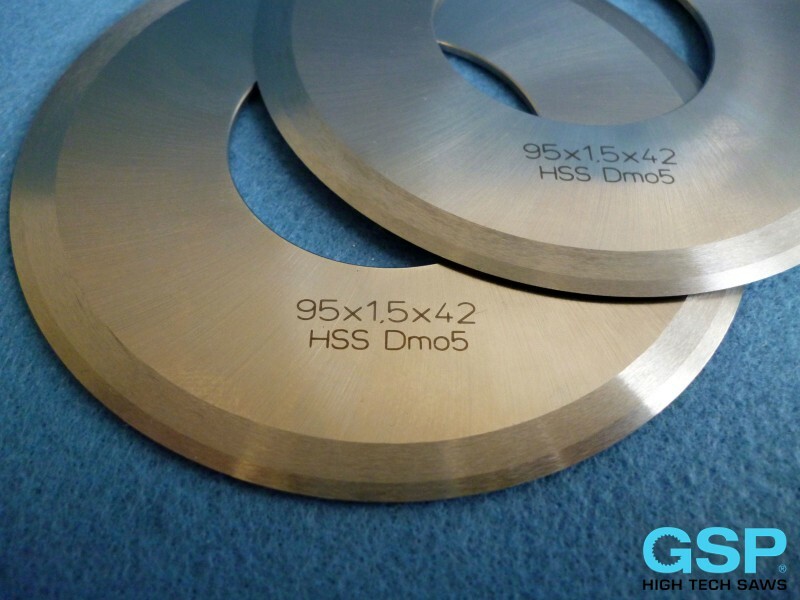 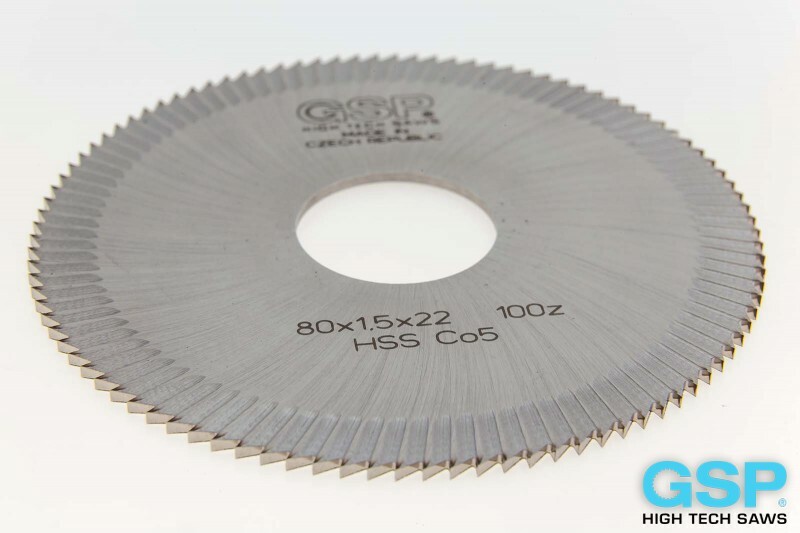 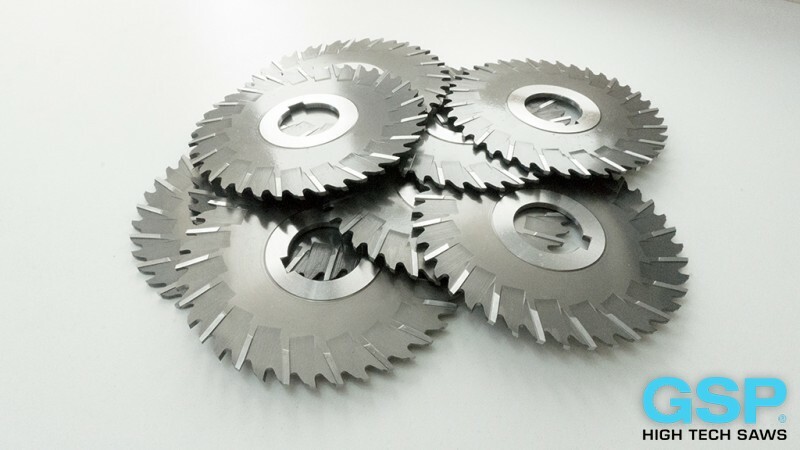 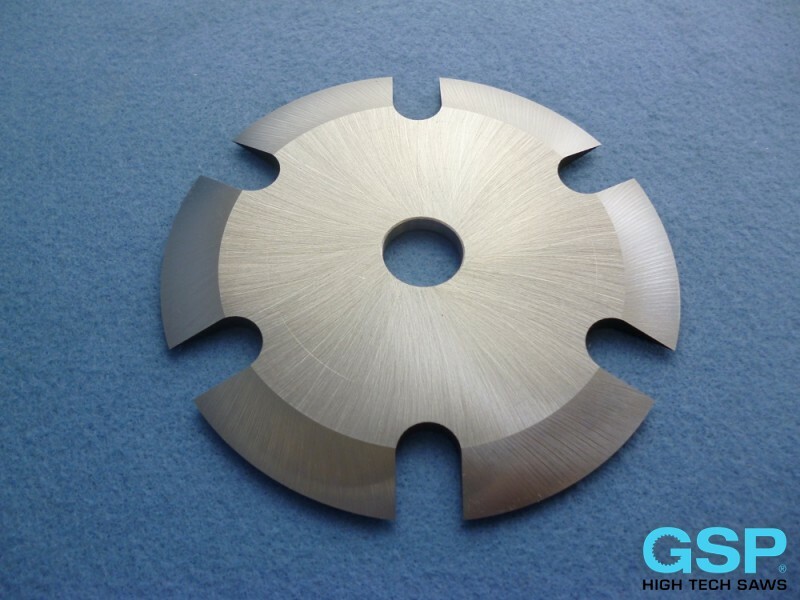 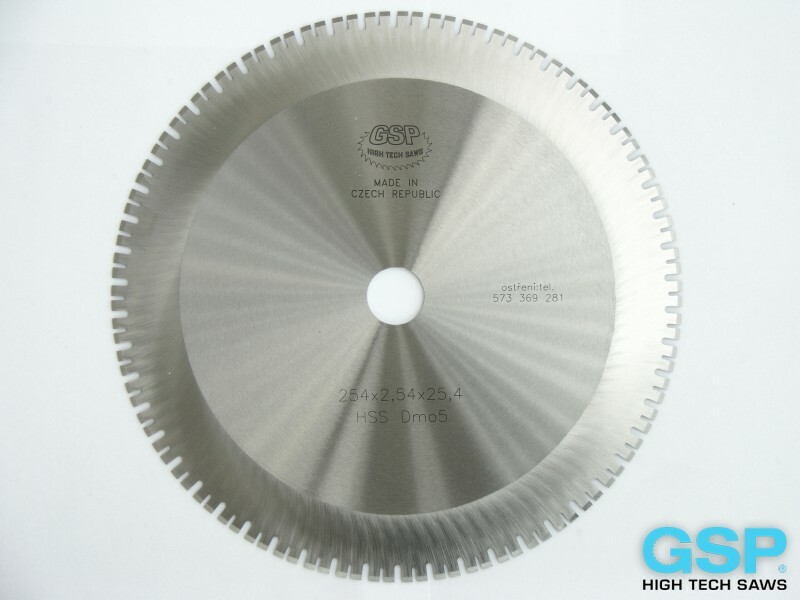 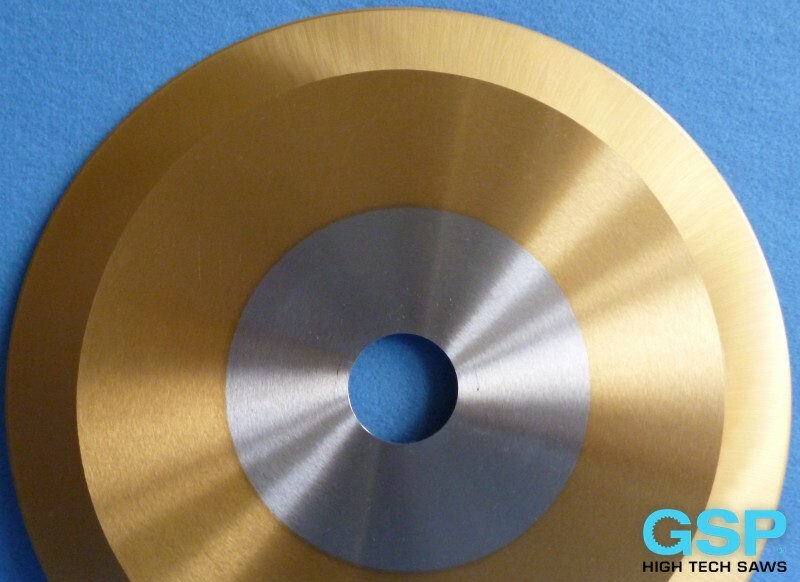 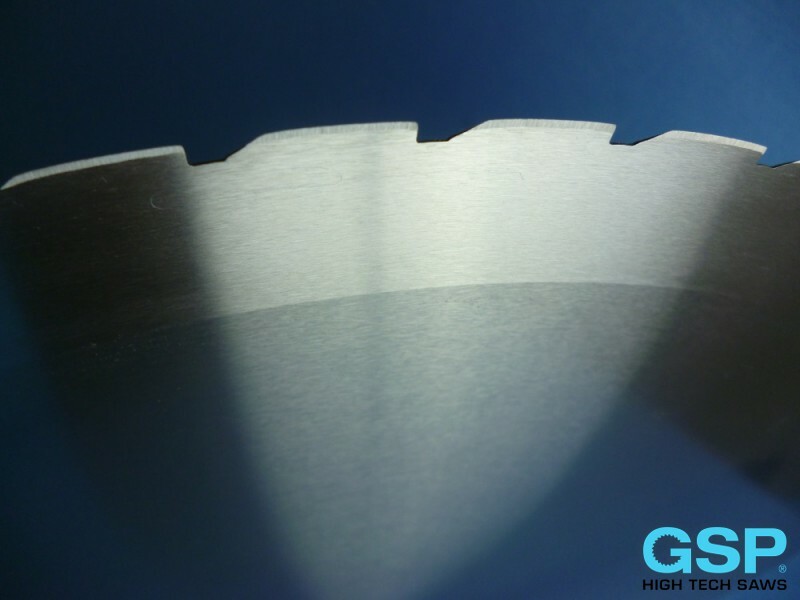 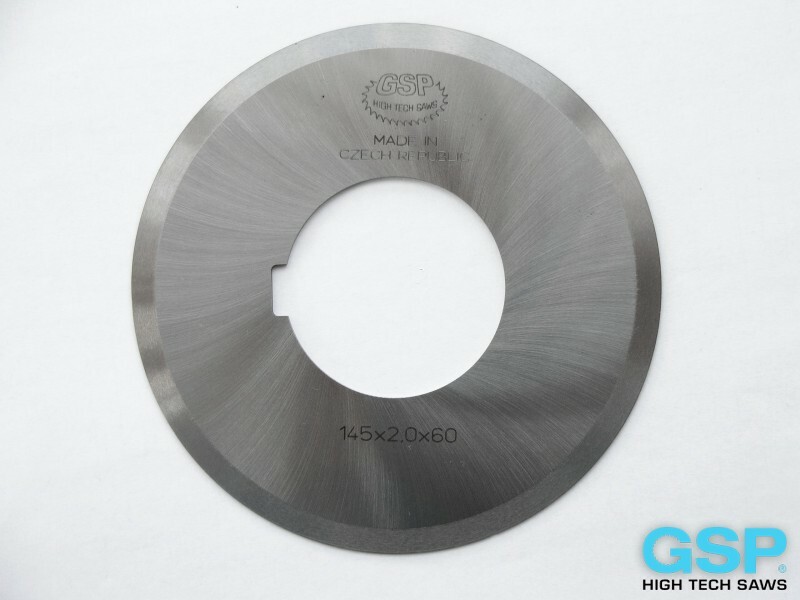 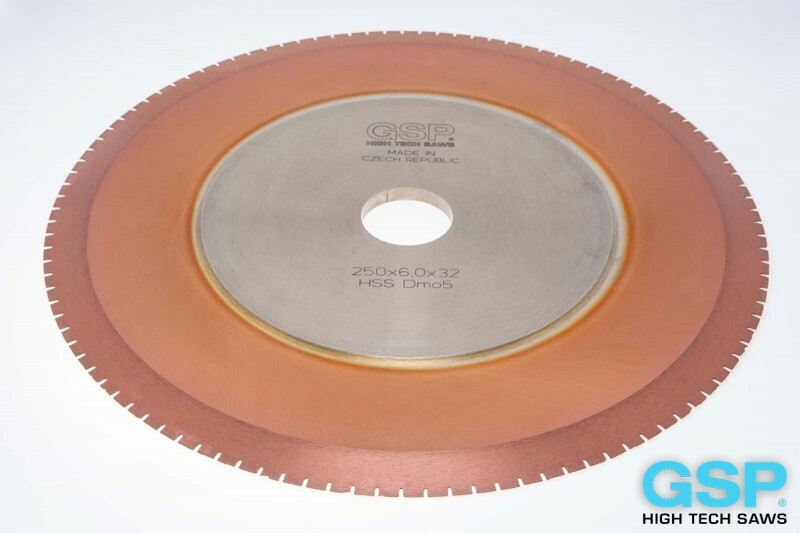 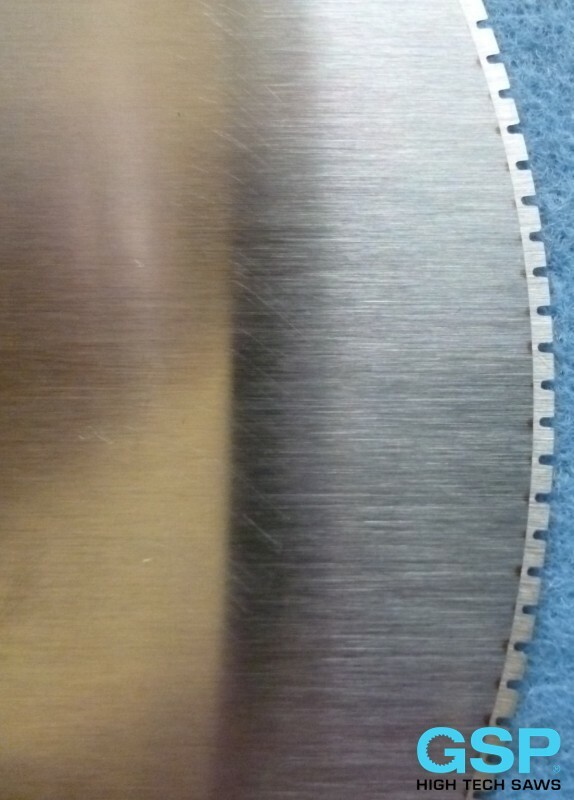 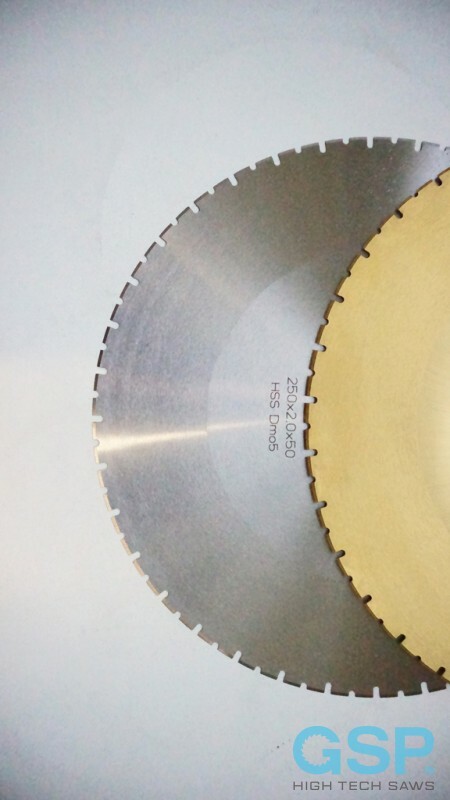 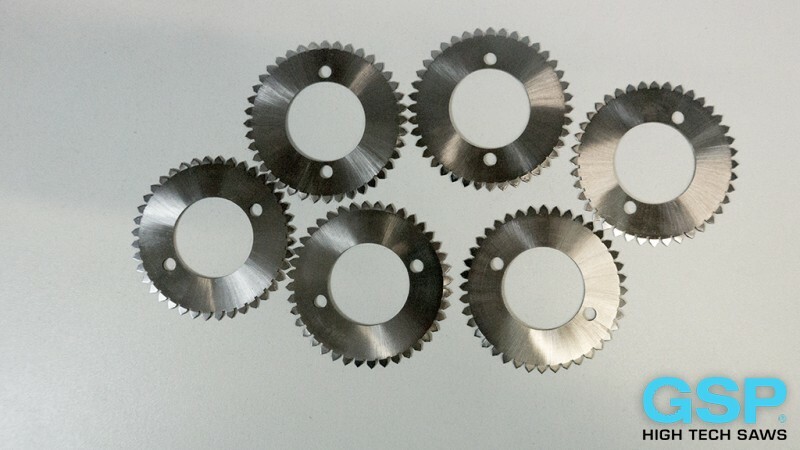 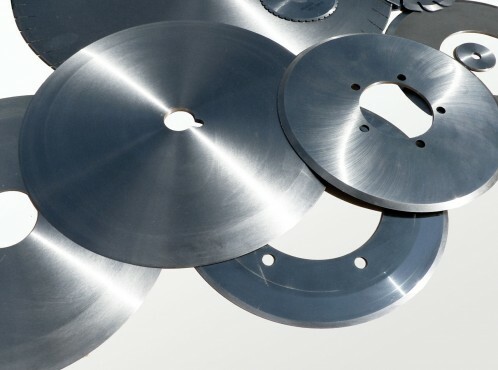 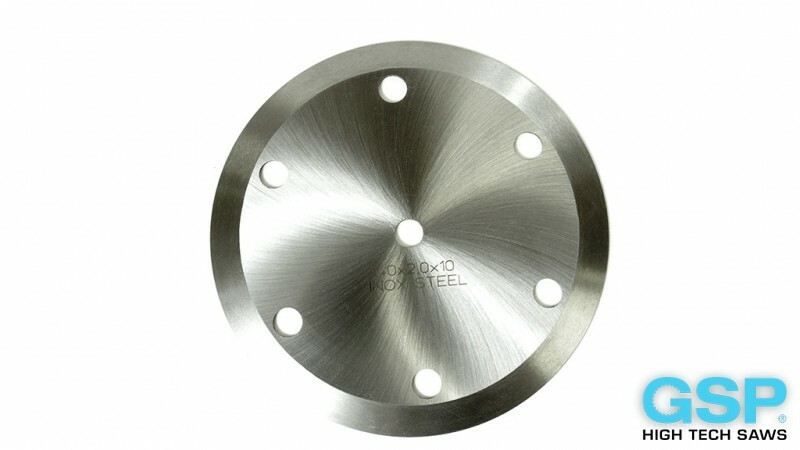 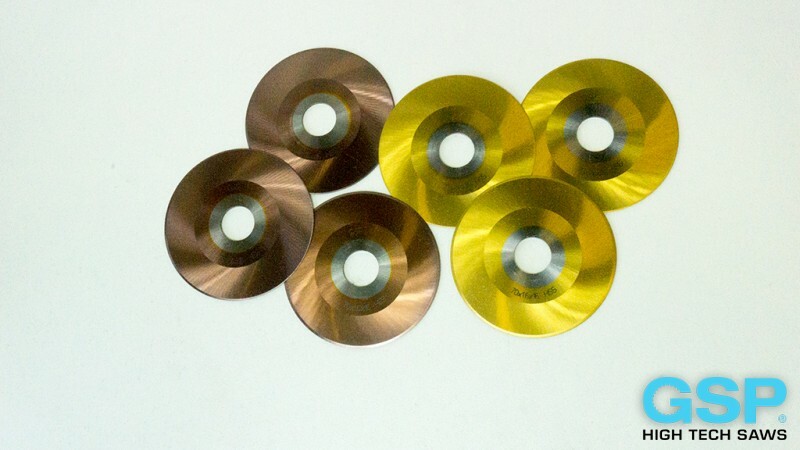 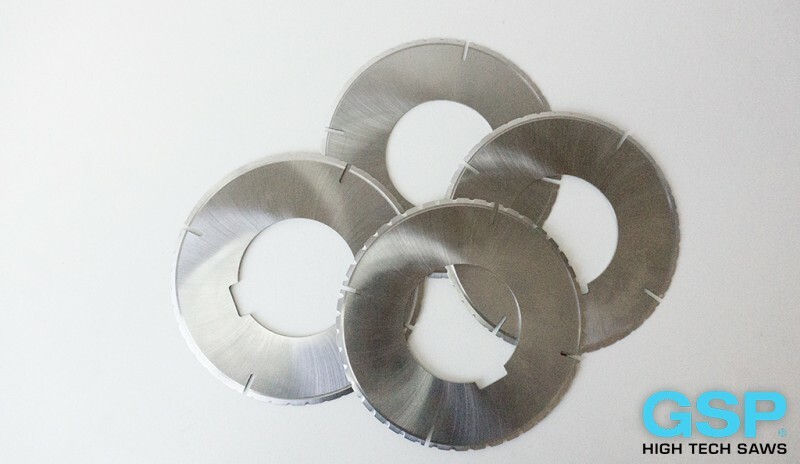 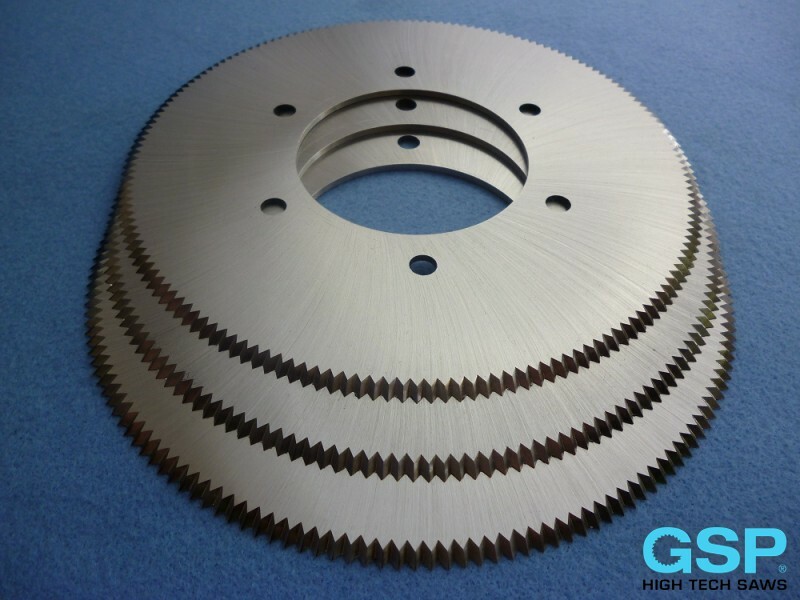 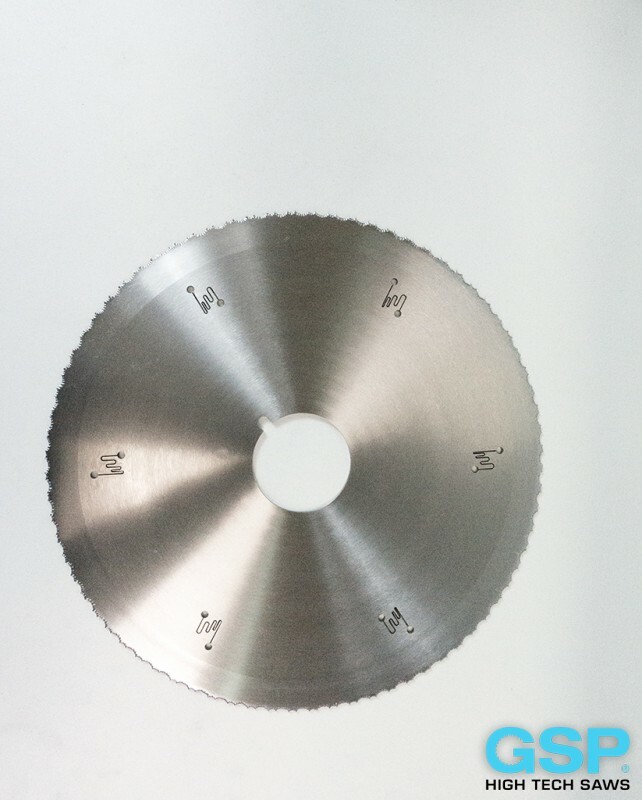 Circular knives in HSS-DMo5, HSS-Co 5%, K110, K190 PM and S 390 PM Steels are used not only for cutting rubber, leather, paper, isolation materials and plastics, cutting thin walled tubes, hoses, but also non-ferrous metals and steel. 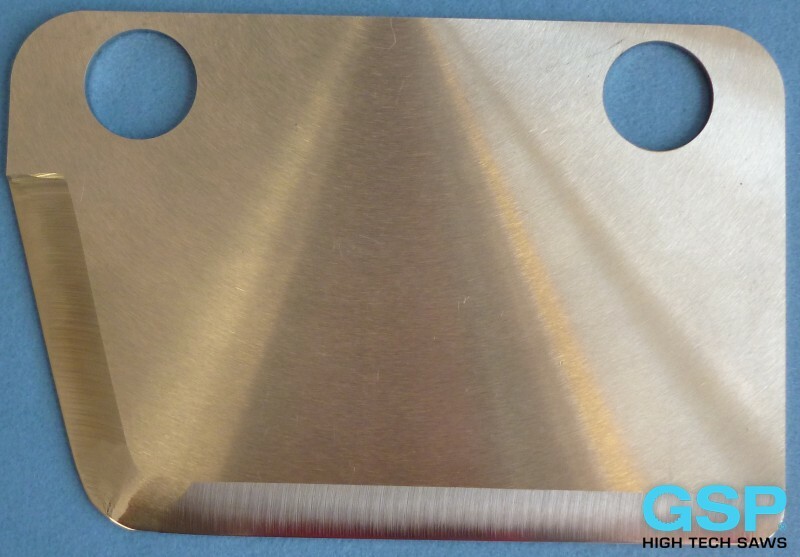 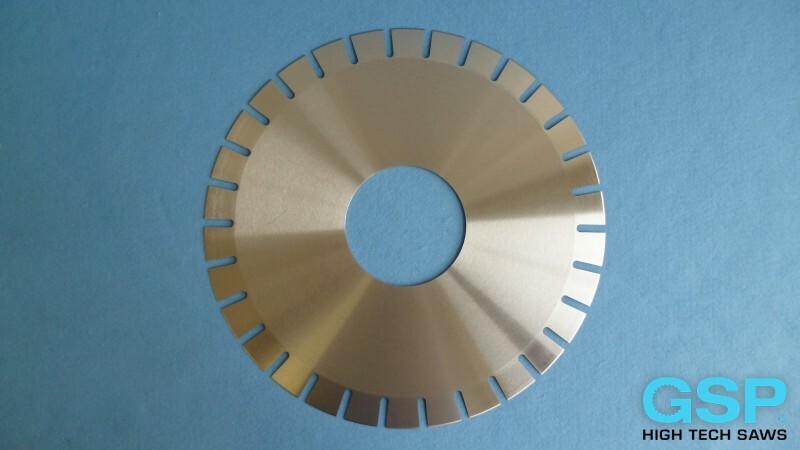 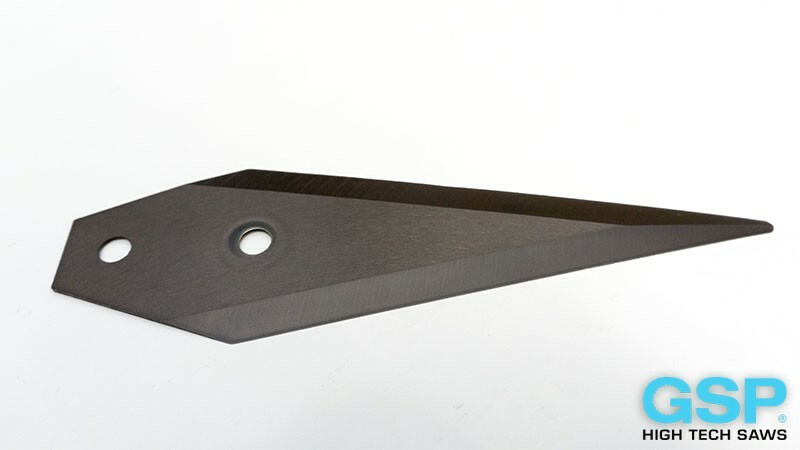 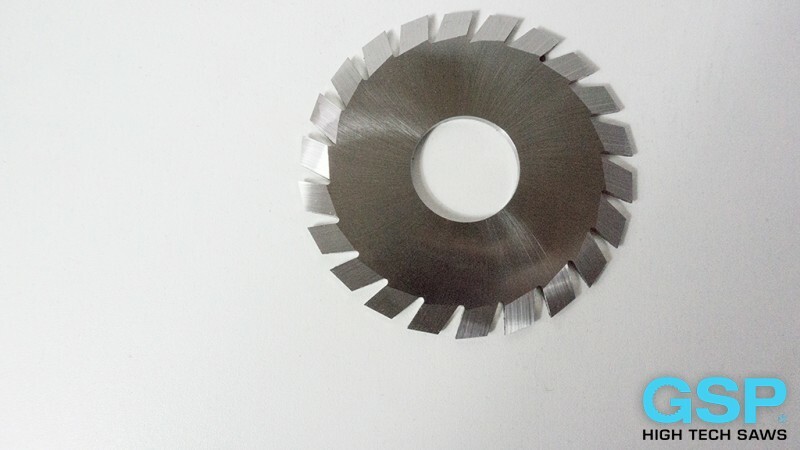 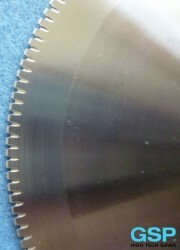 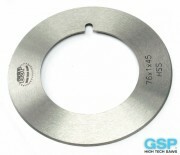 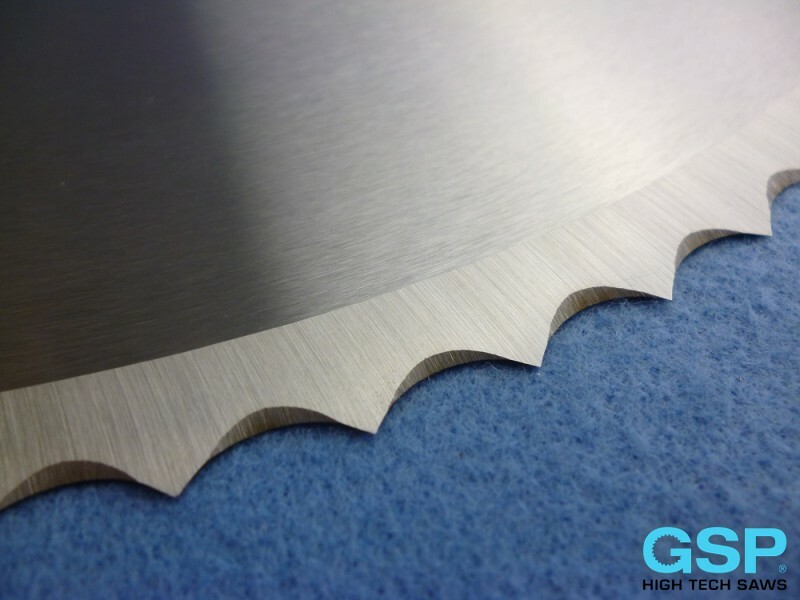 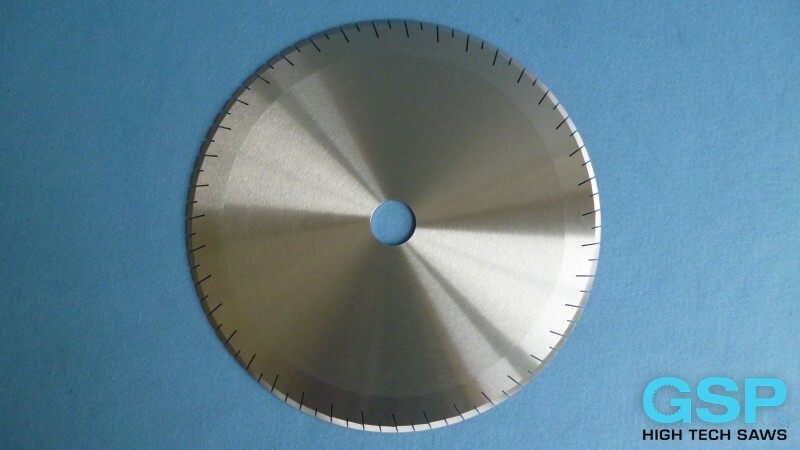 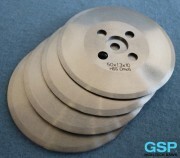 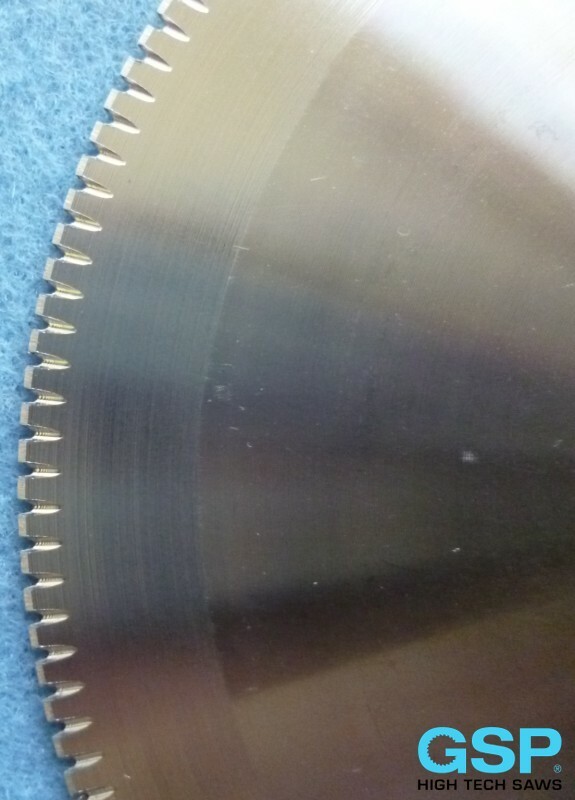 Cutting edges of circular knives are various according to the kind of cut material. 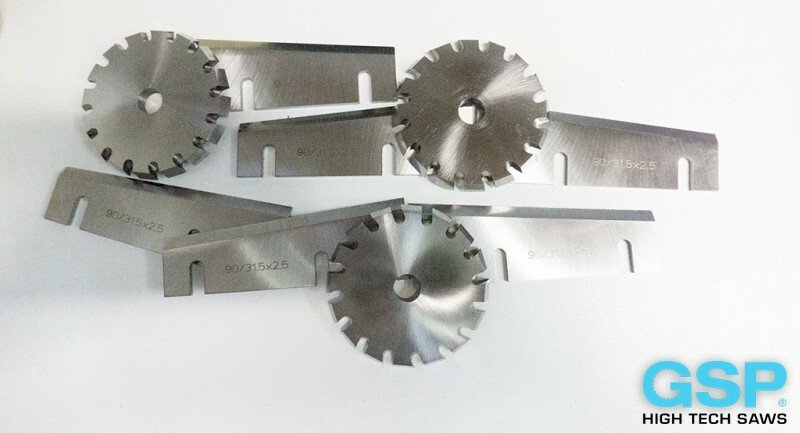 Applications of rotary knives are on semi and fully automatic machines. 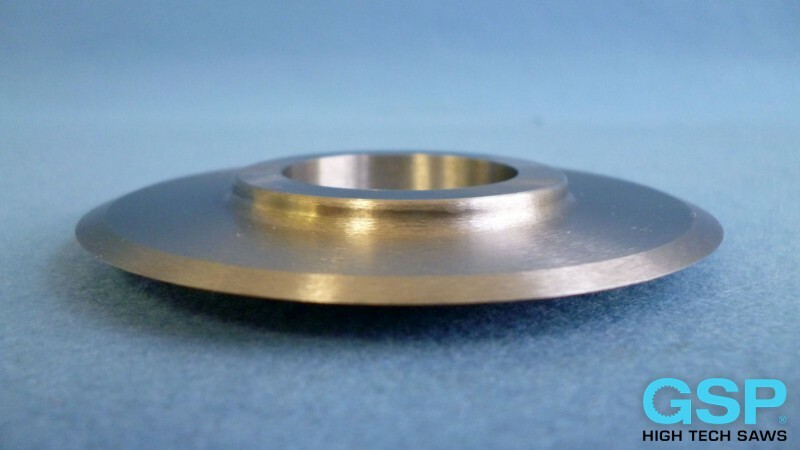 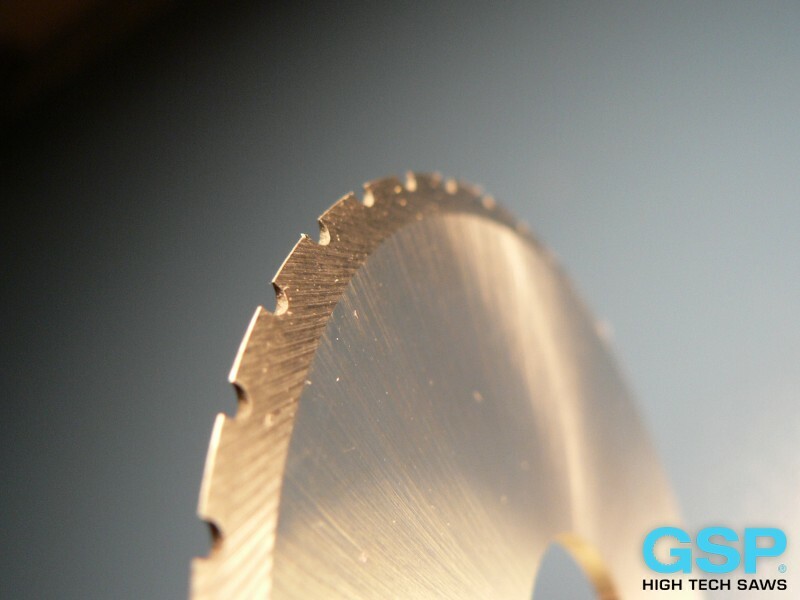 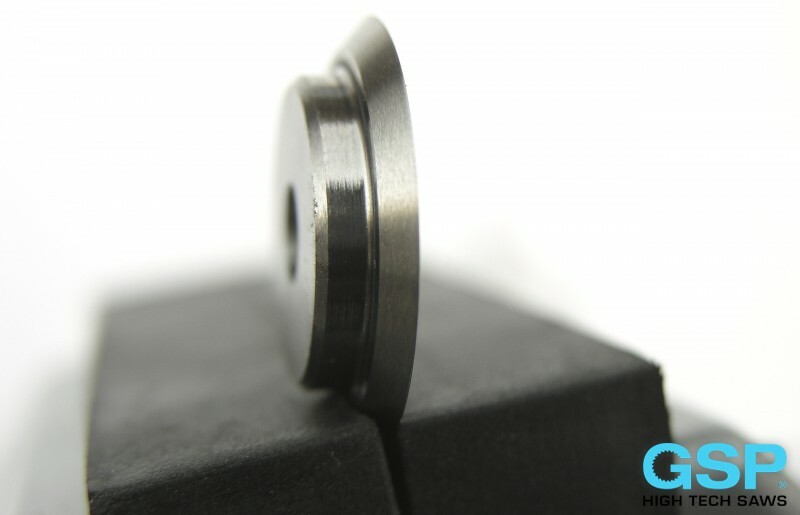 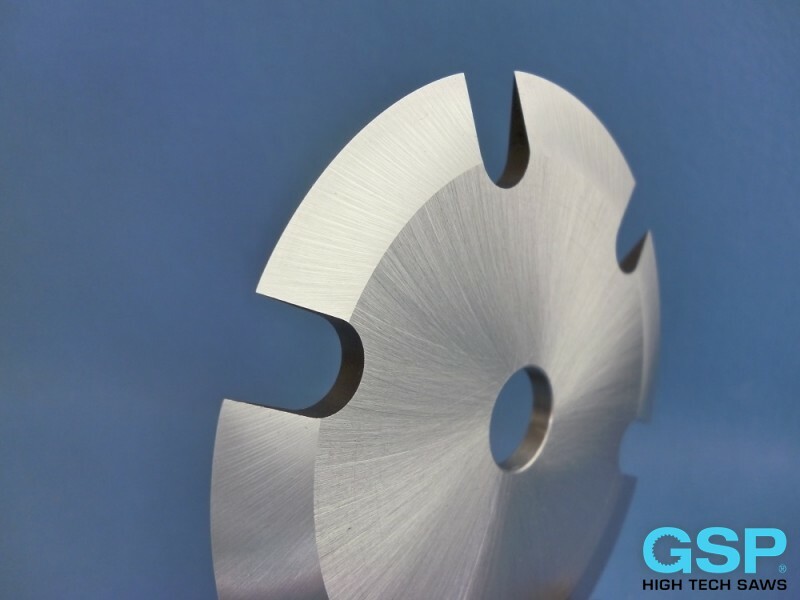 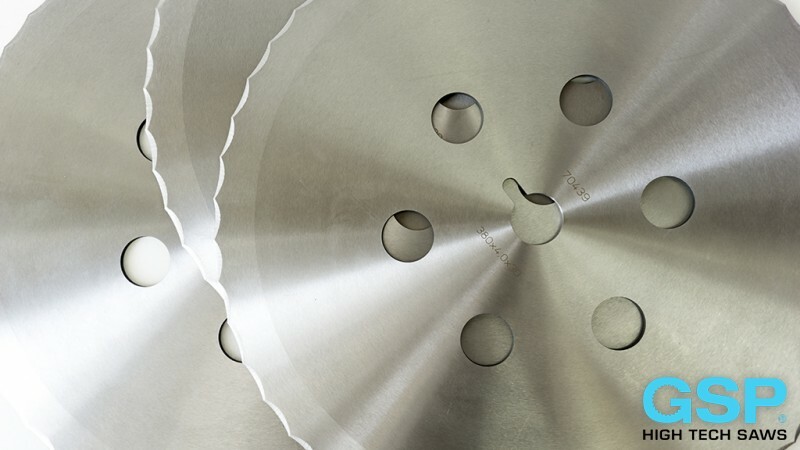 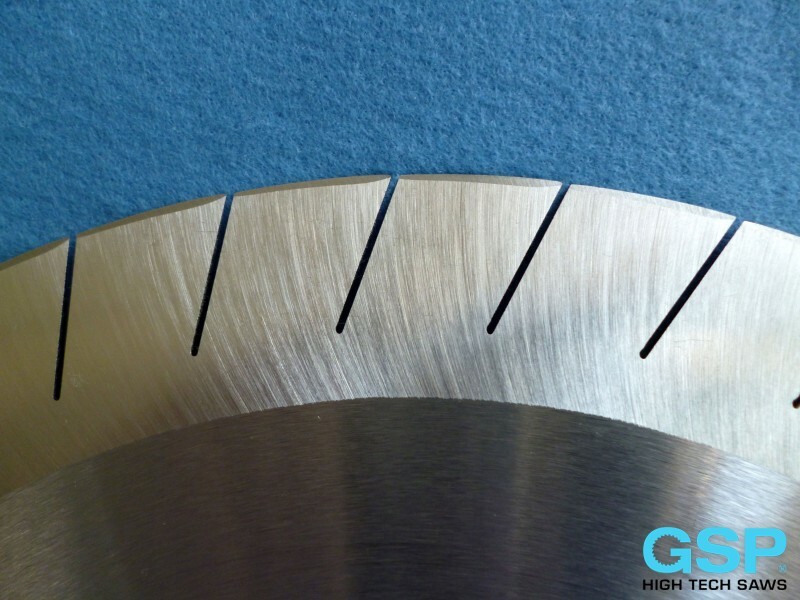 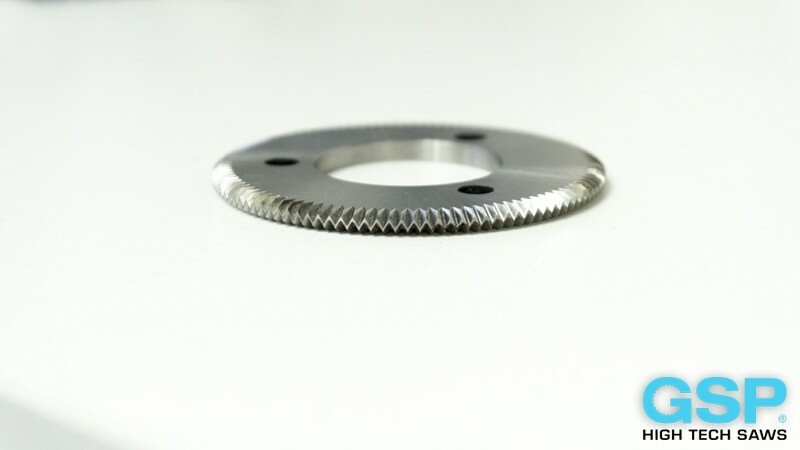 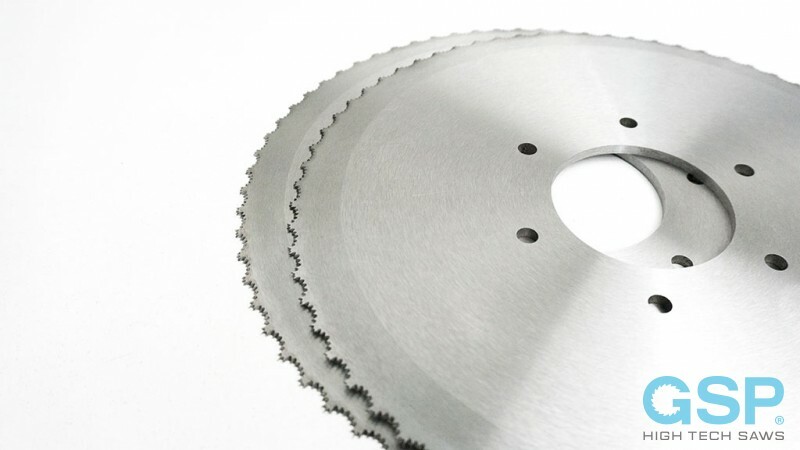 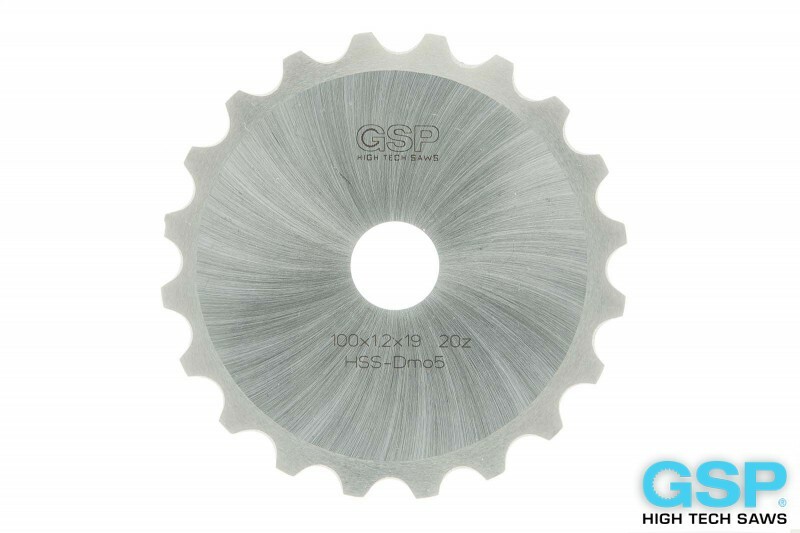 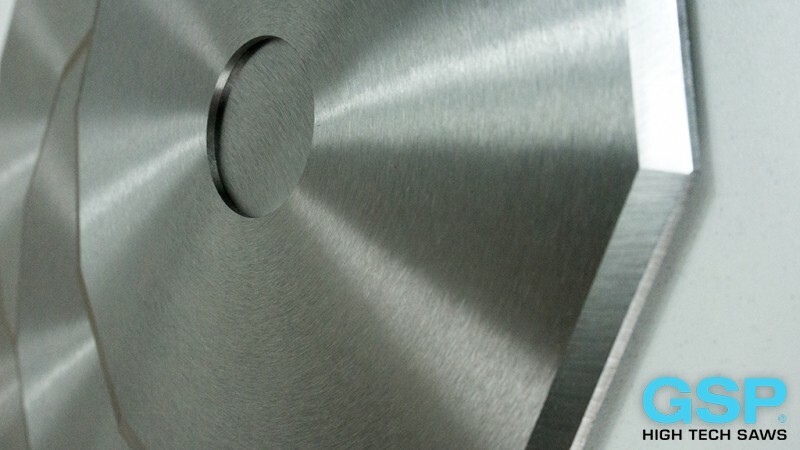 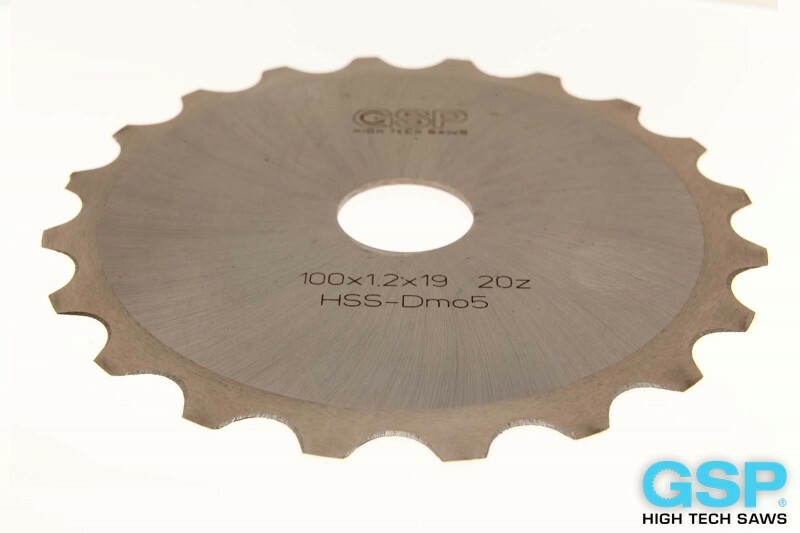 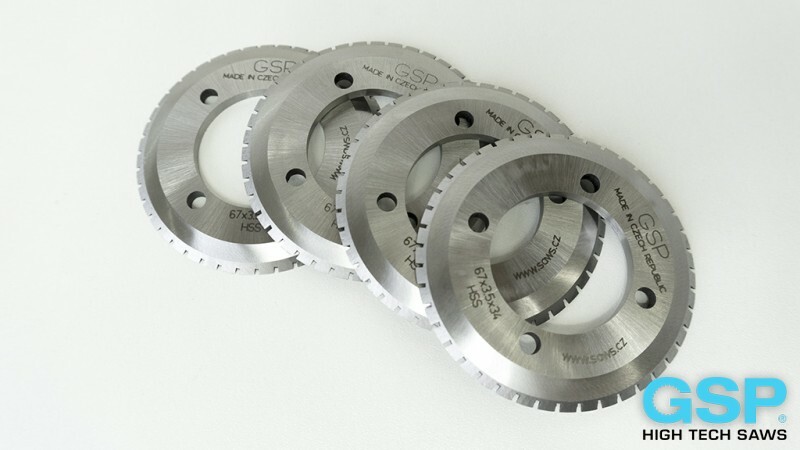 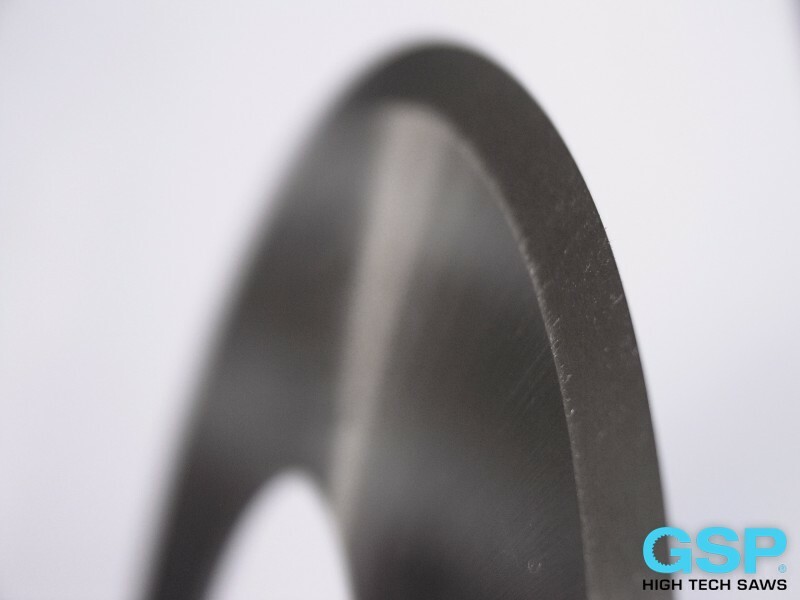 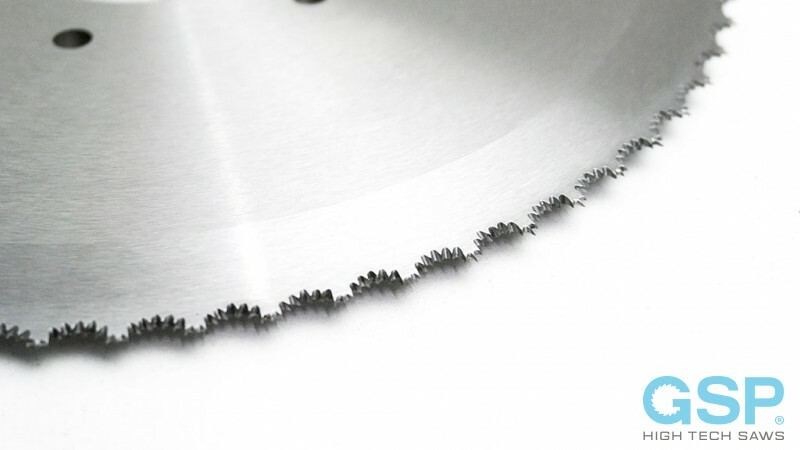 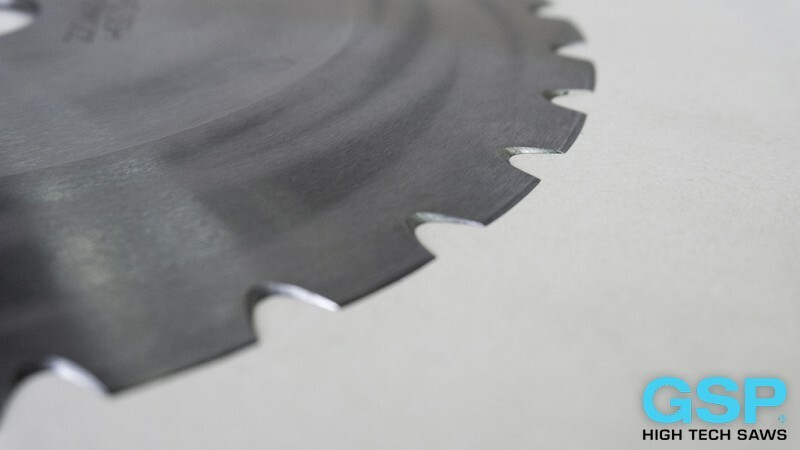 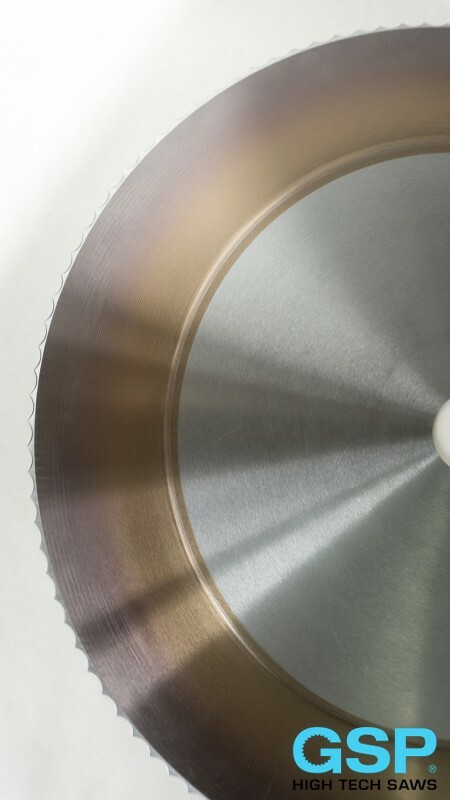 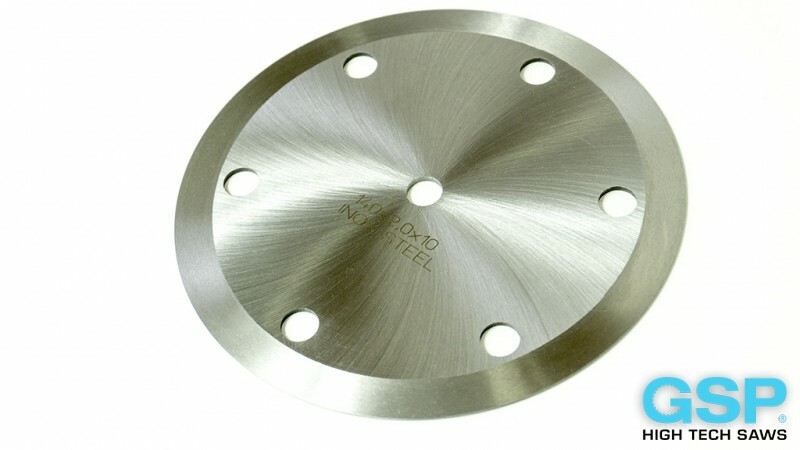 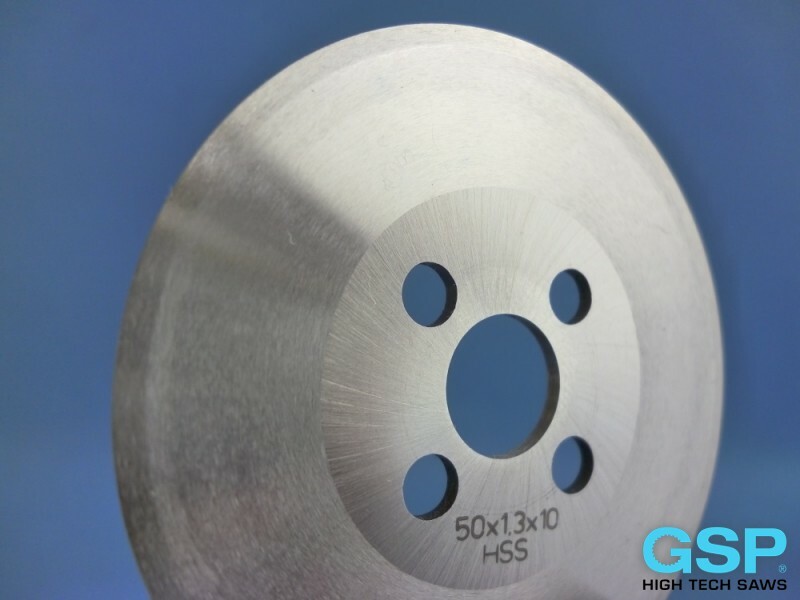 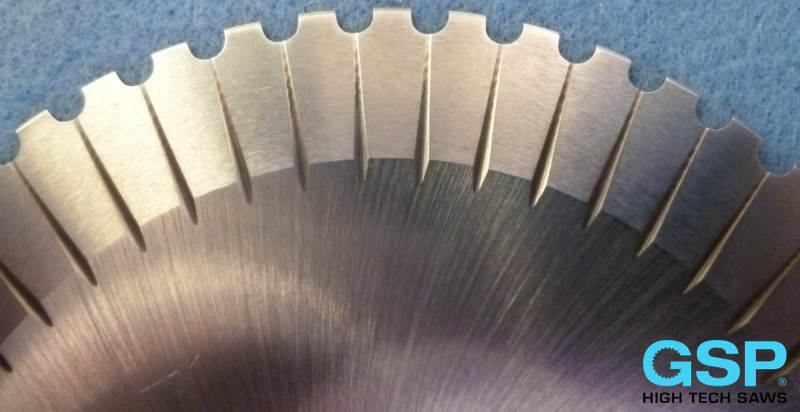 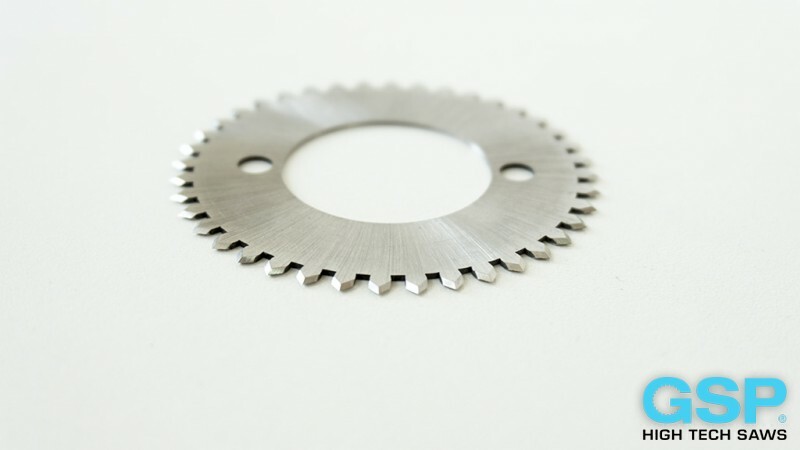 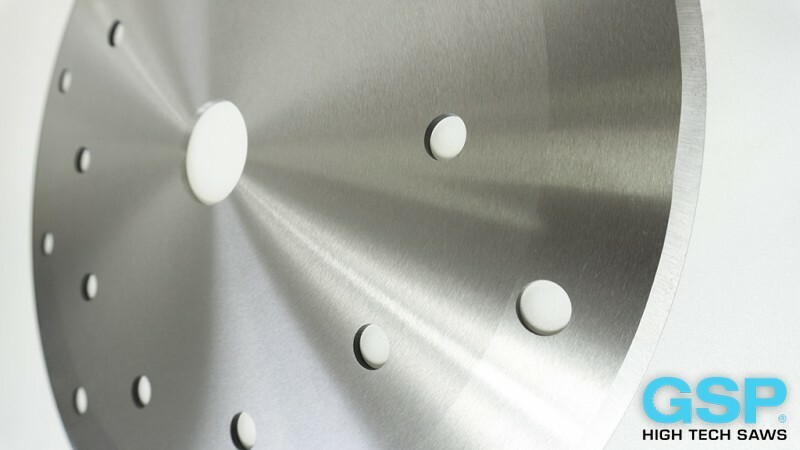 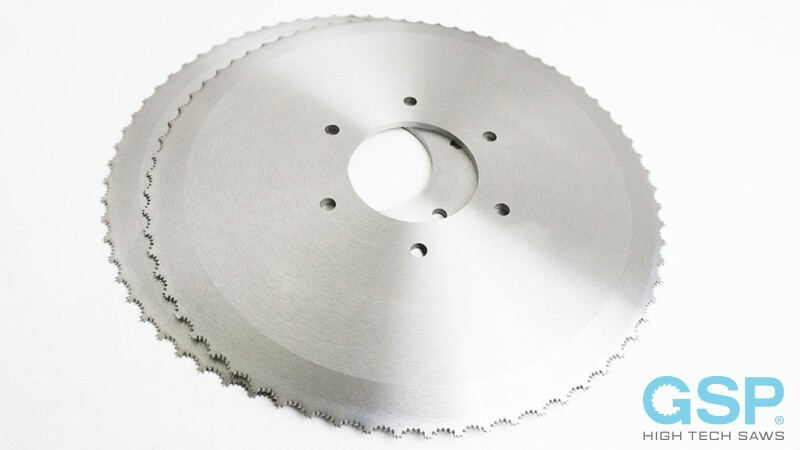 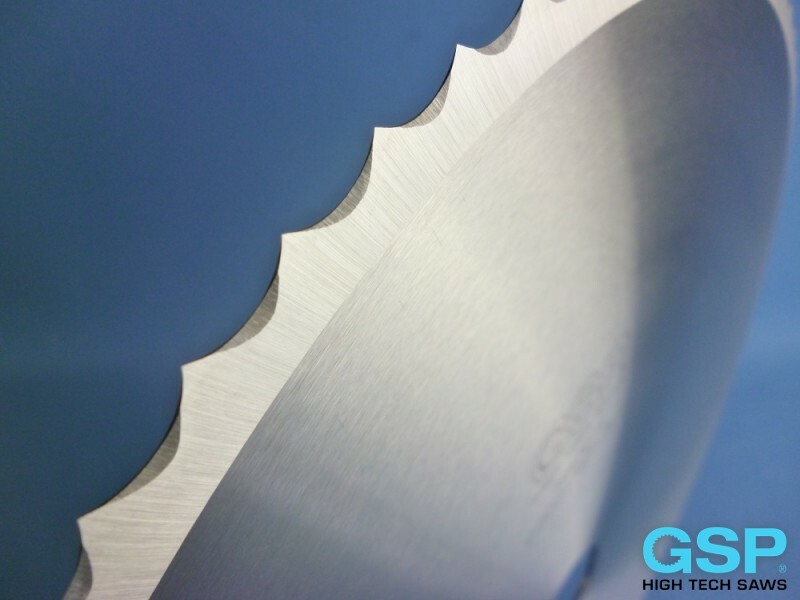 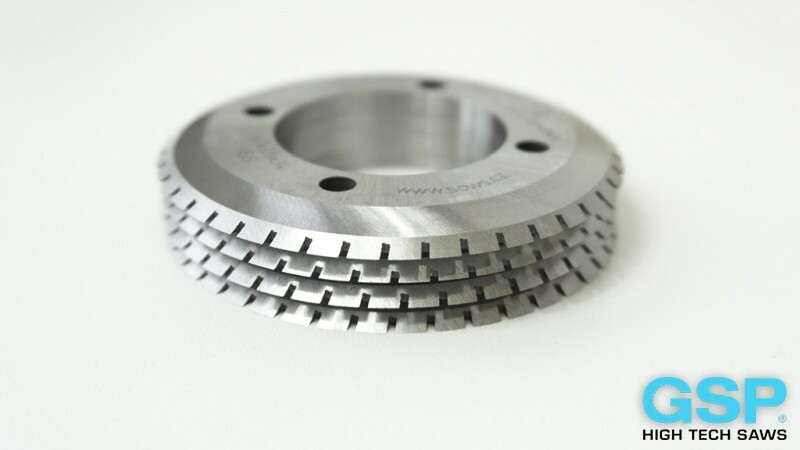 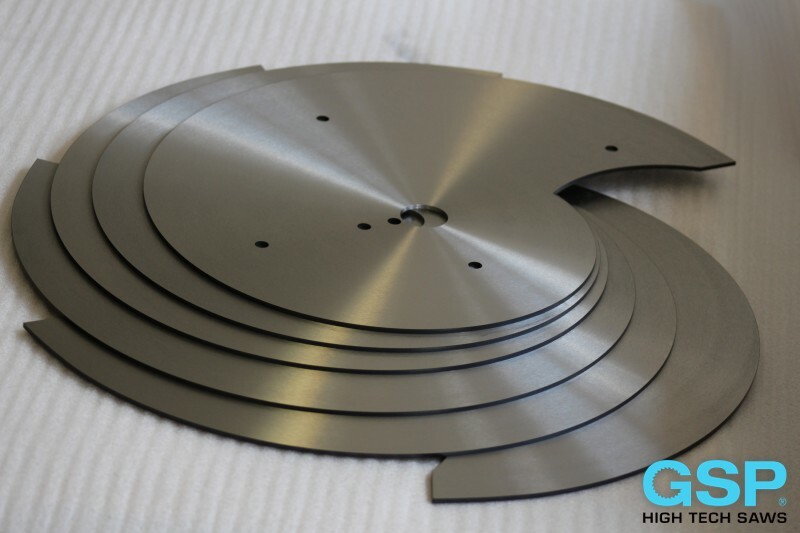 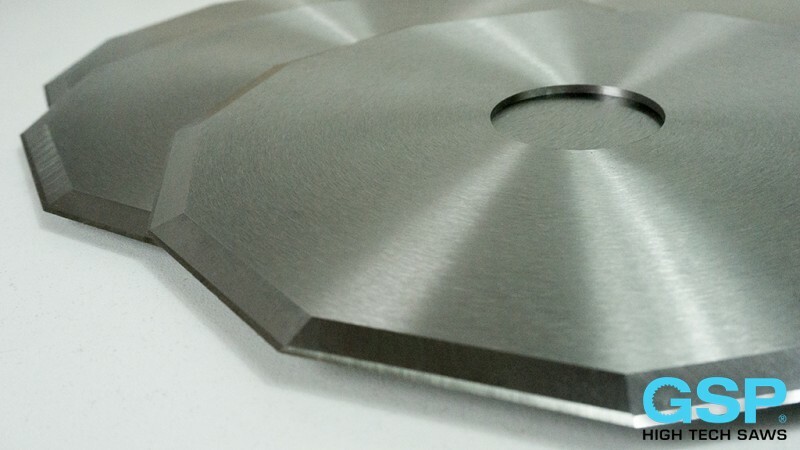 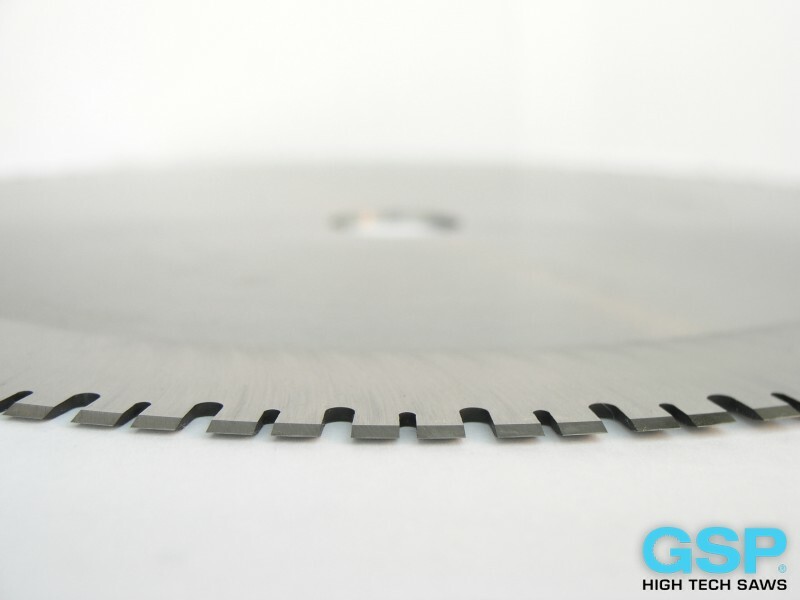 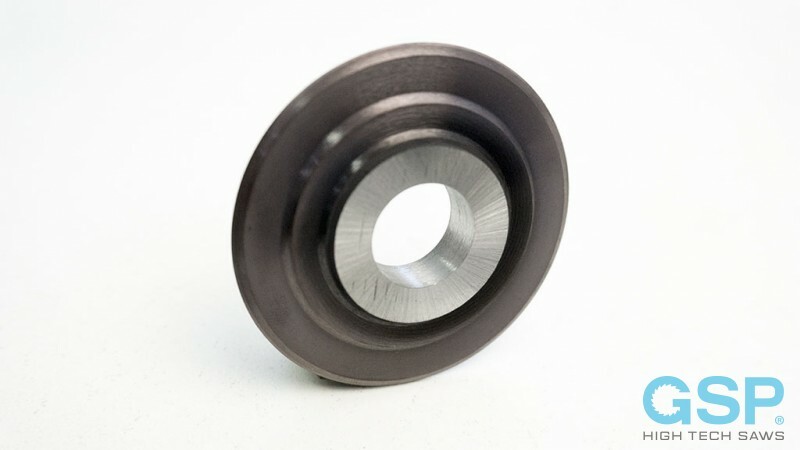 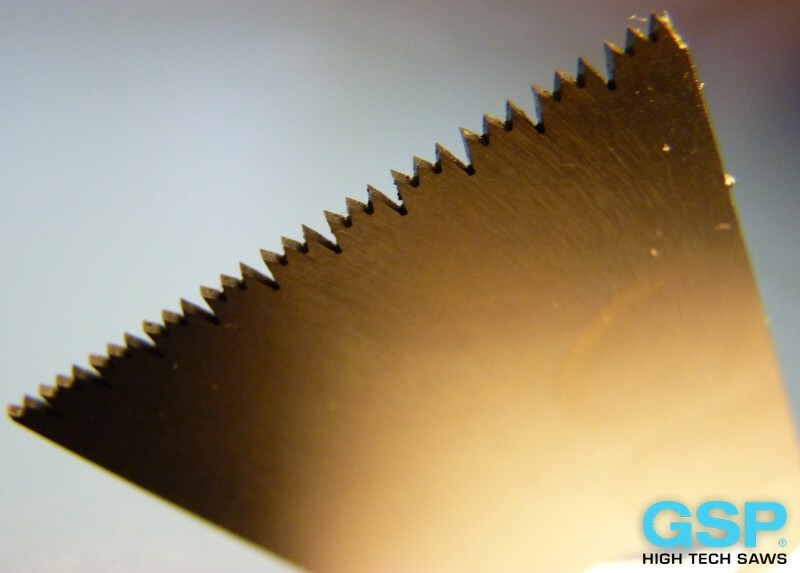 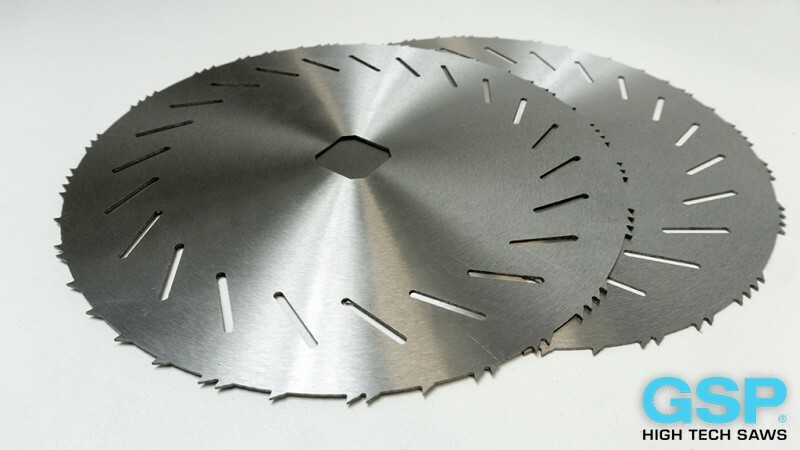 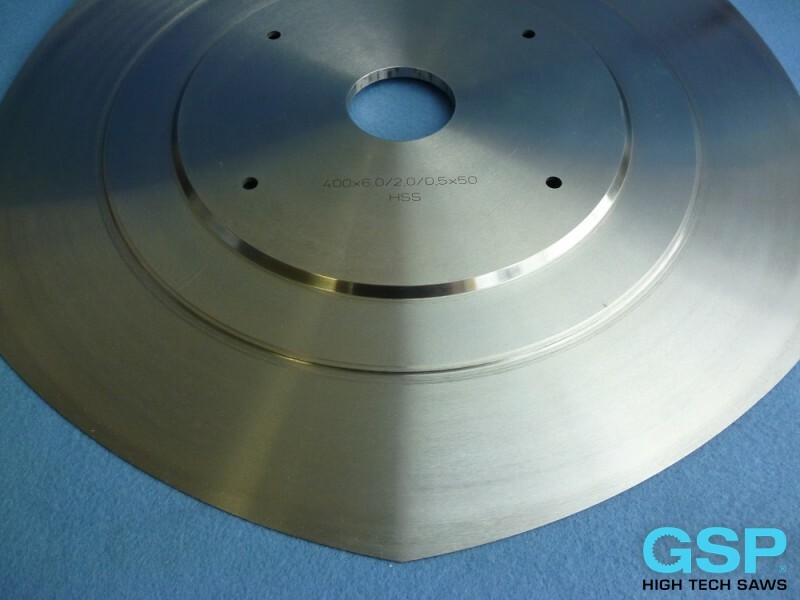 Our range spans from ø 20 mm through to ø 600 mm and the standard execution of all circular knives is HP-GRIND finish but readily available in our P.V.D. 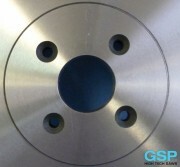 (Physical Vapour Deposition) coatings too. 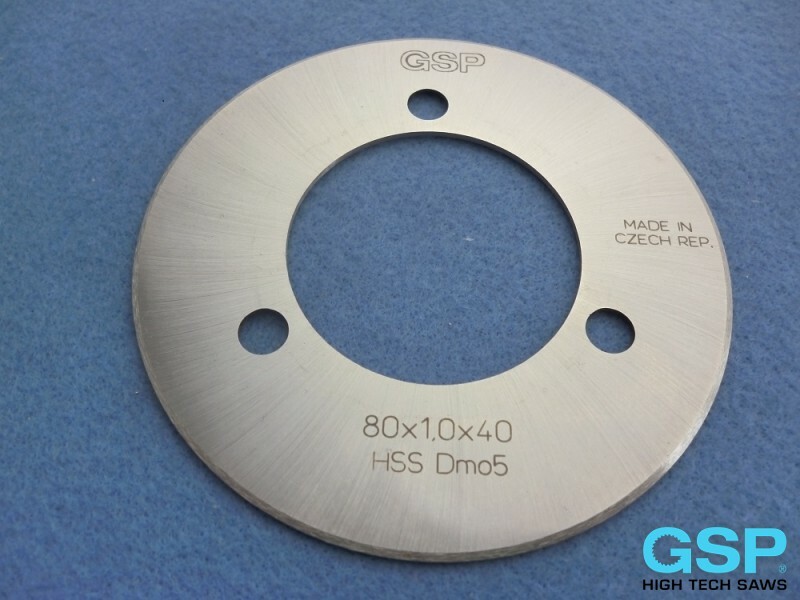 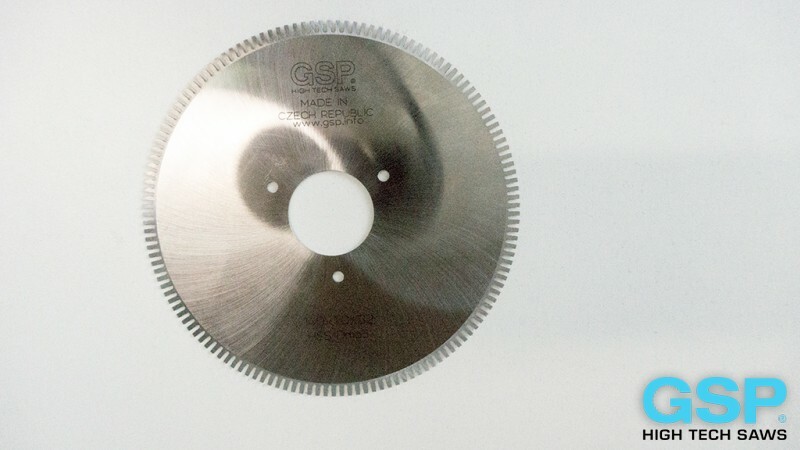 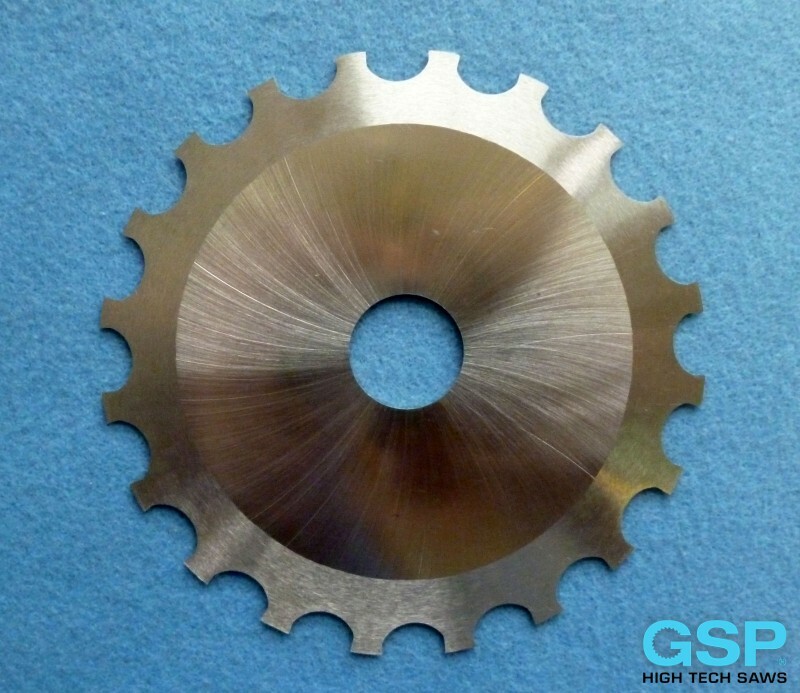 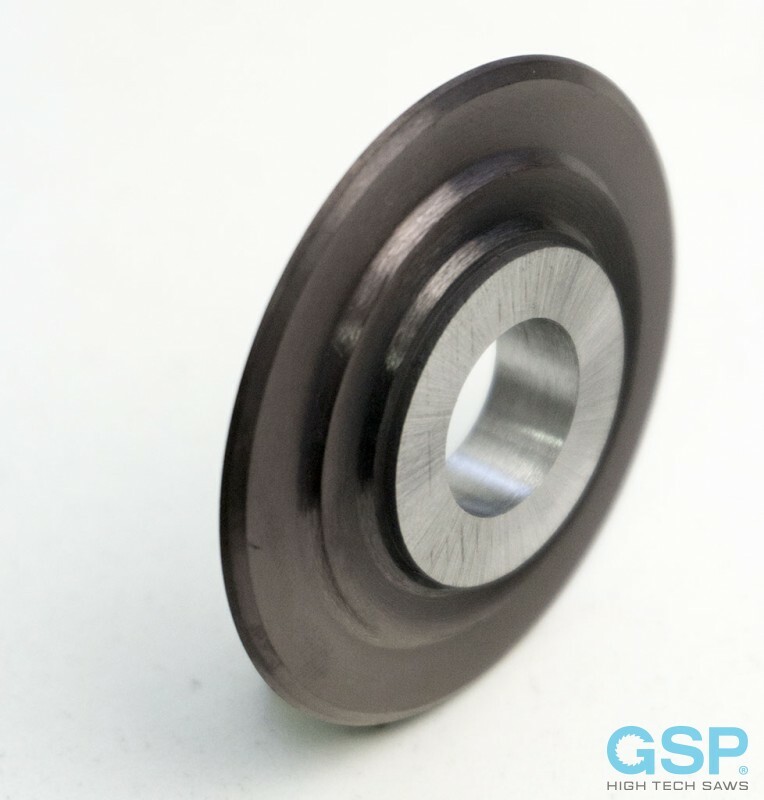 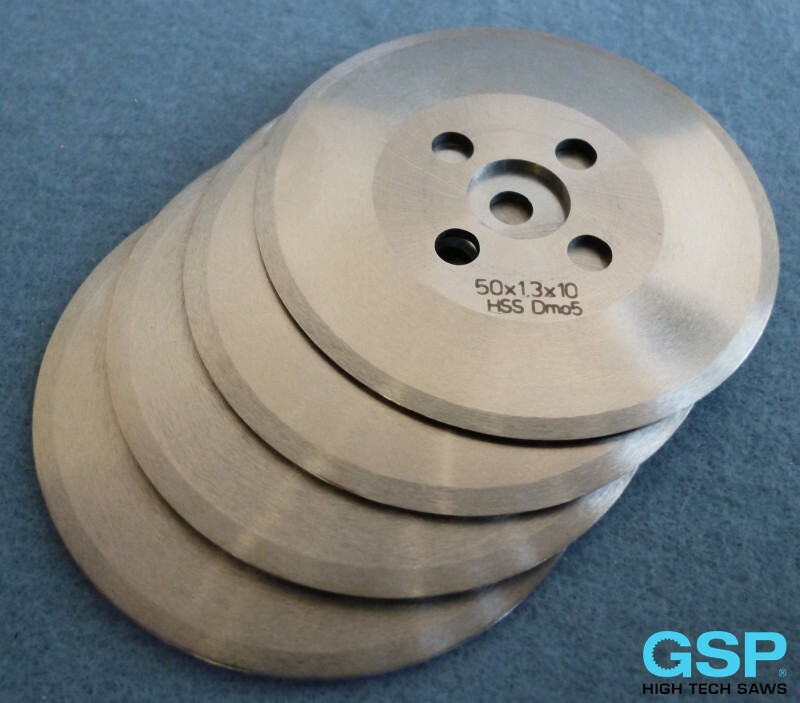 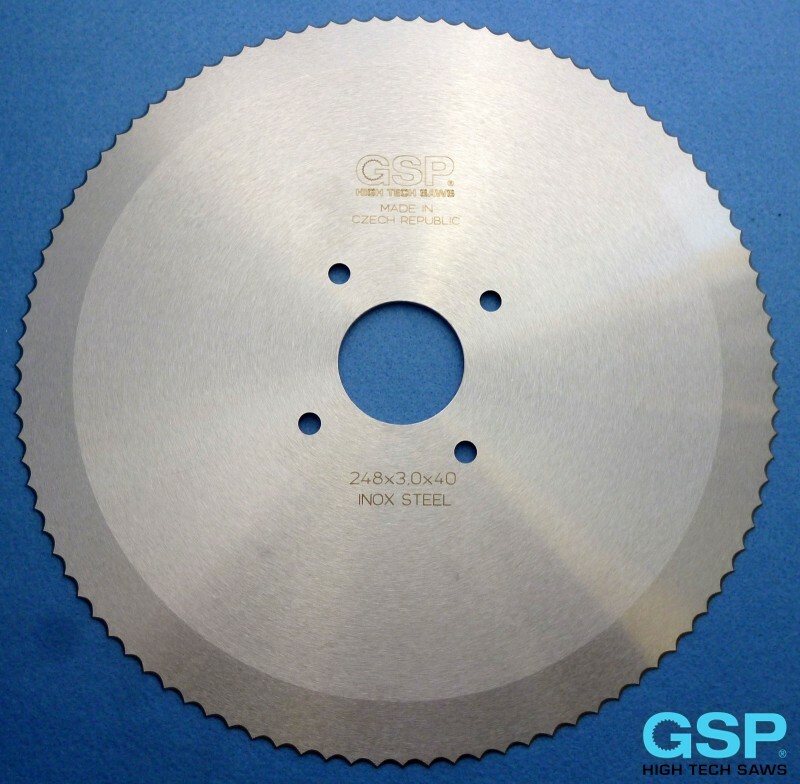 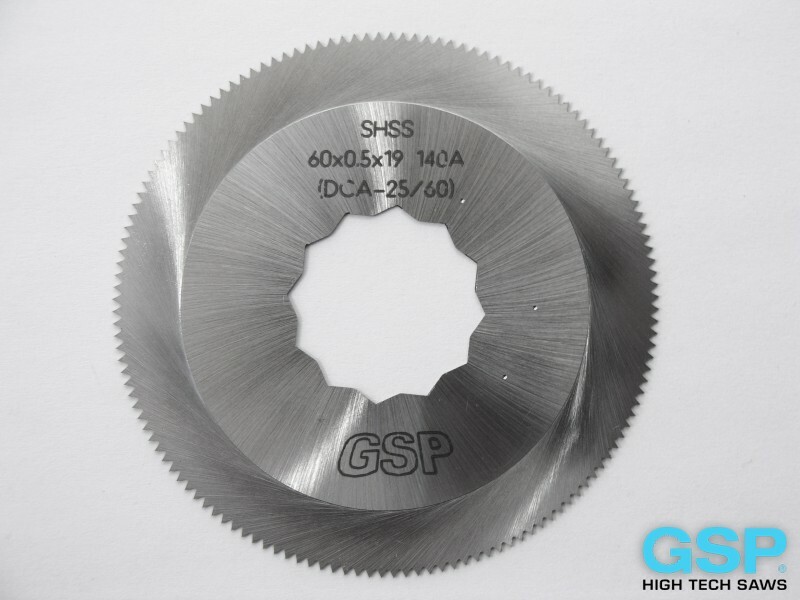 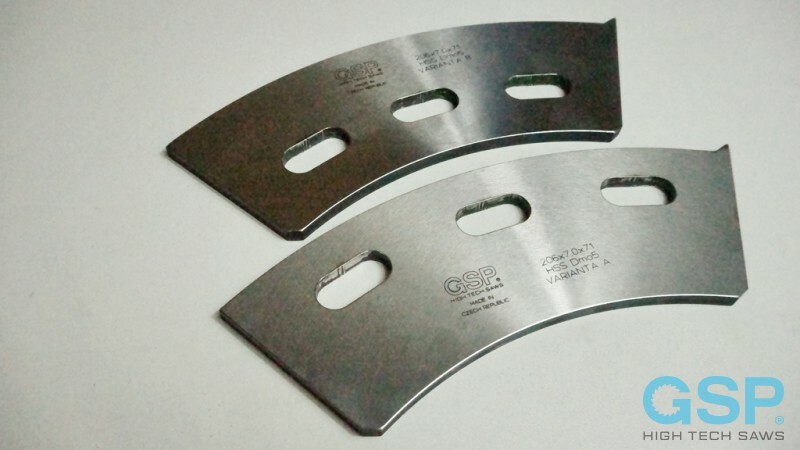 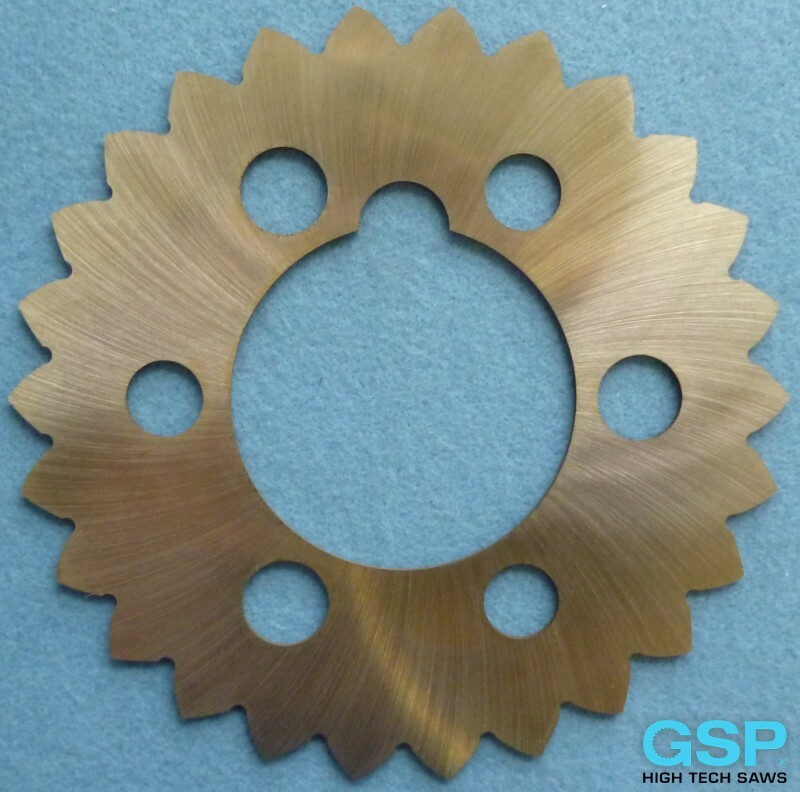 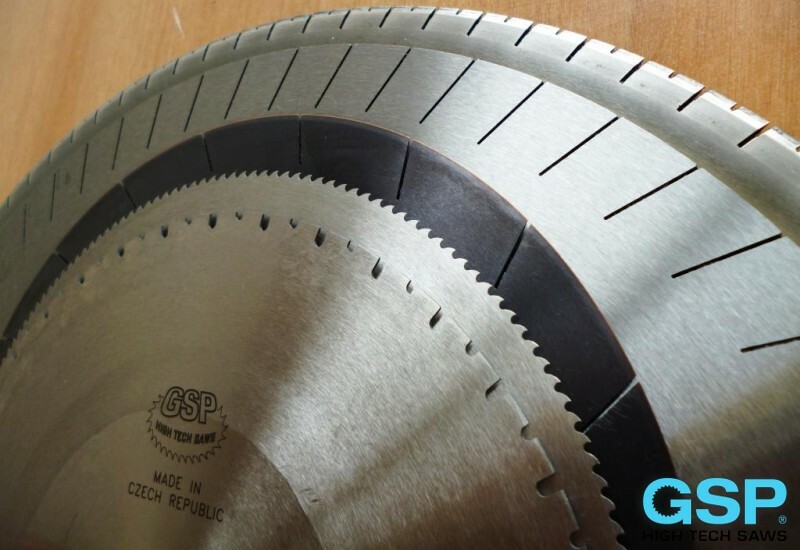 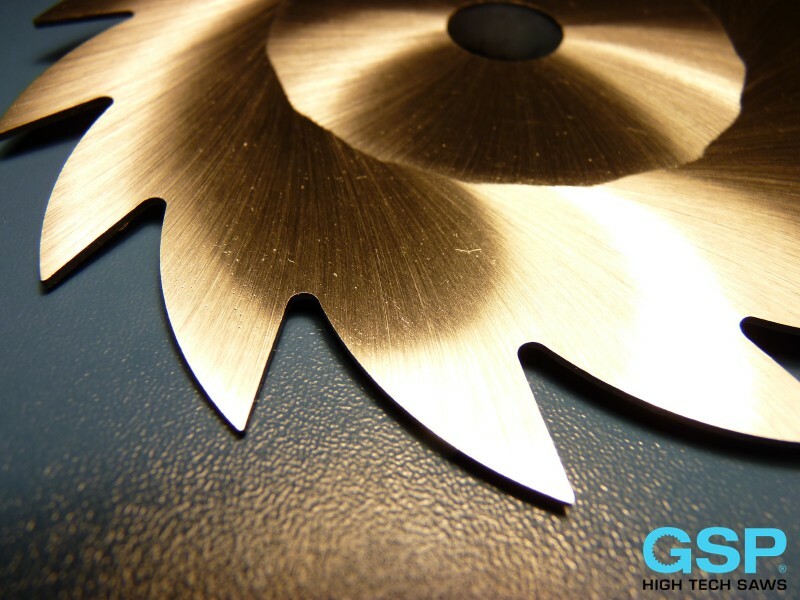 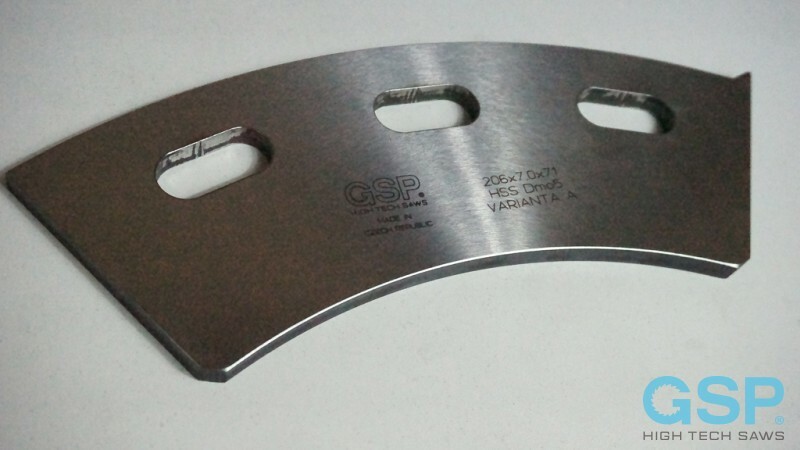 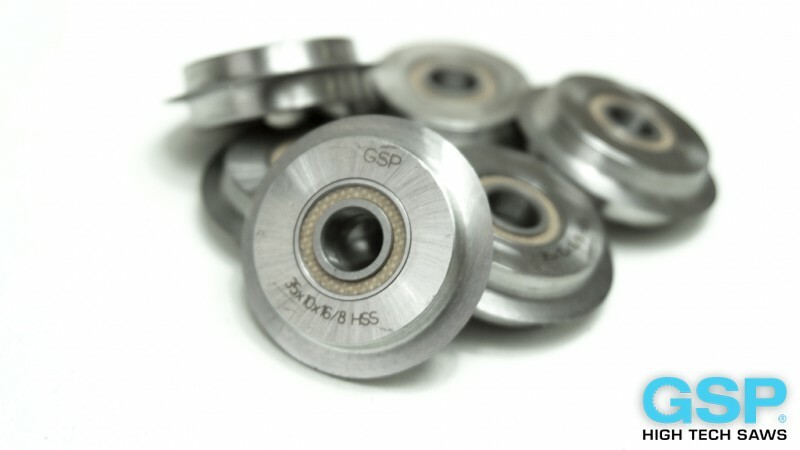 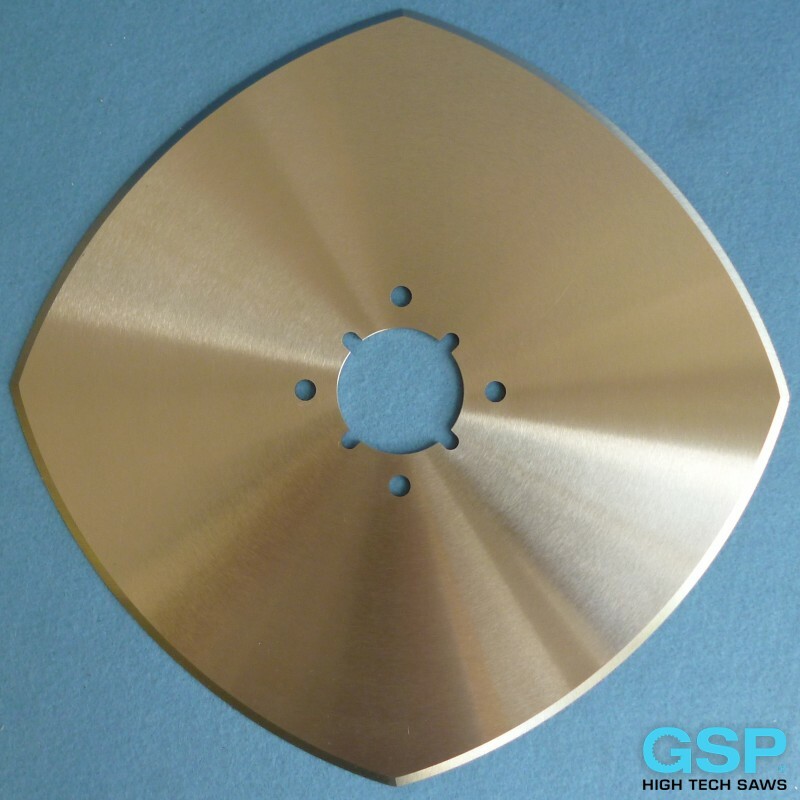 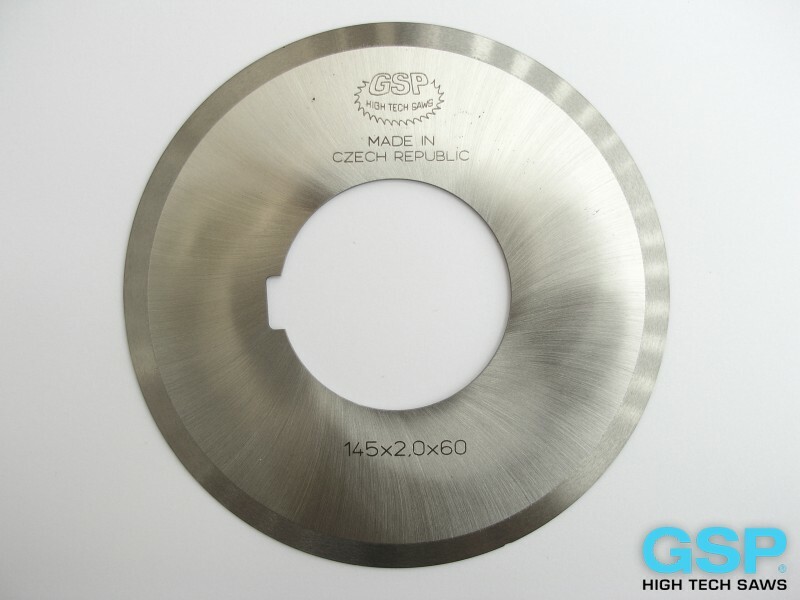 Company GSP manufactures also the highest quality food and meet processing rotary knives in the industry from 3" to 20" in diameter. 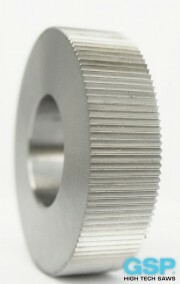 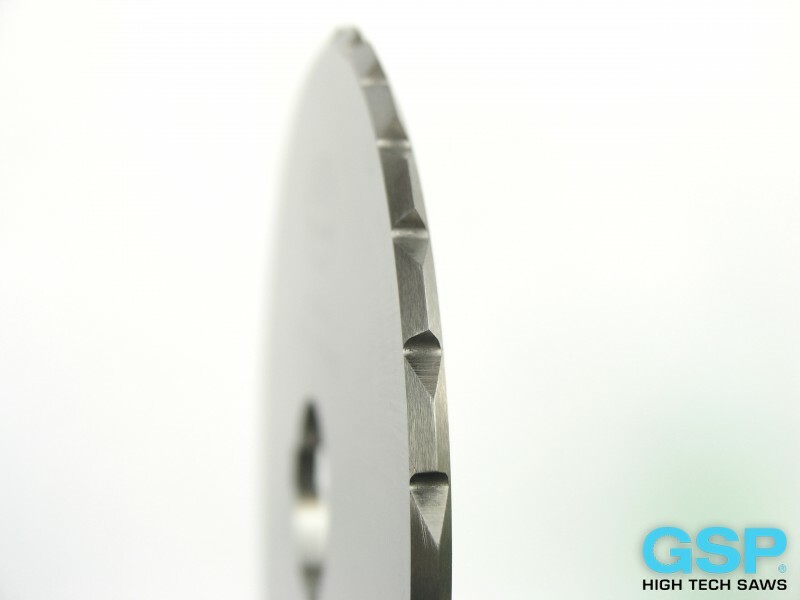 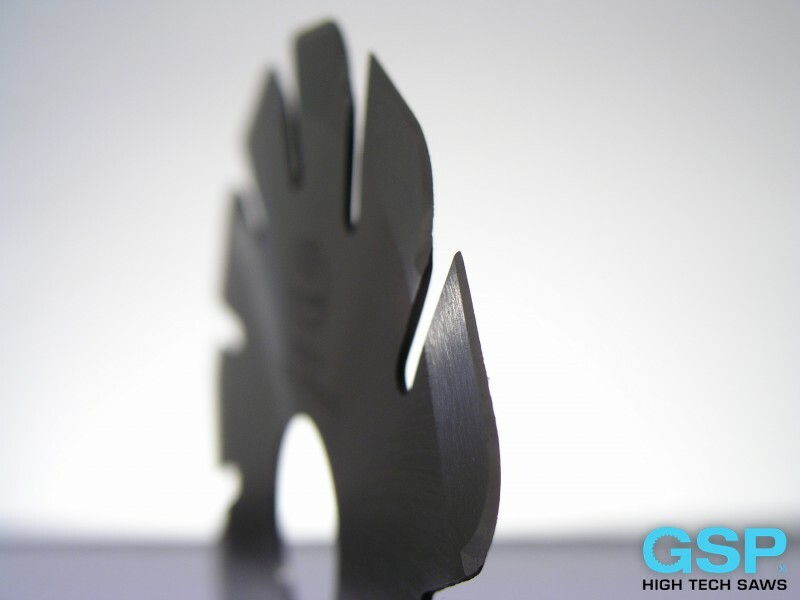 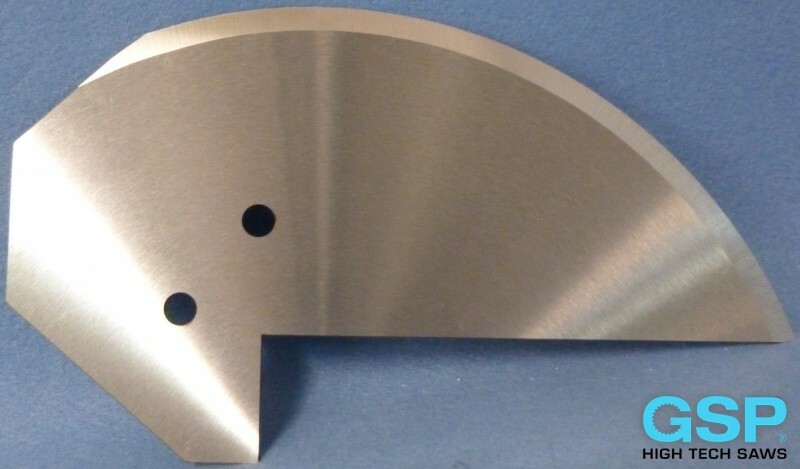 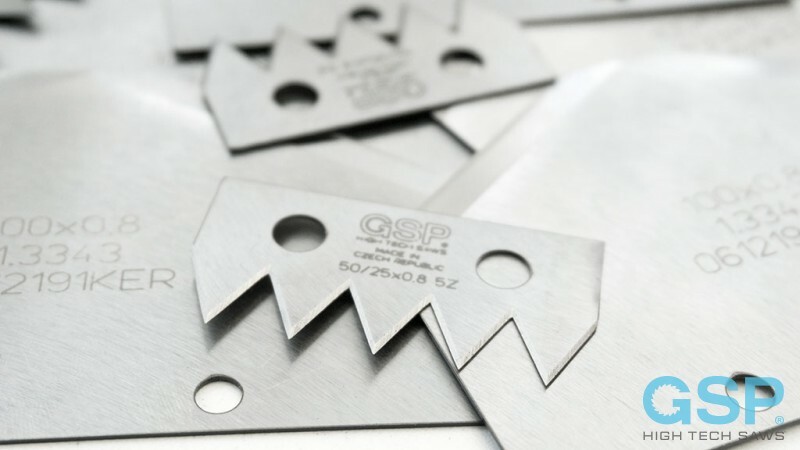 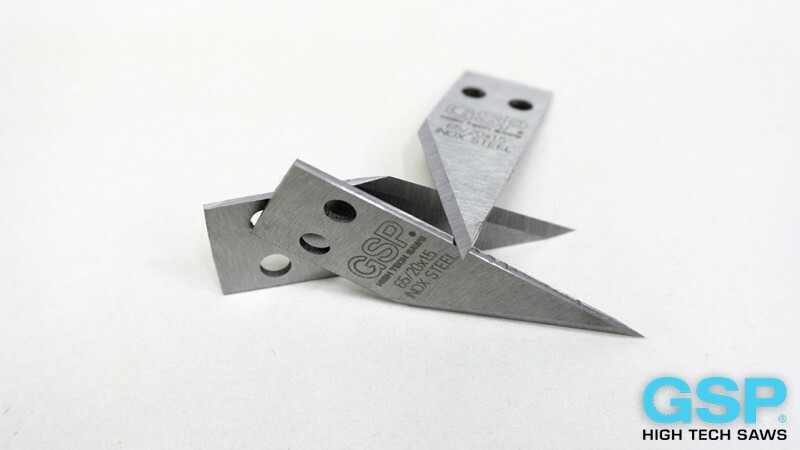 We manufacture with the latest CNC grinding equipment to achieve up to 3 times longer knife life. 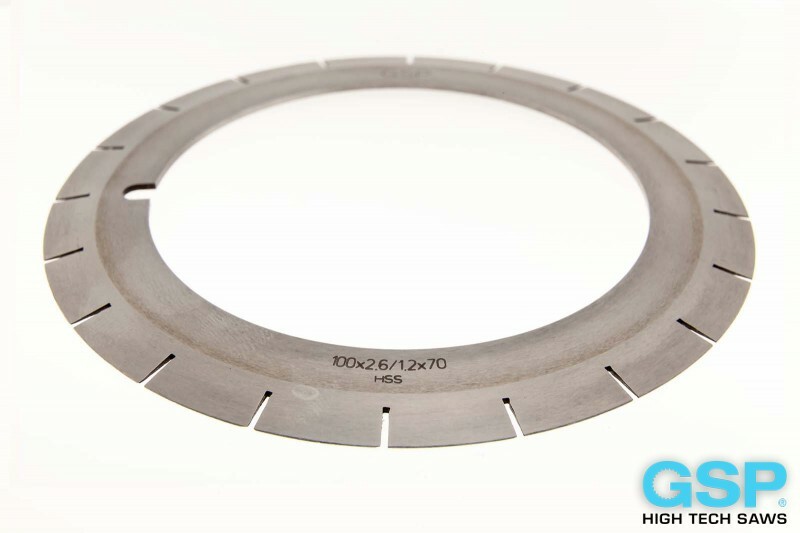 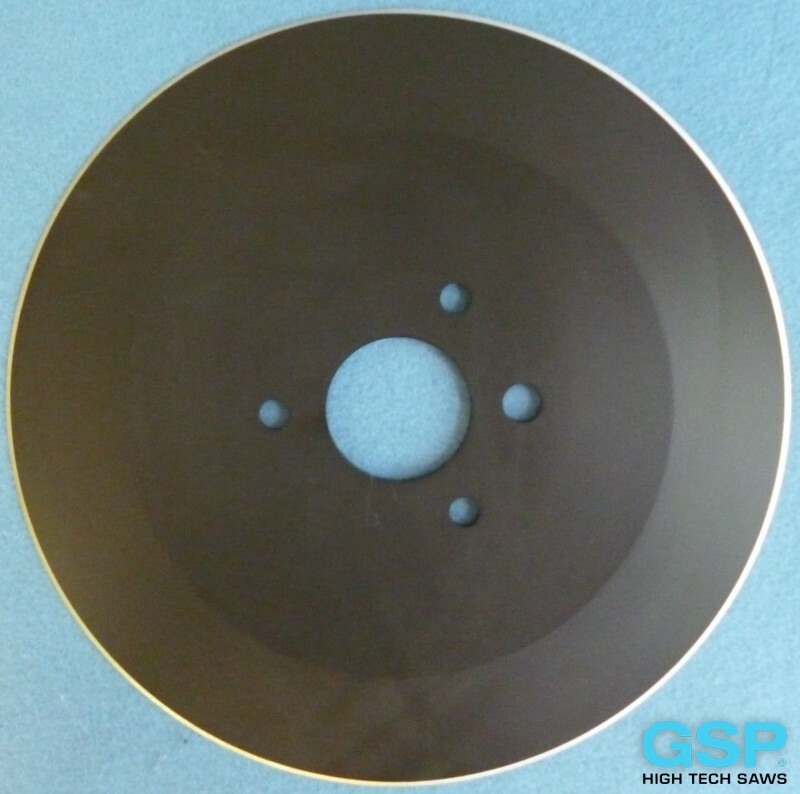 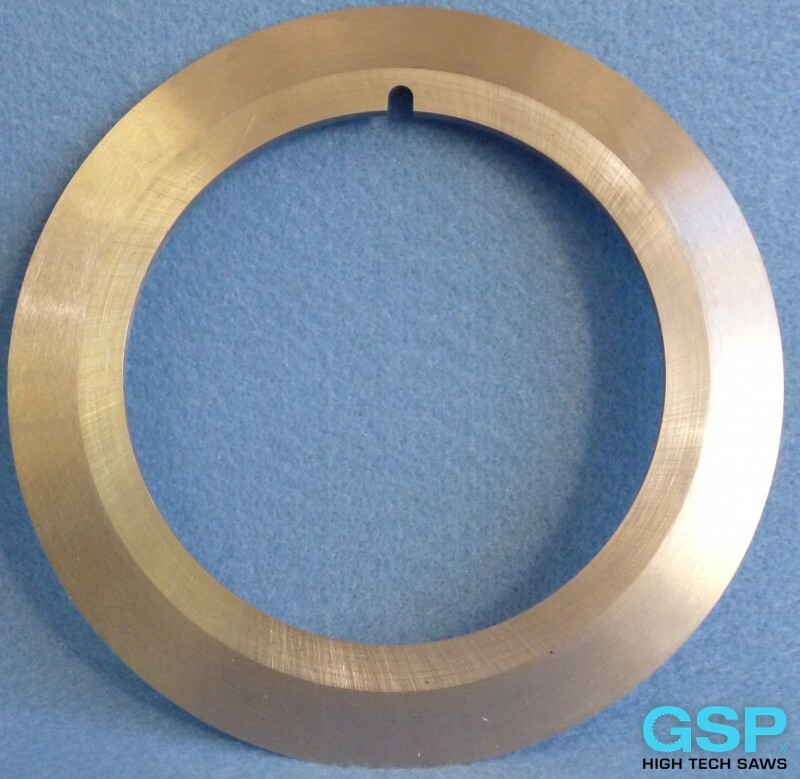 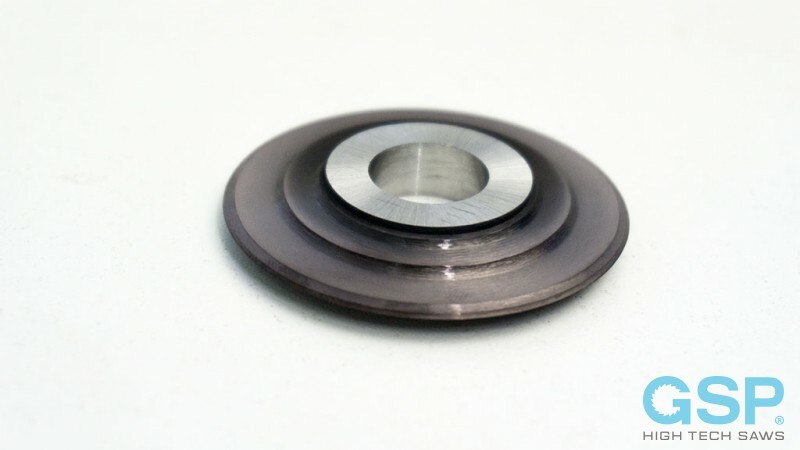 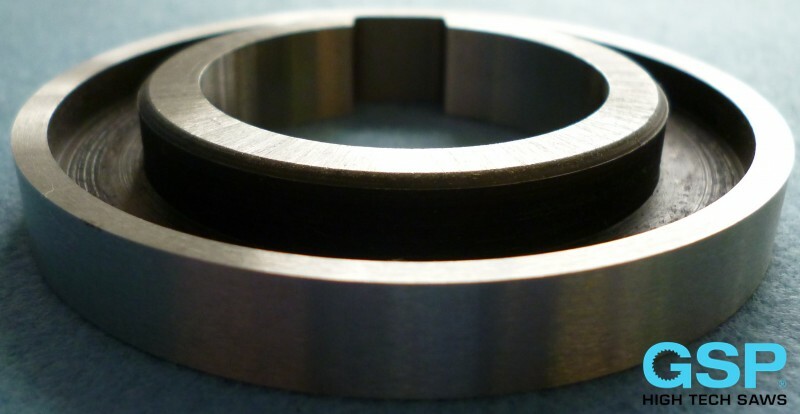 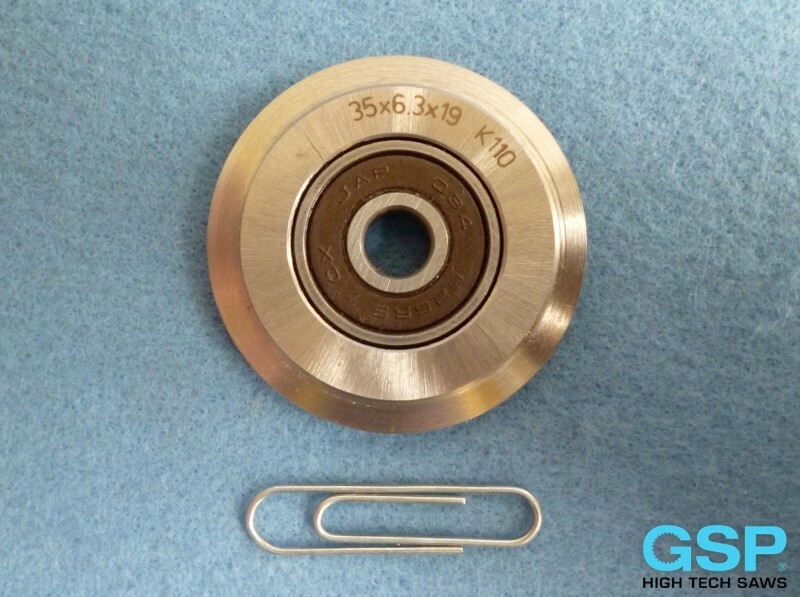 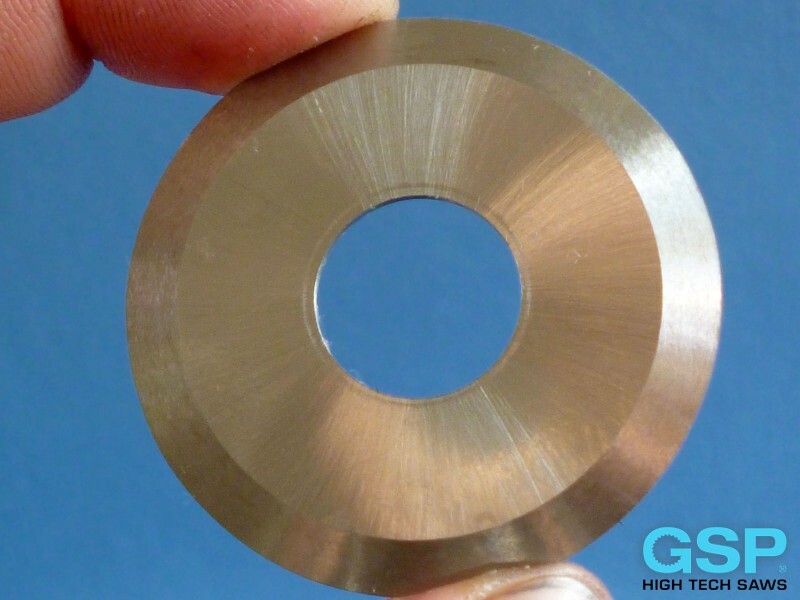 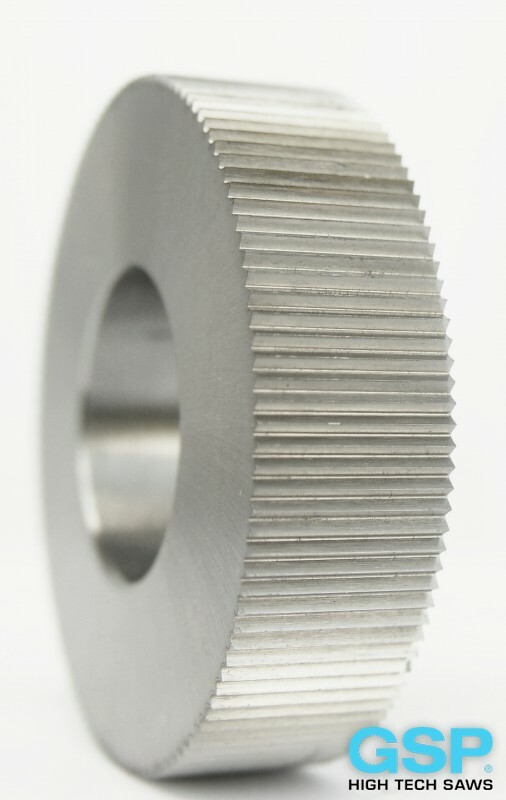 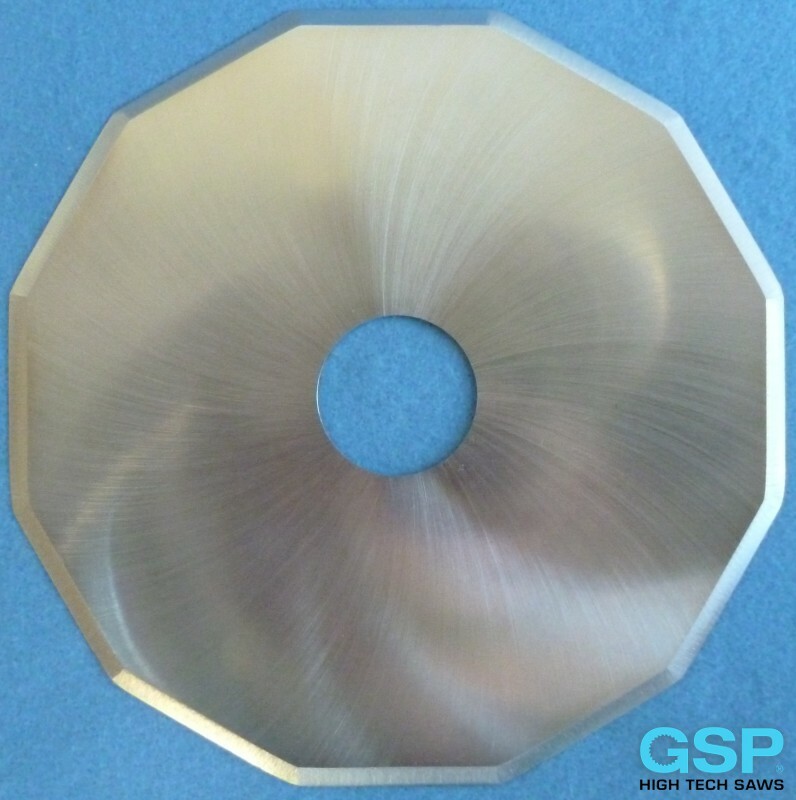 We currently have a manufacturing capacity of 1" diameter thru 72" diameter, in various thicknesses. 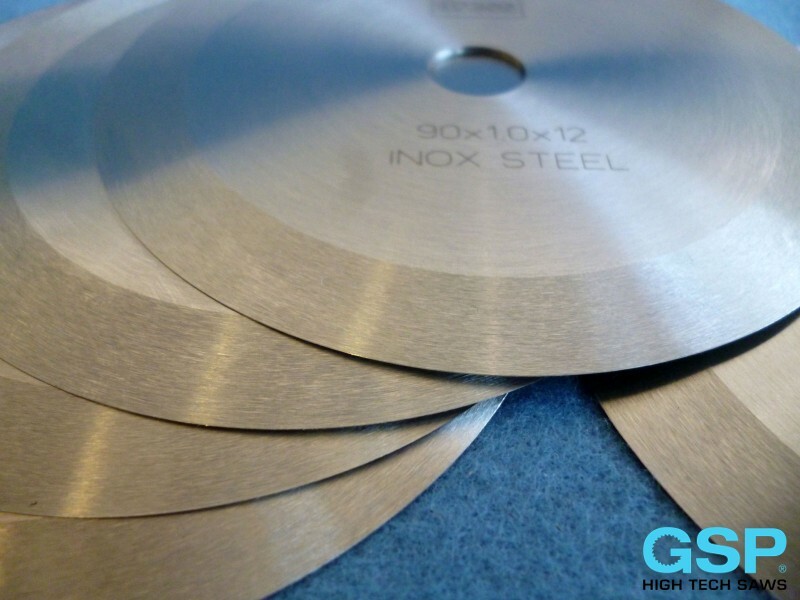 Raw material is available in M2, M42, D2 and A2 tool steels and can be provided to a wide range of hardnesses. 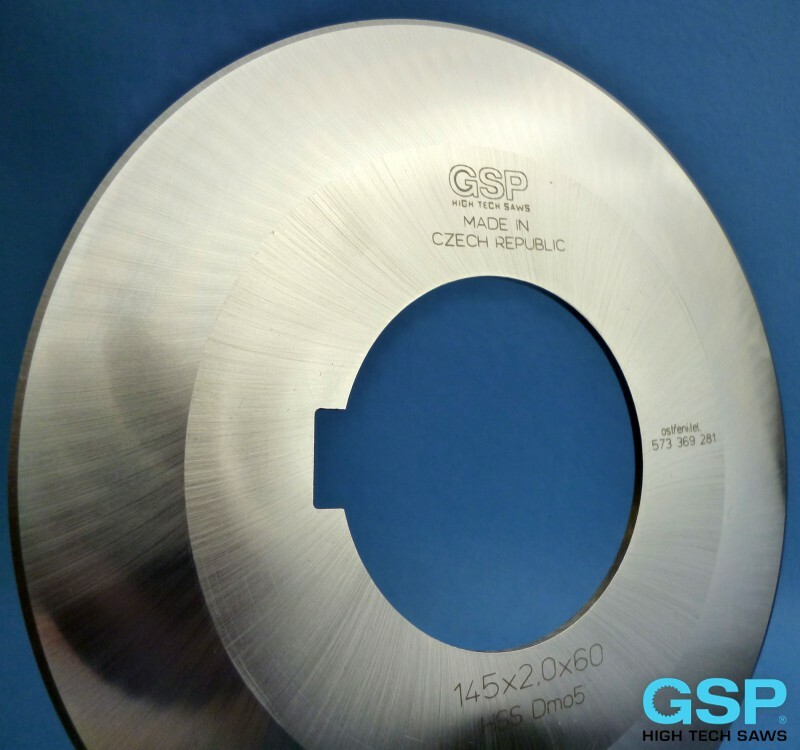 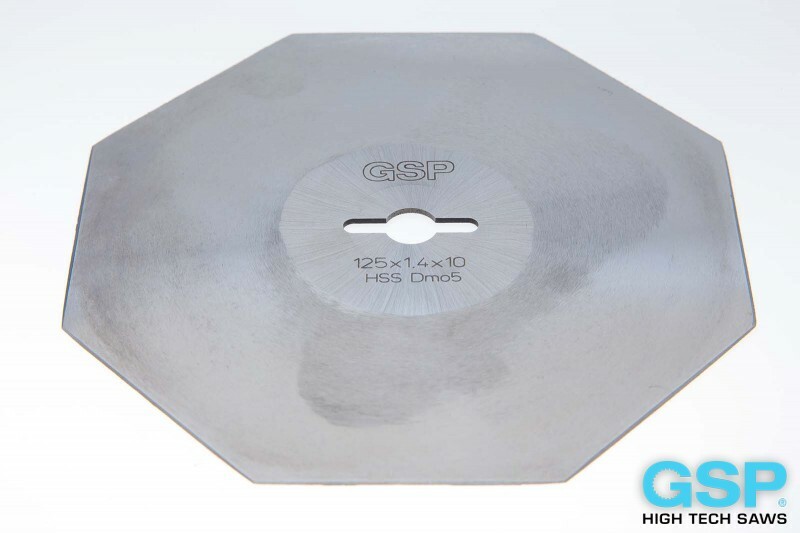 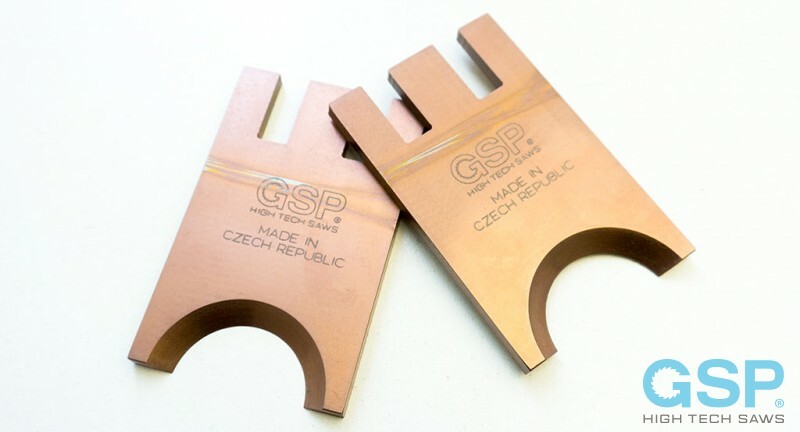 From a simple single bevel to a complex compound double bevel, GSP's superior craftsmanship guarantees an exactness unmatched in the industry. 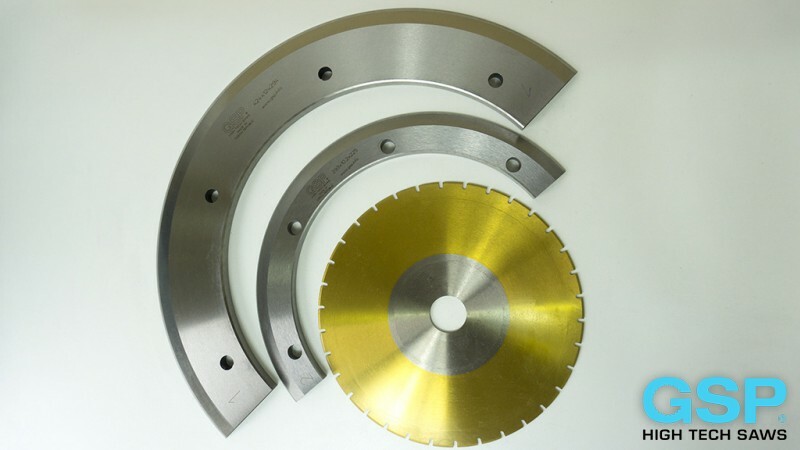 CIRCULAR KNIVES are made for many differing applications and industries, the following drawings give an idea of the forms available in the range 1? 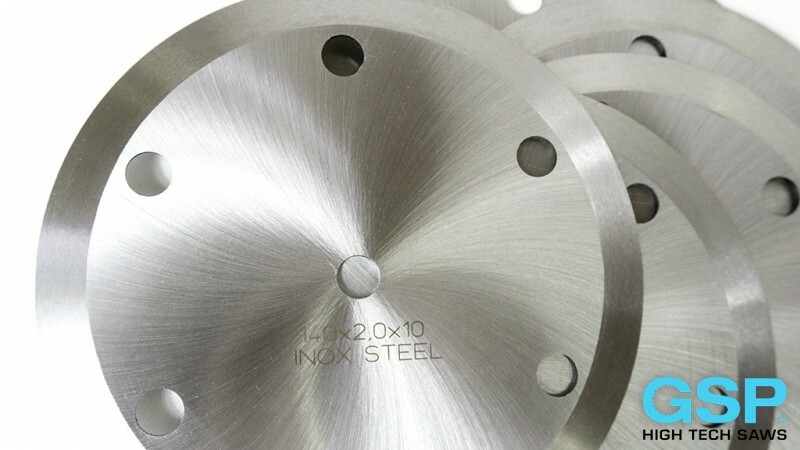 to 16? 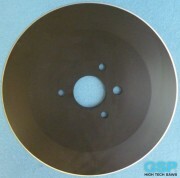 (25 to 400 mm) diameter.